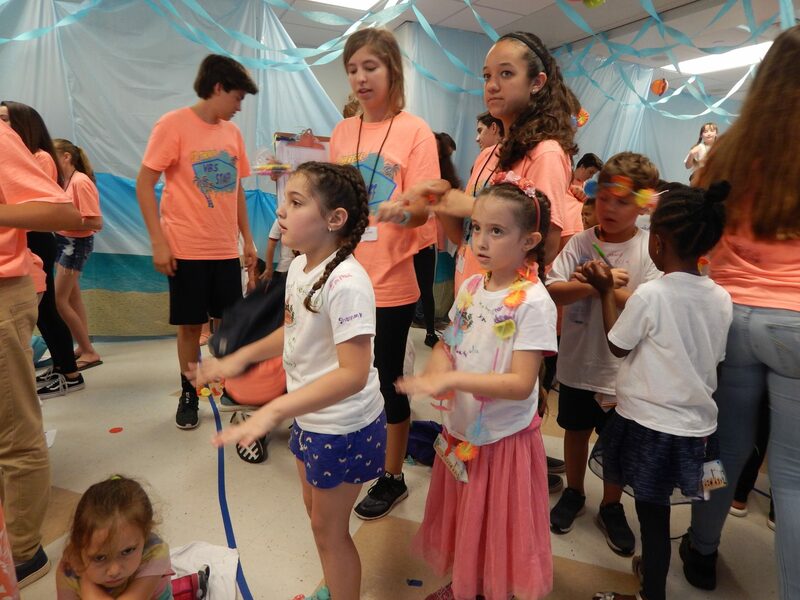 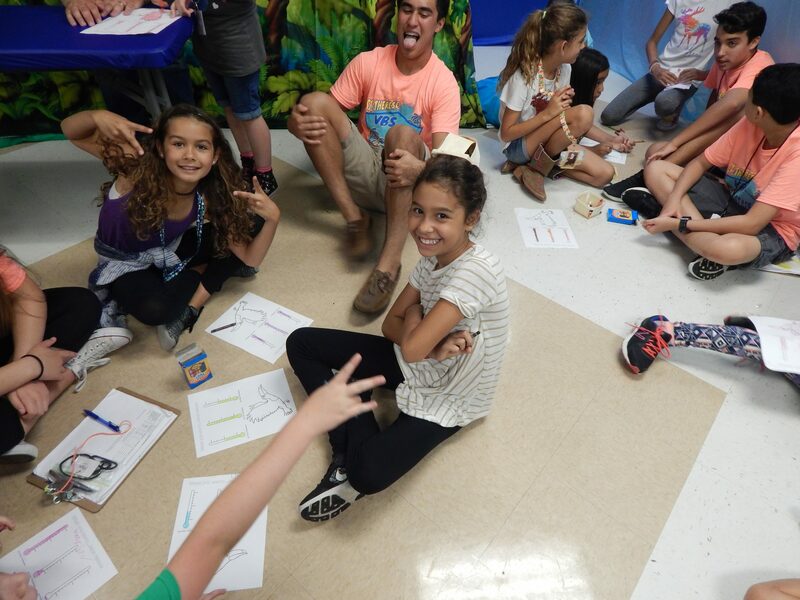 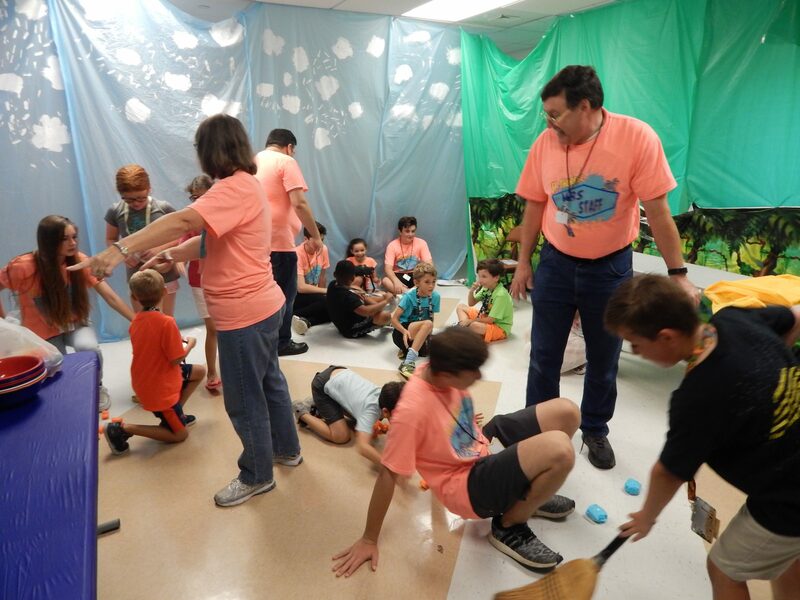 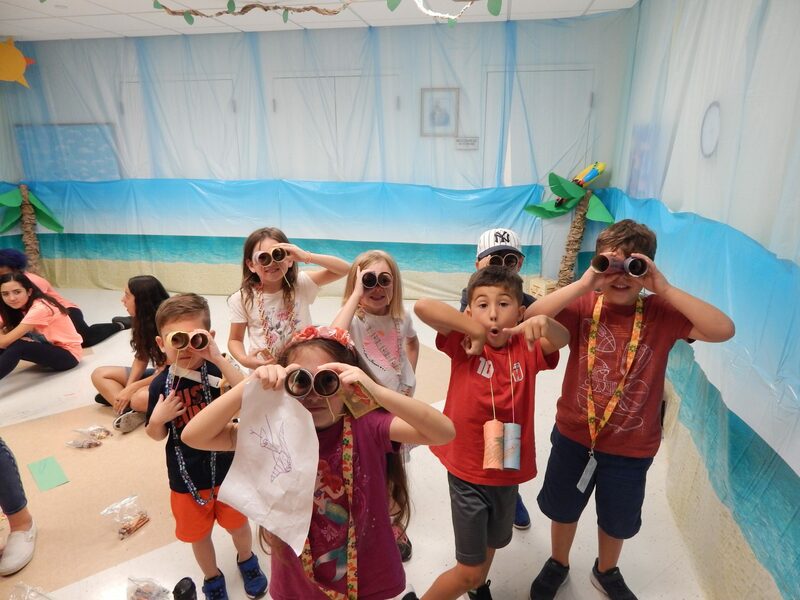 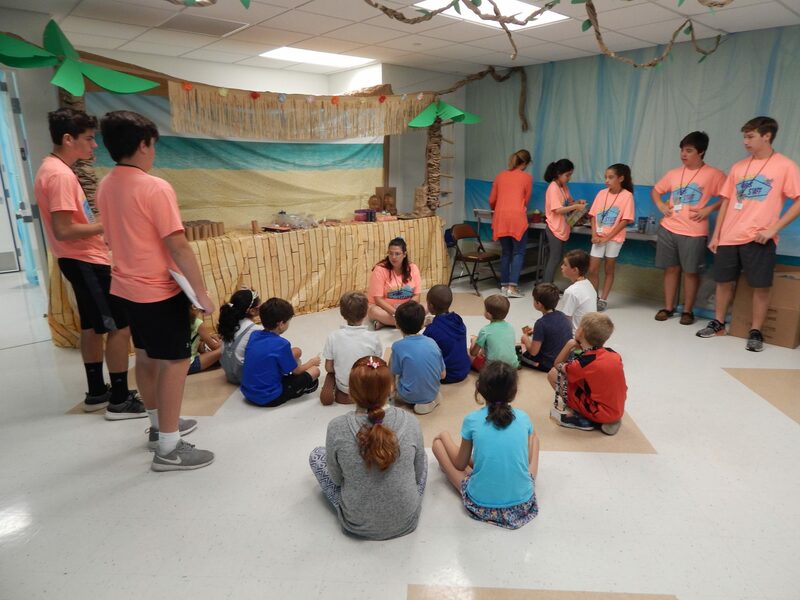 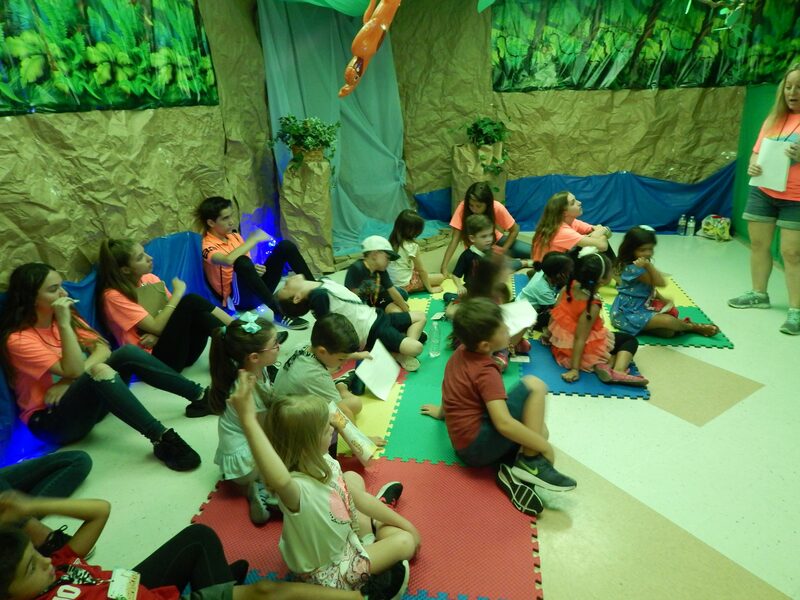 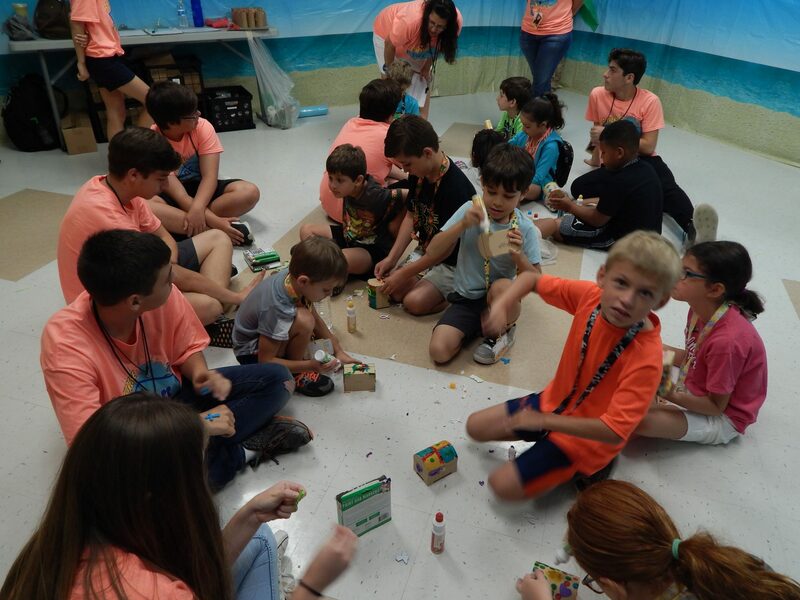 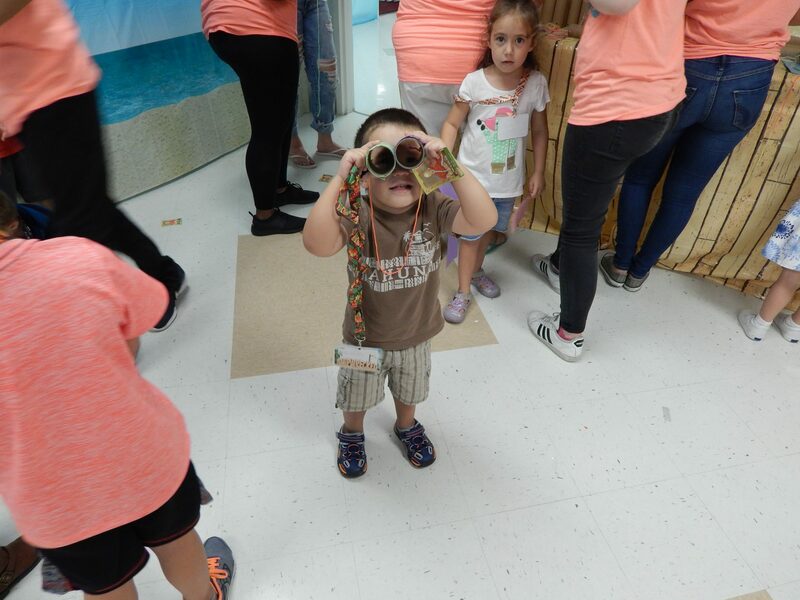 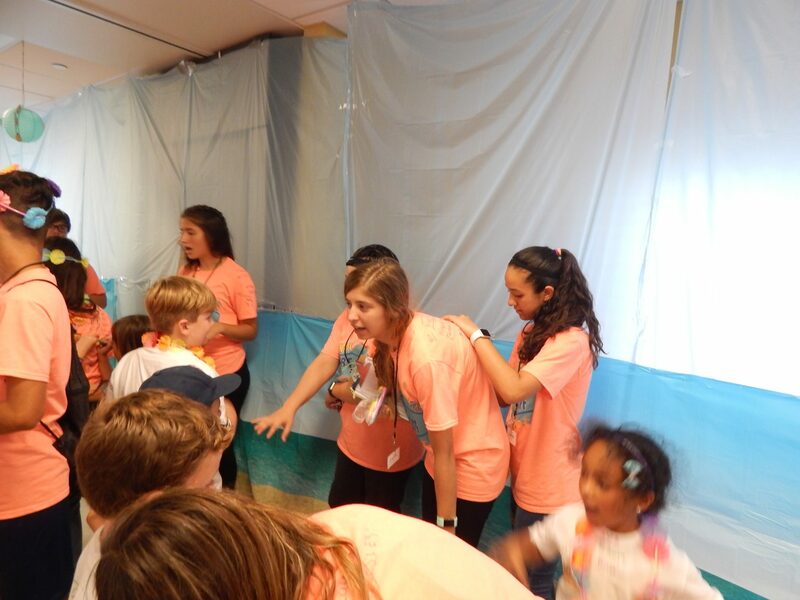 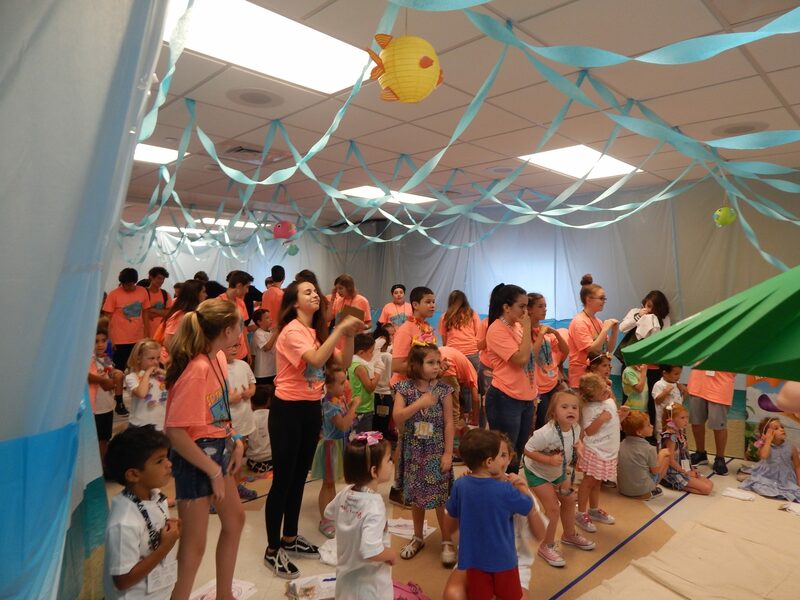 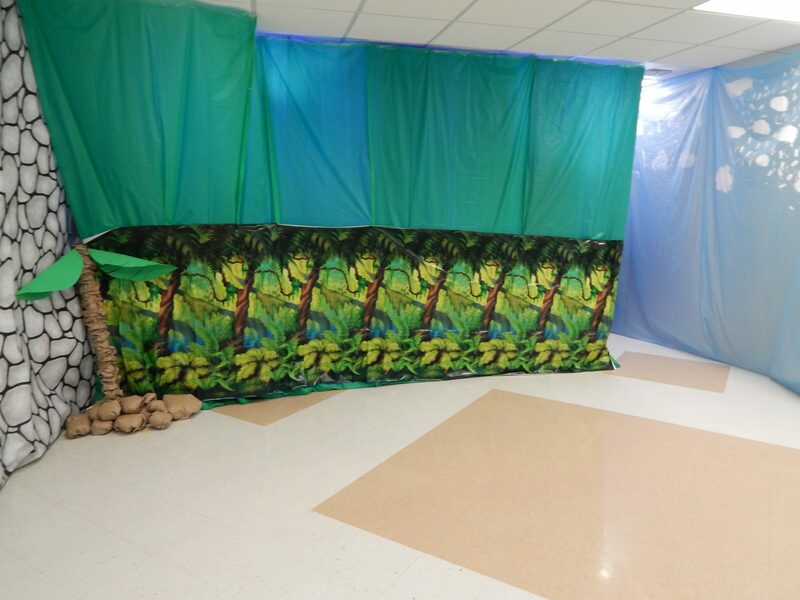 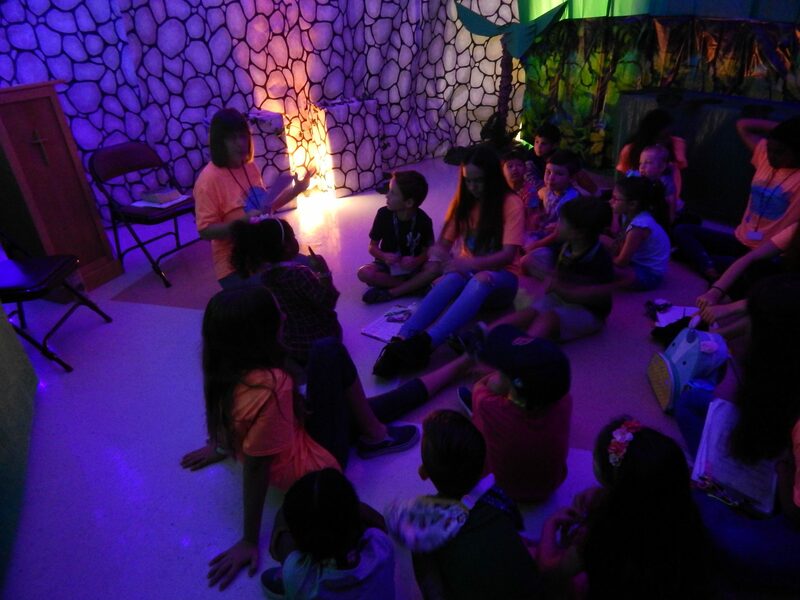 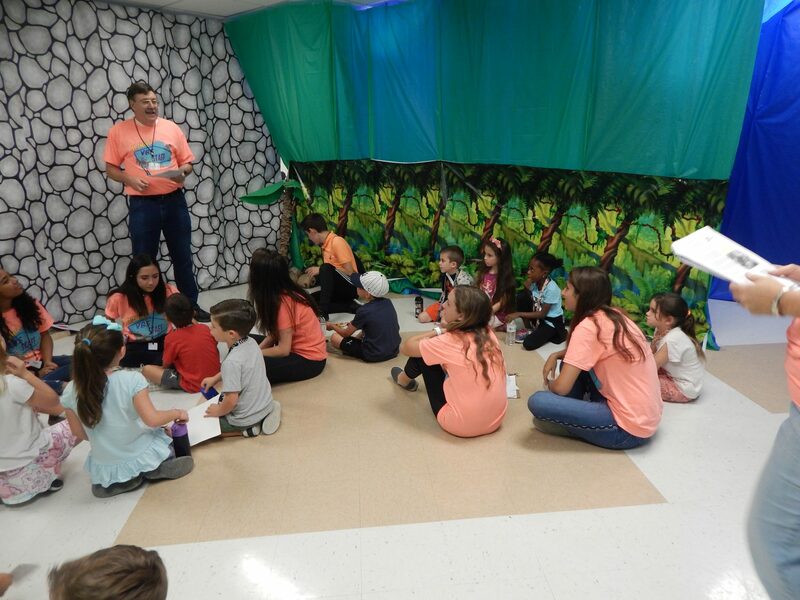 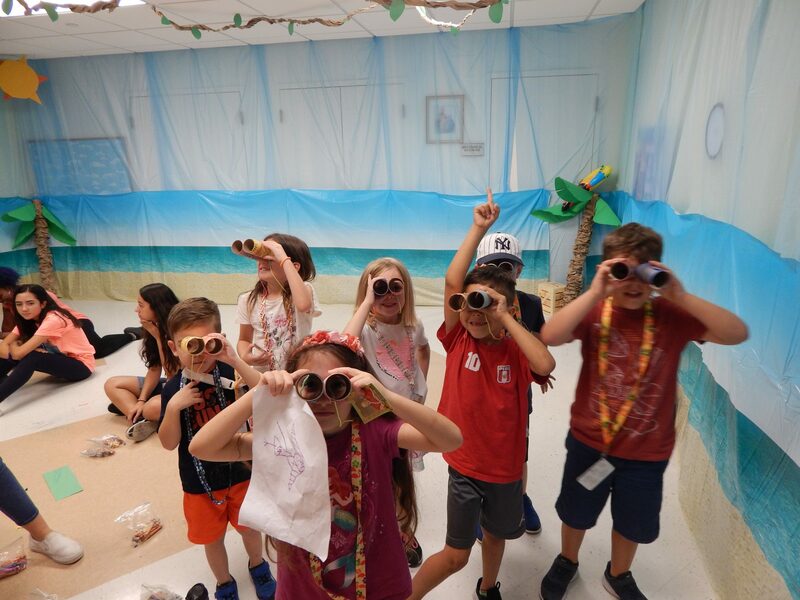 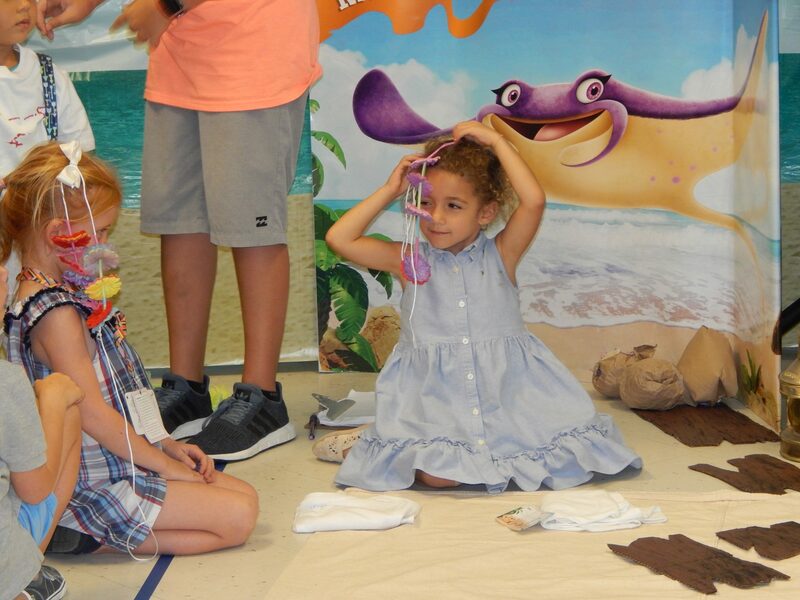 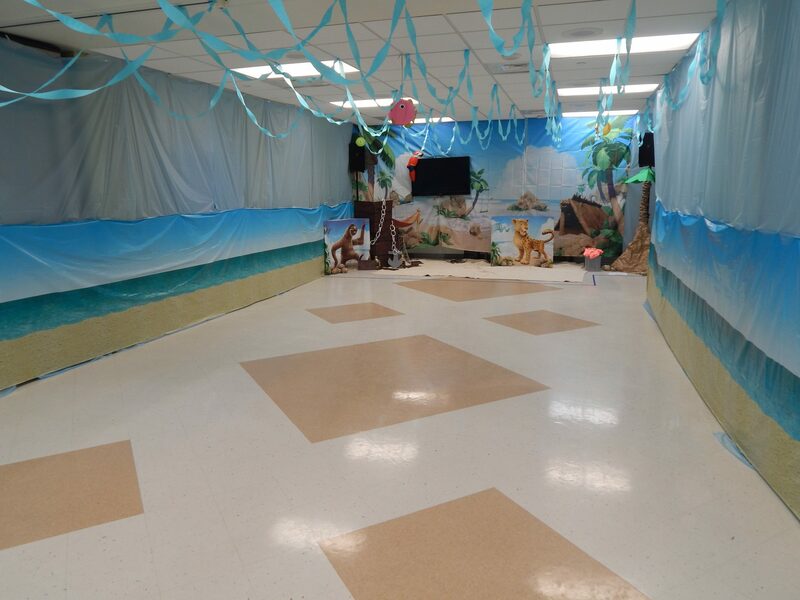 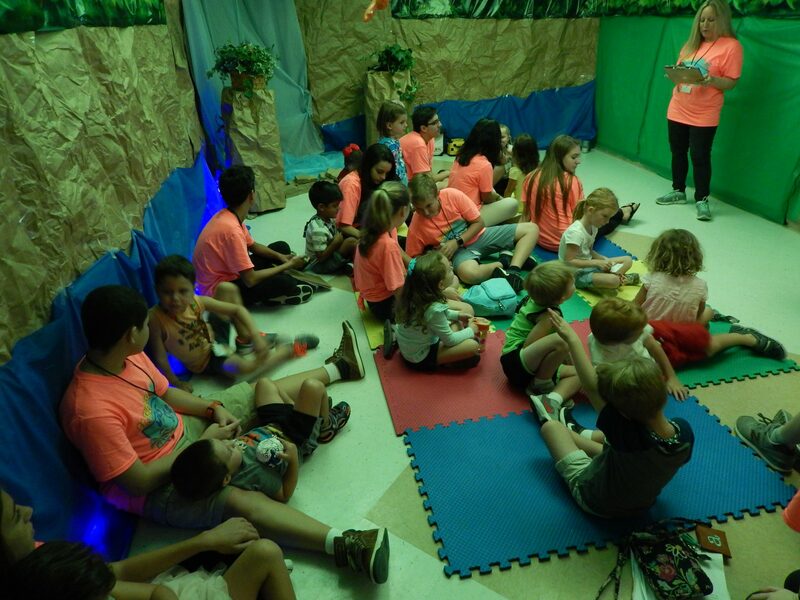 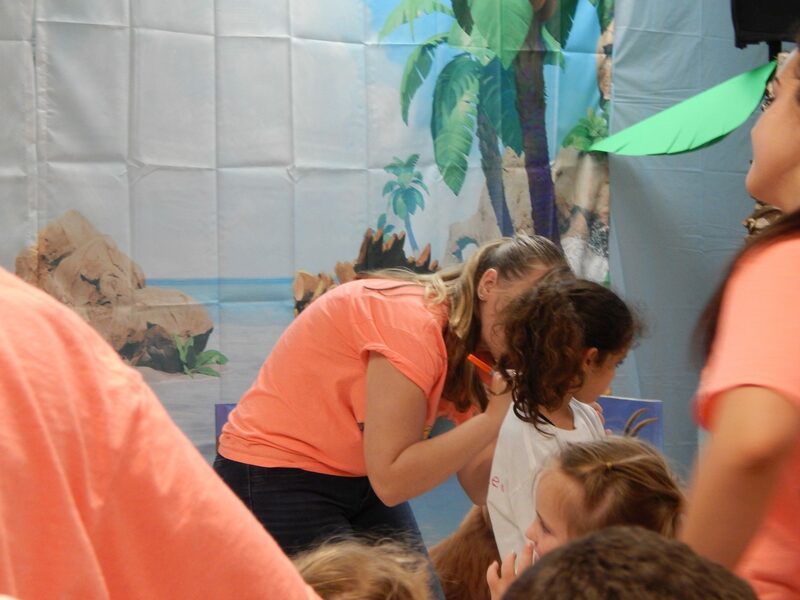 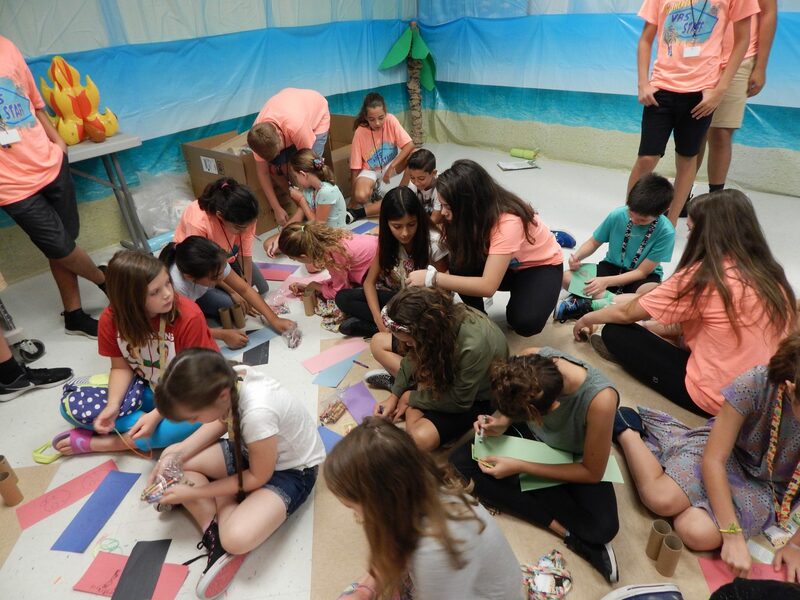 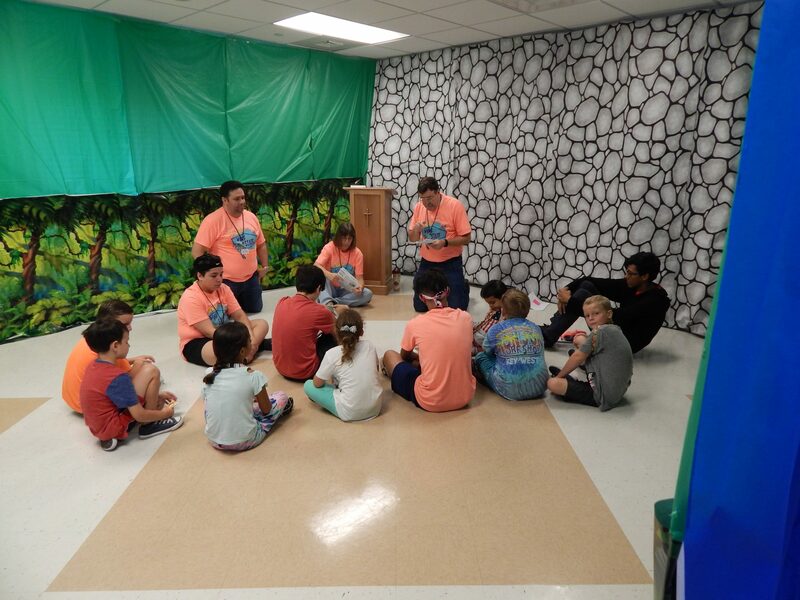 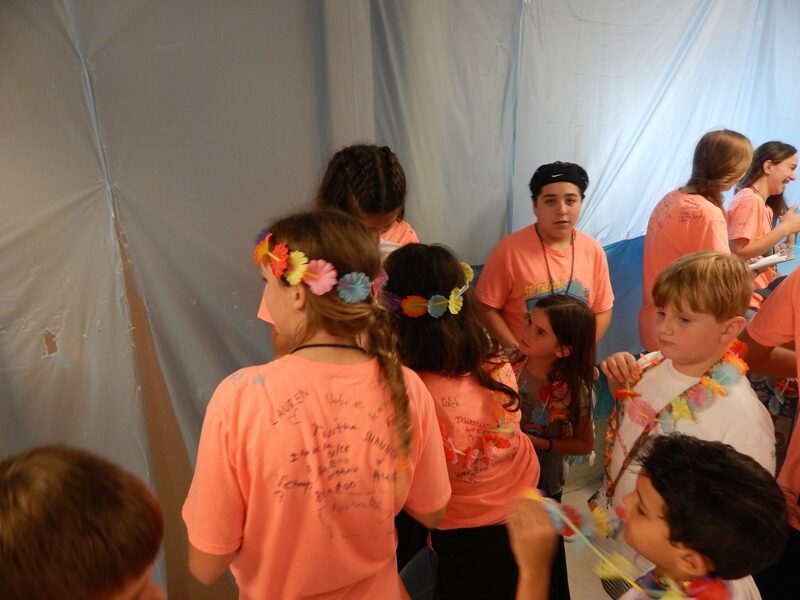 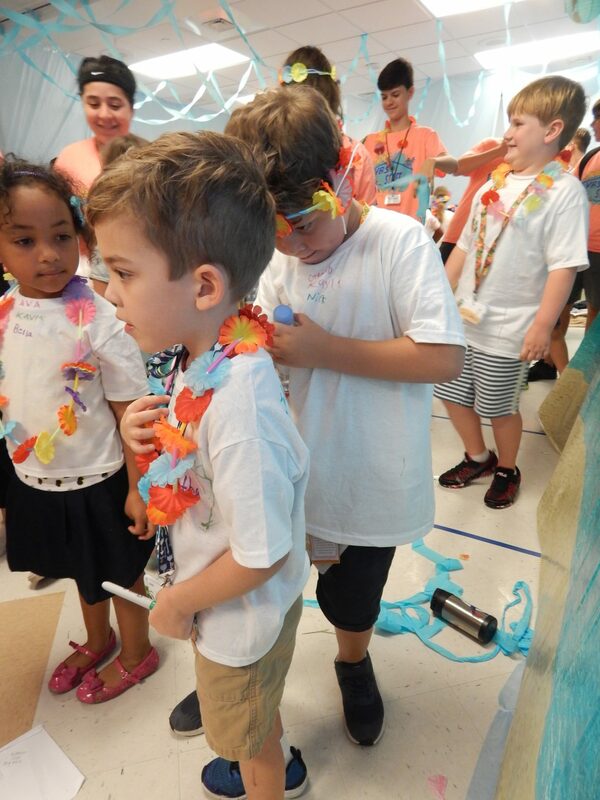 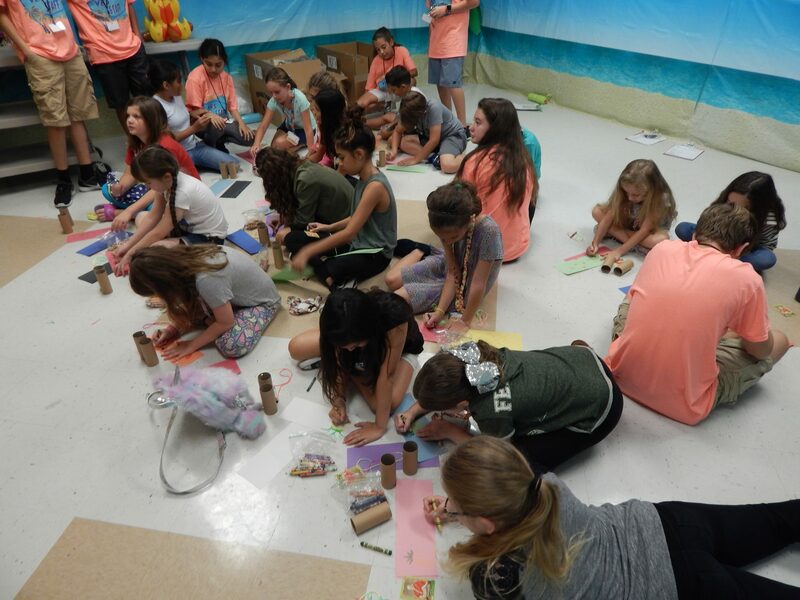 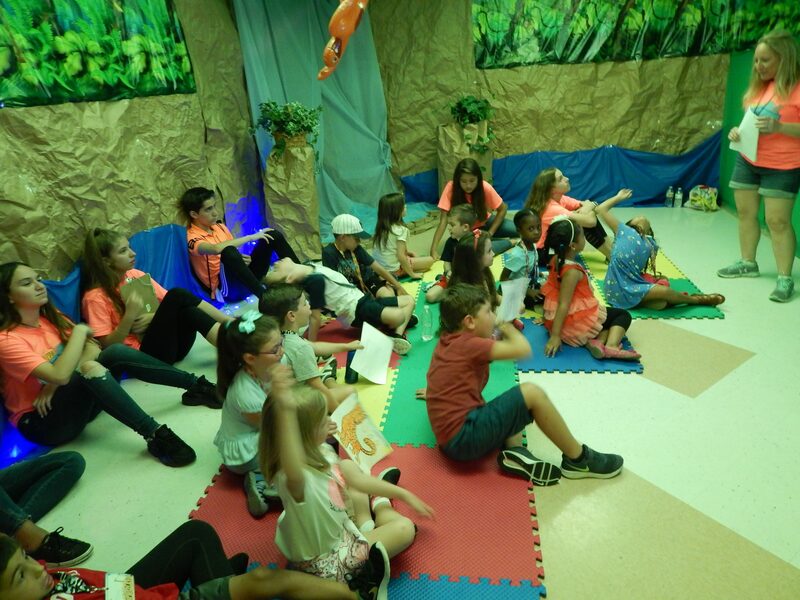 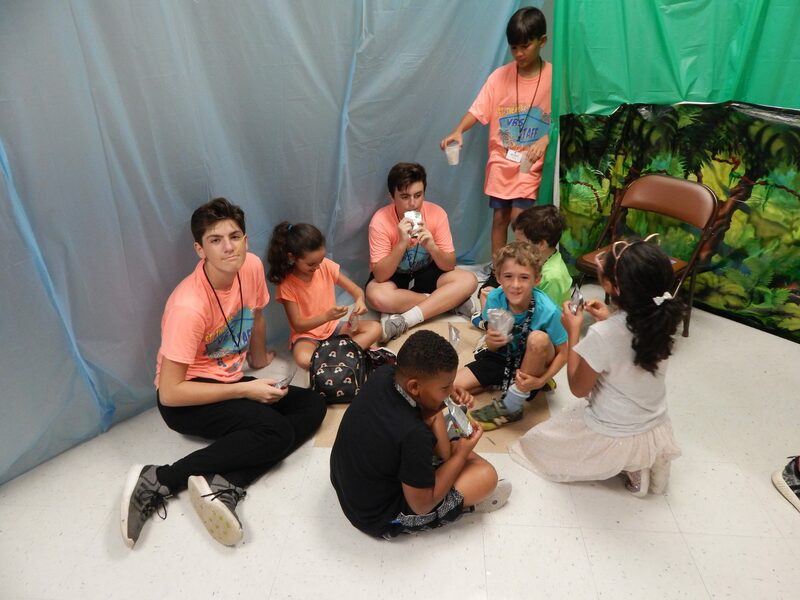 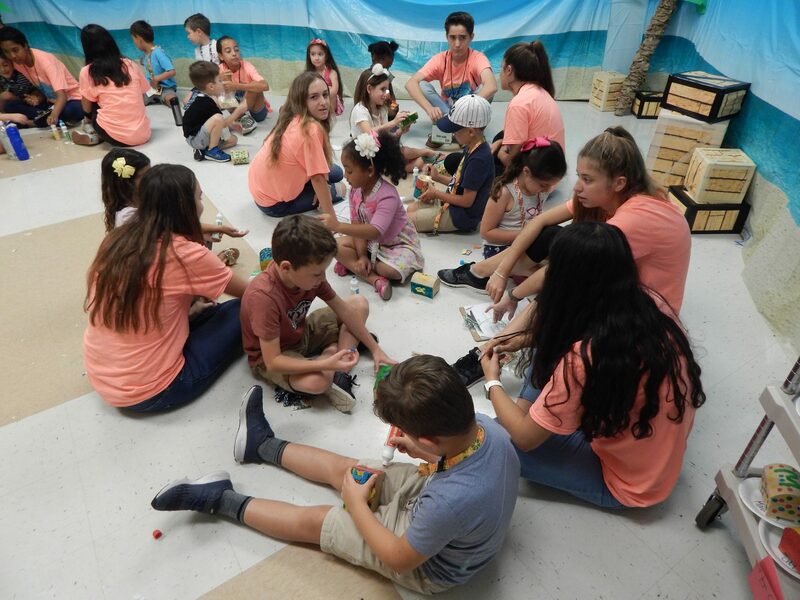 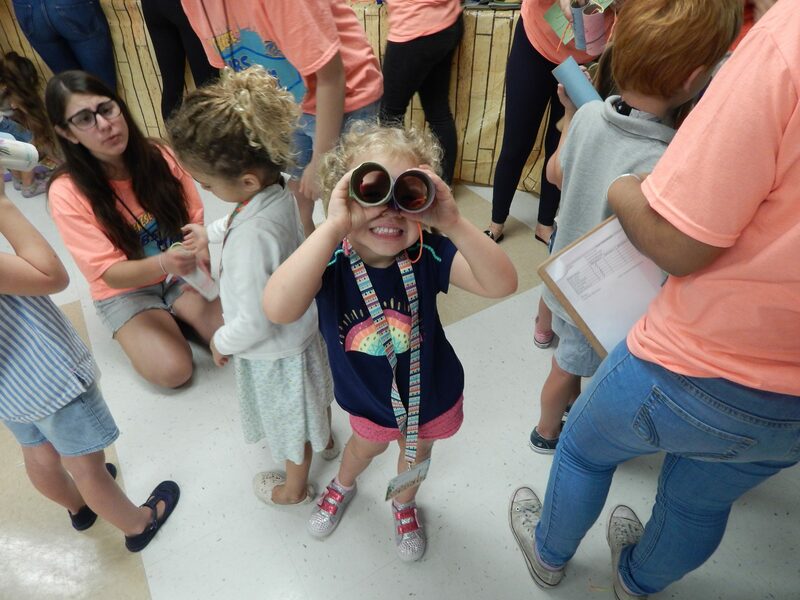 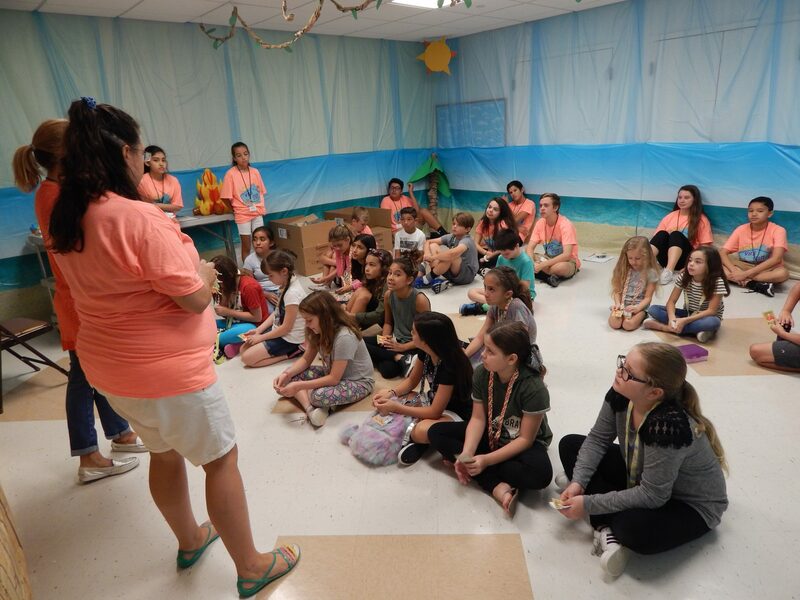 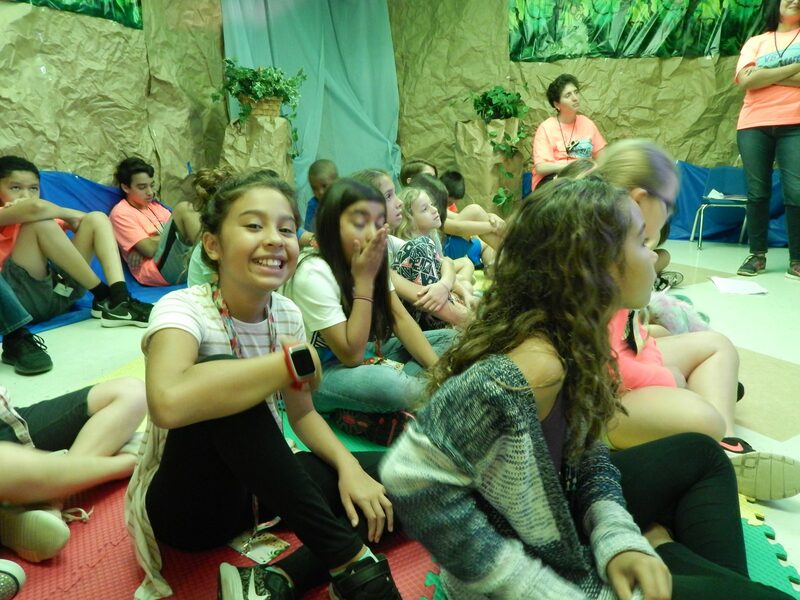 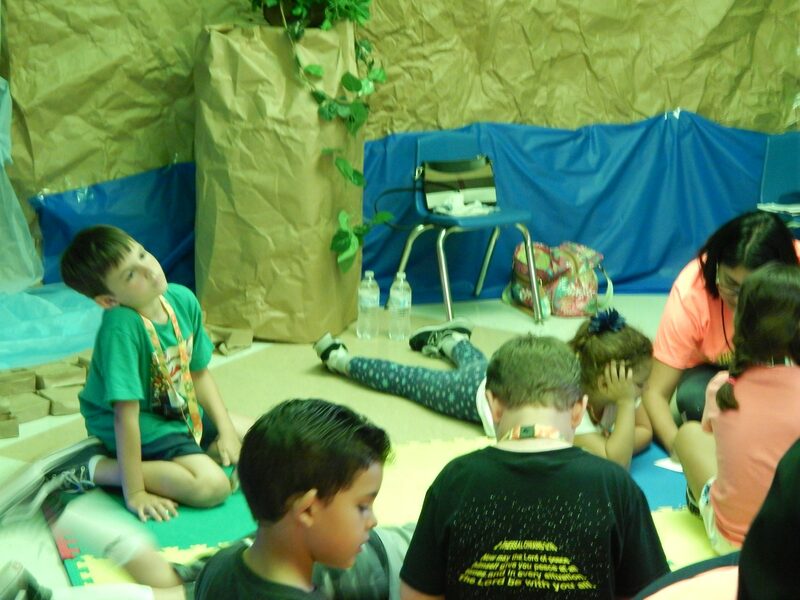 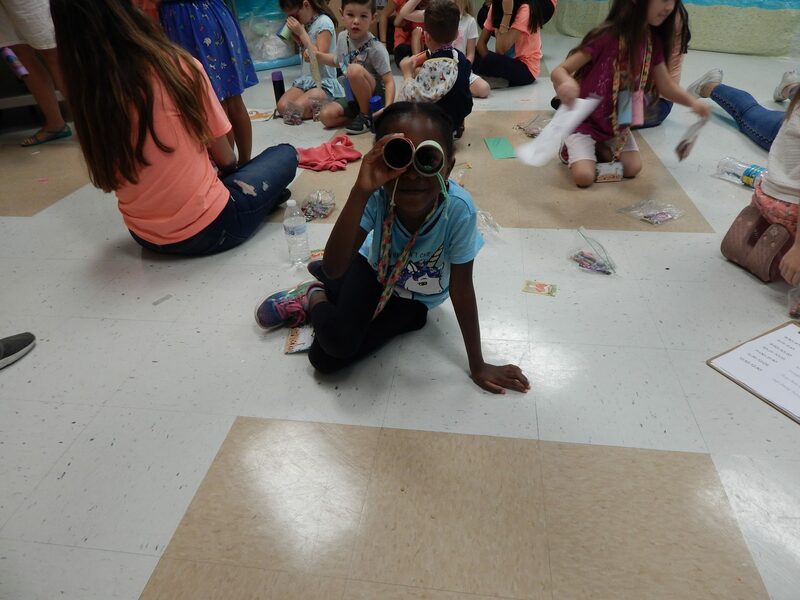 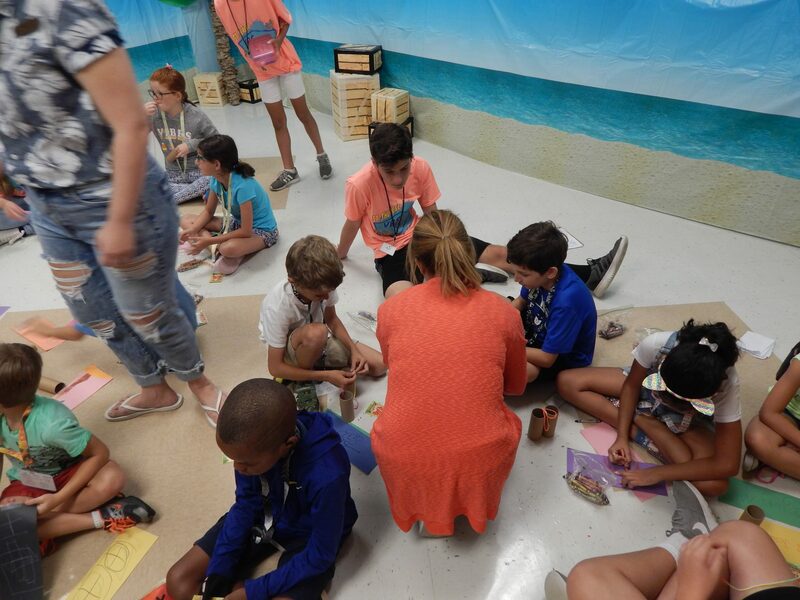 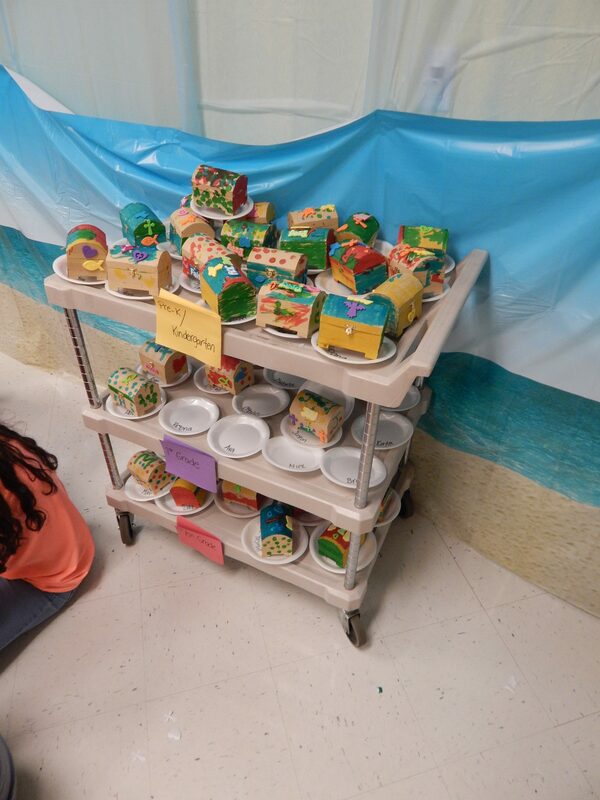 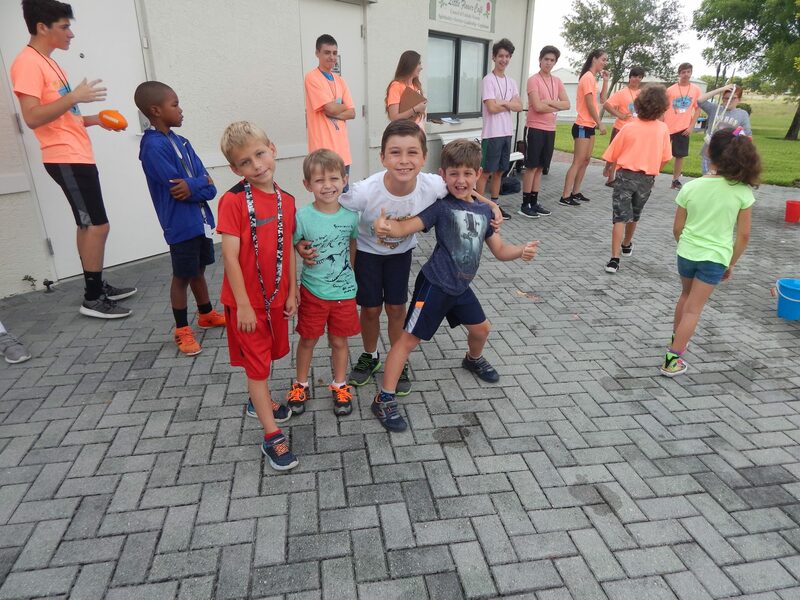 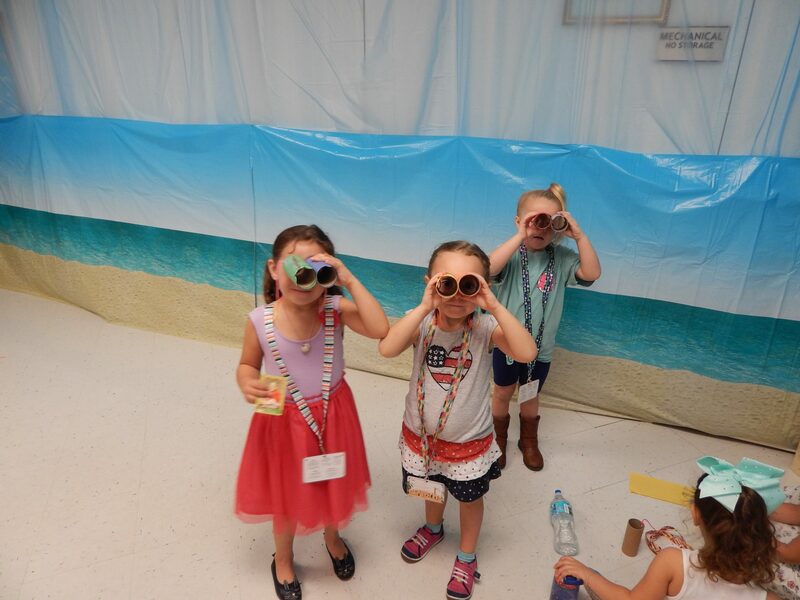 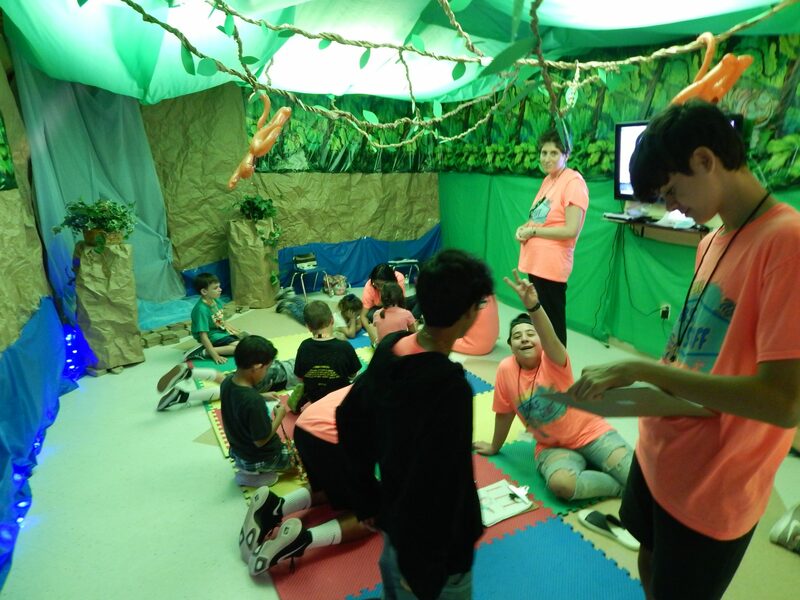 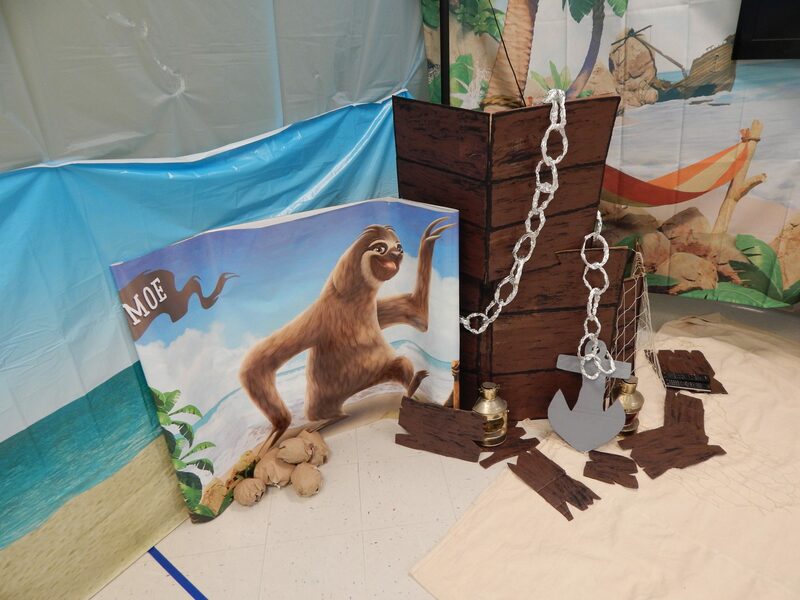 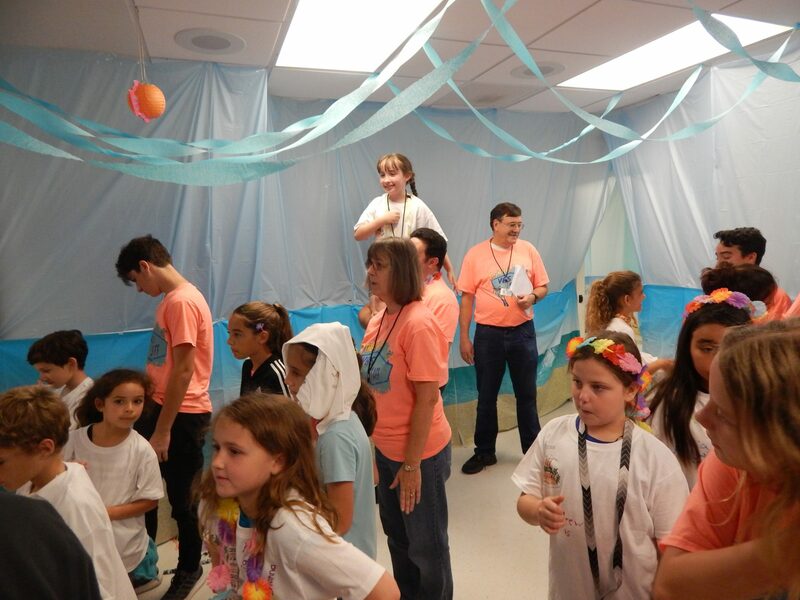 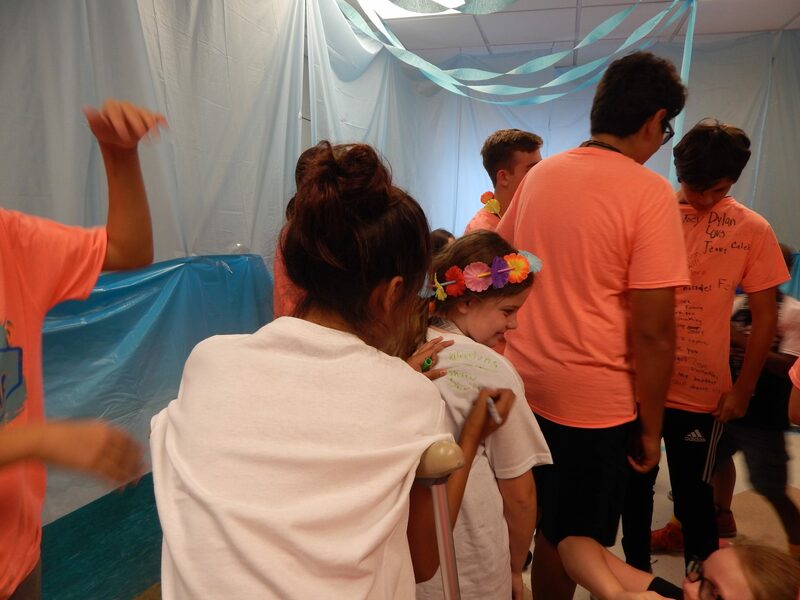 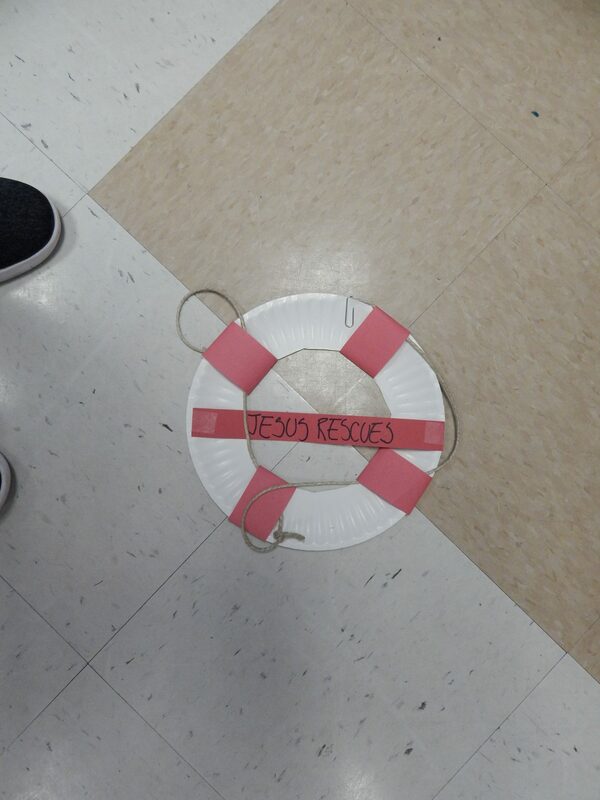 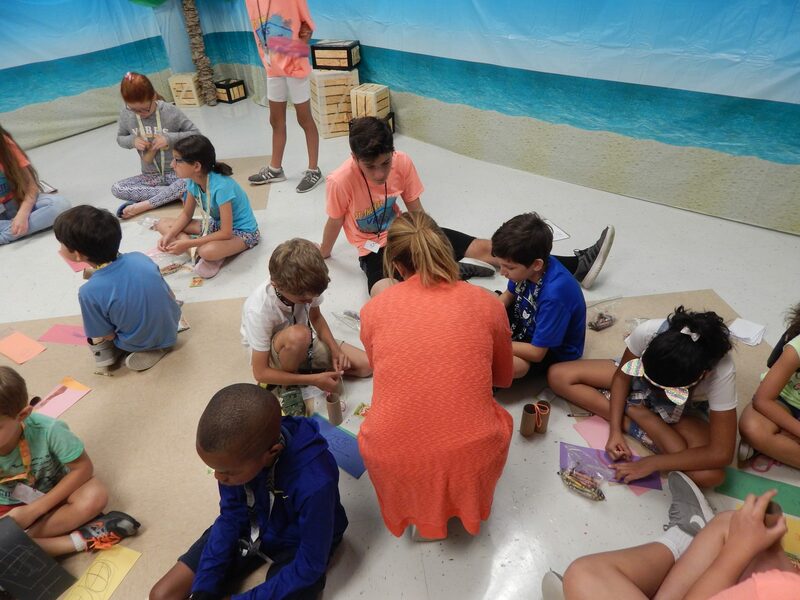 Vacation Bible School 2018 is Shipwrecked! 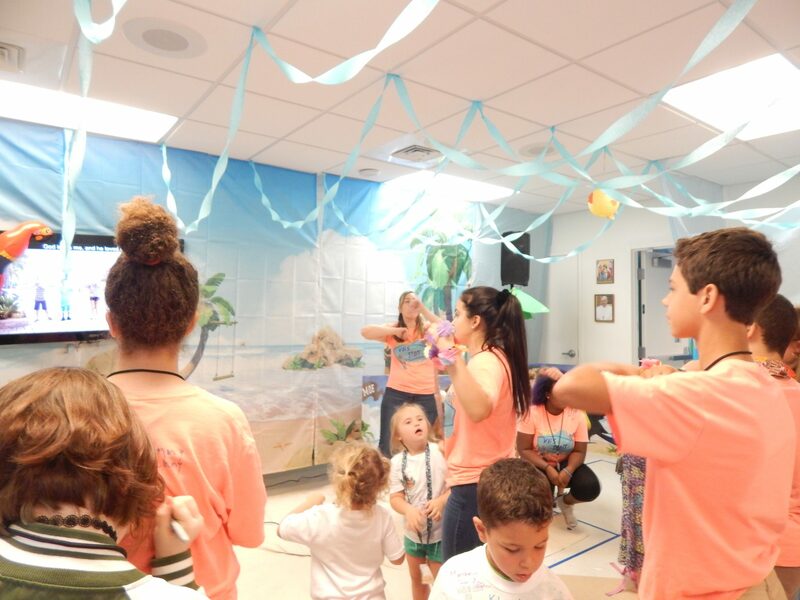 Check out all of the fun we had this summer on our island! 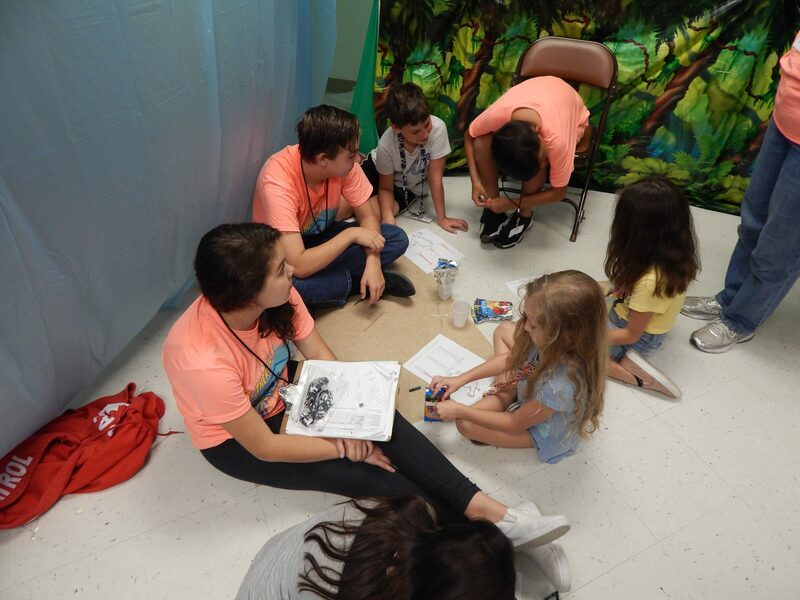 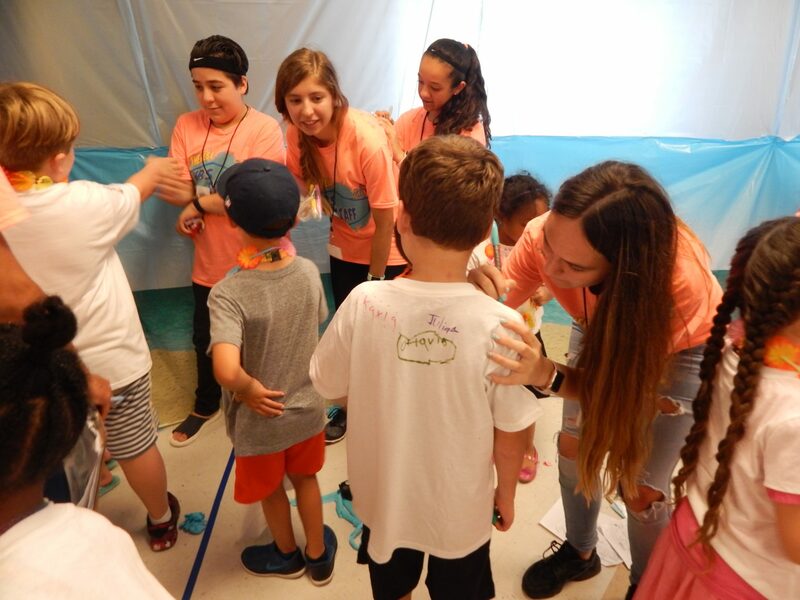 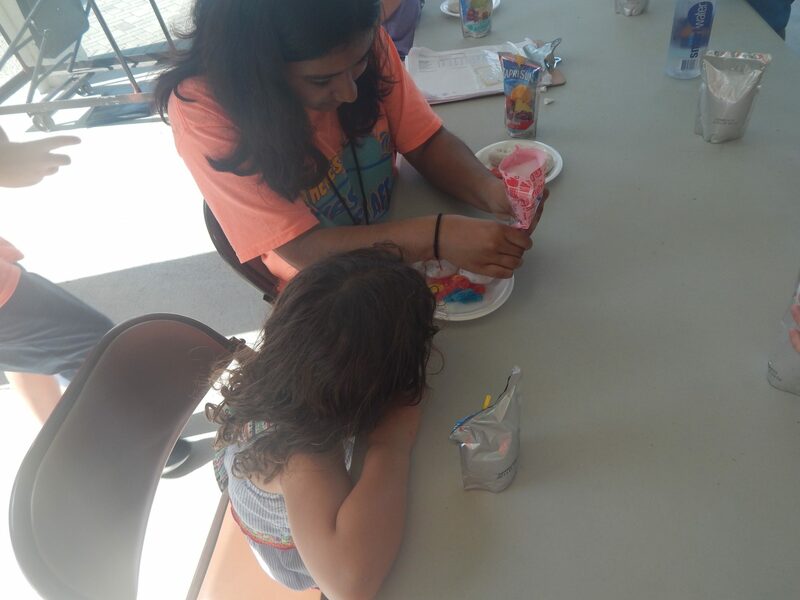 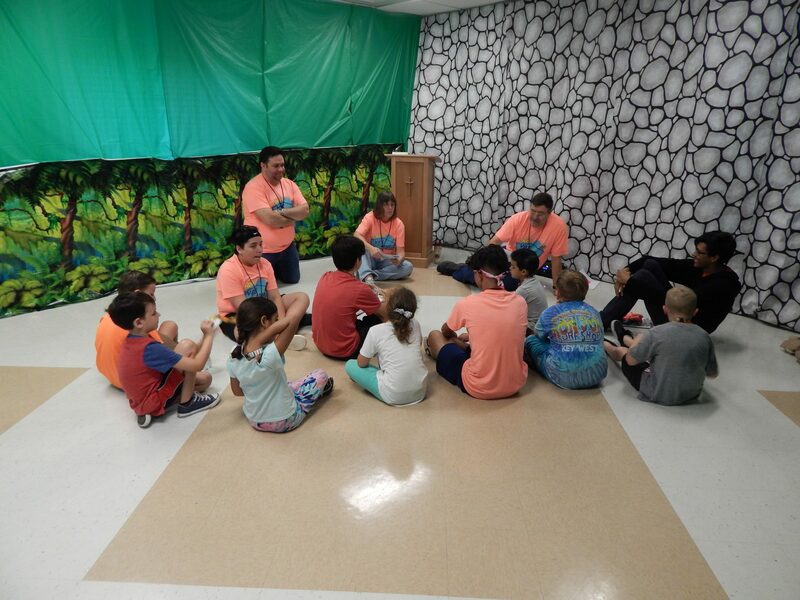 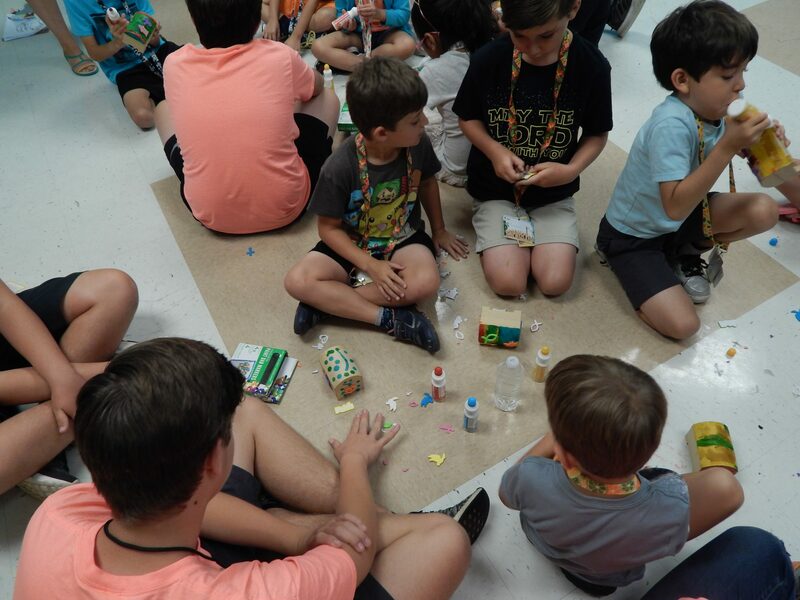 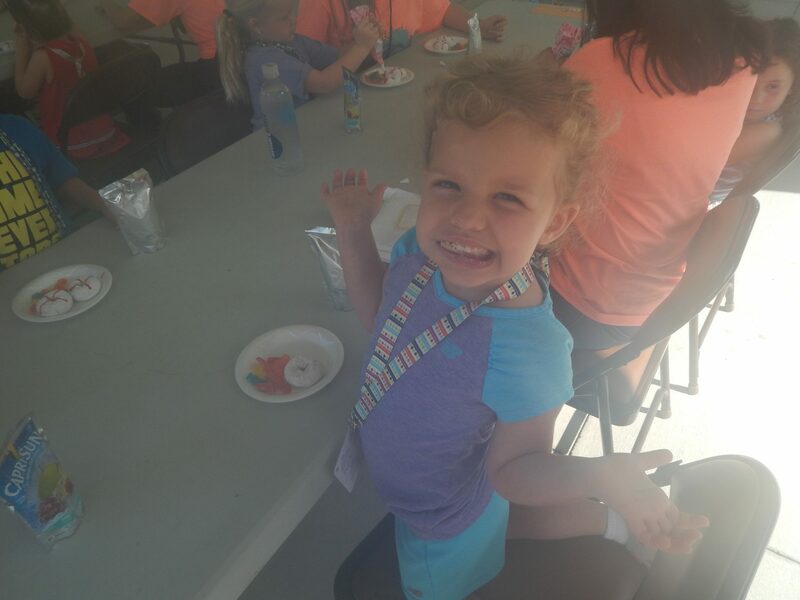 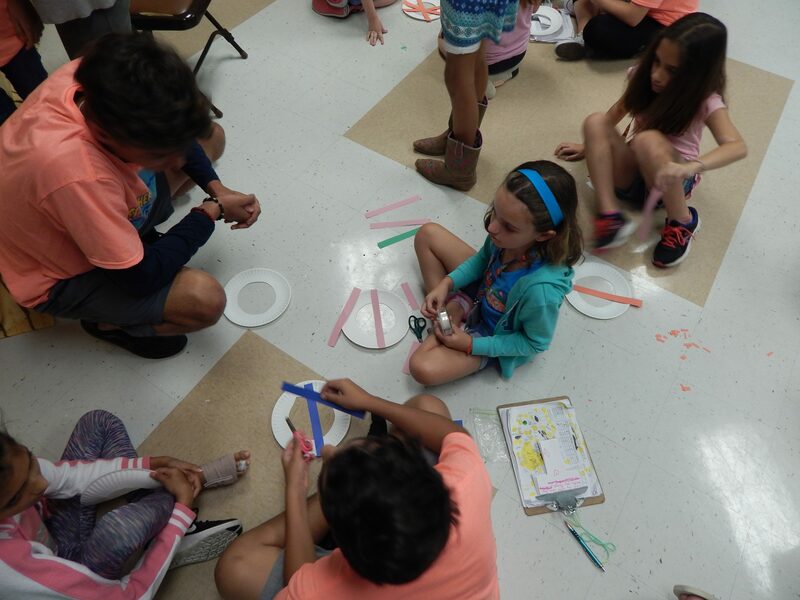 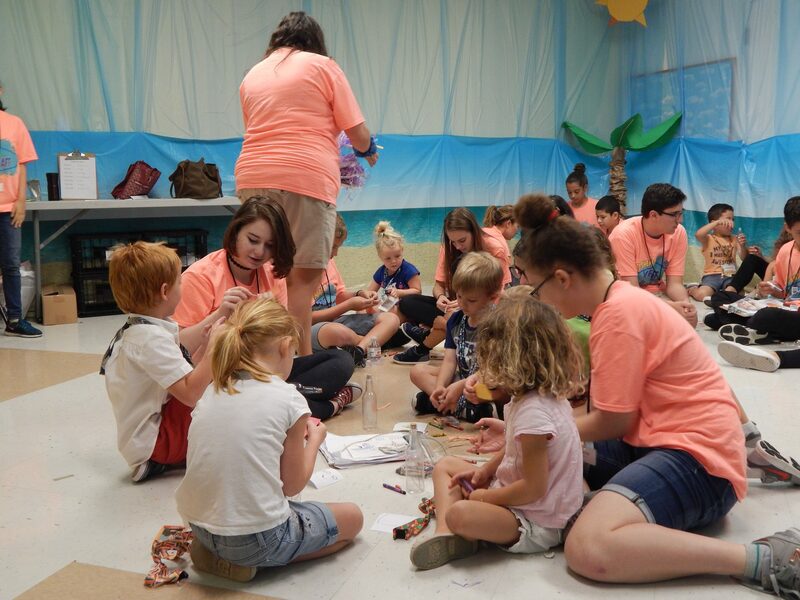 Vacation Bible School is a one-week long summer program where kids come to play games, do crafts, and go on cool Bible discovery adventures! 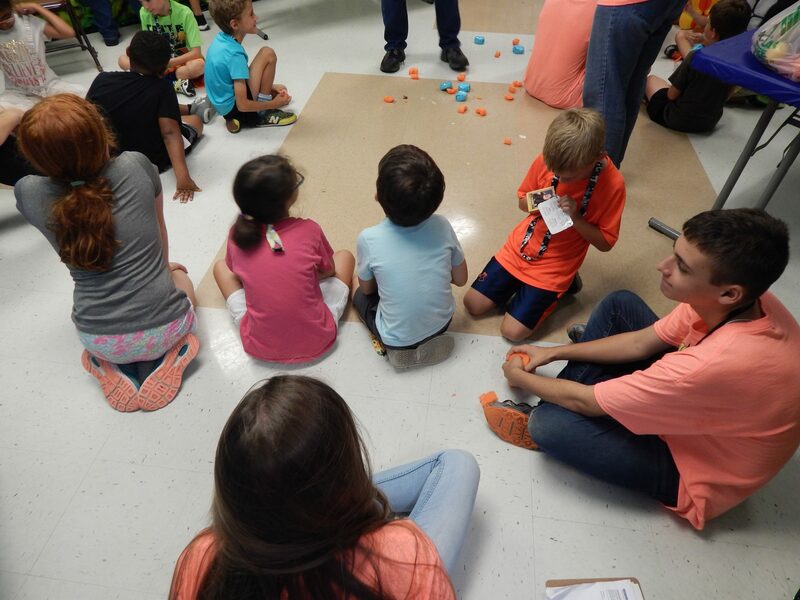 The program is available for kids entering Pre-k in the Fall all the way through 5th Grade. 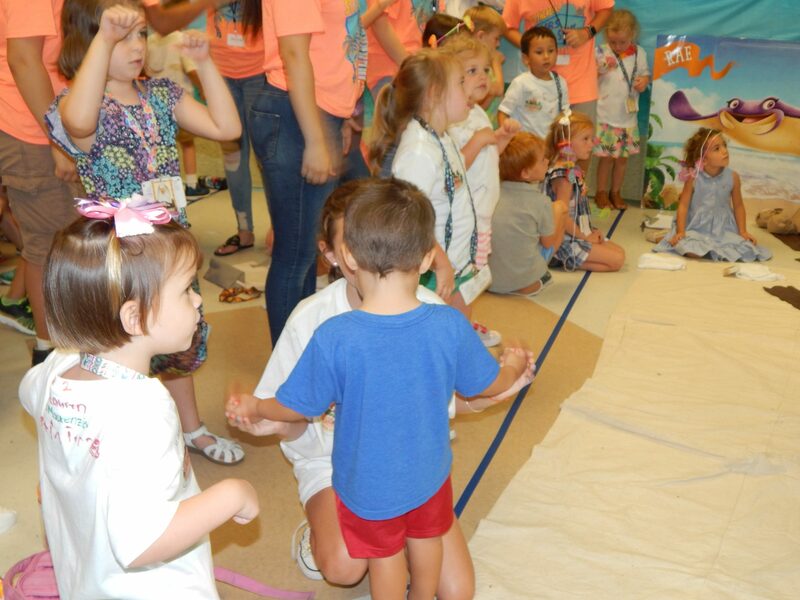 ALL children entering Pre-k MUST be potty-trained in order to participate! 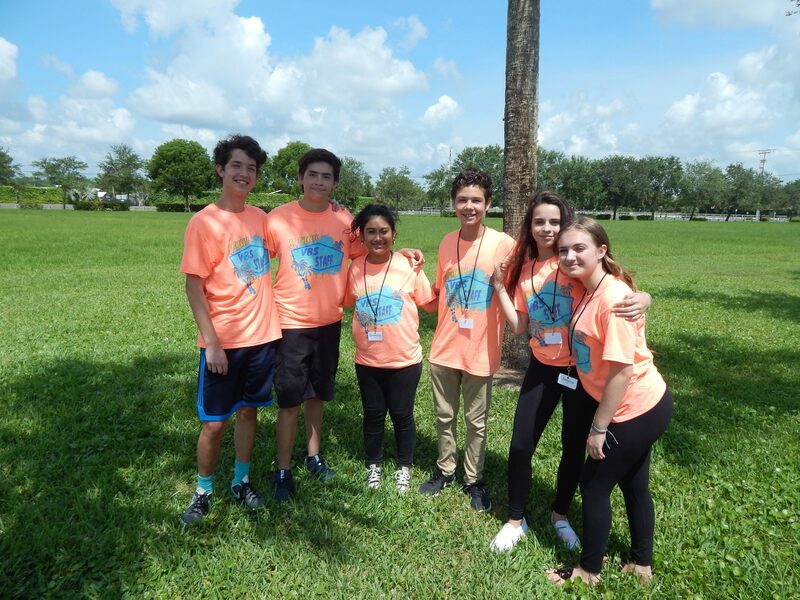 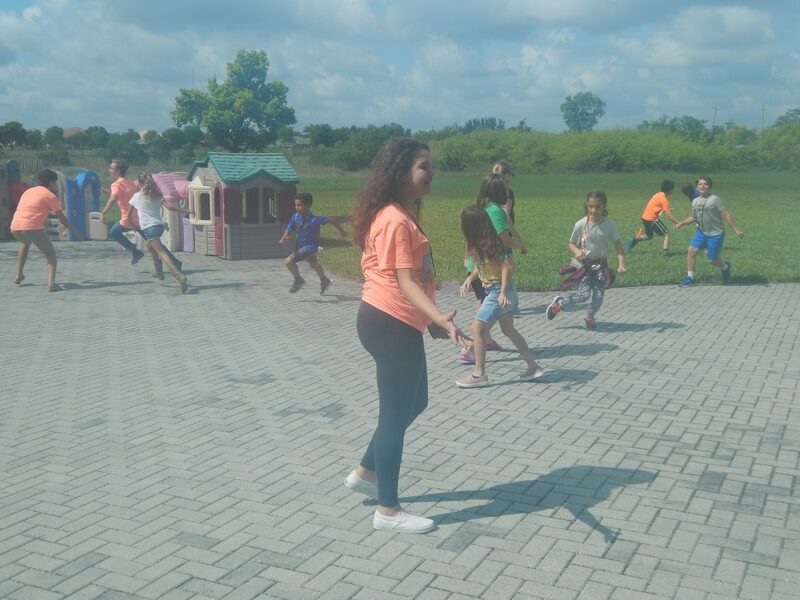 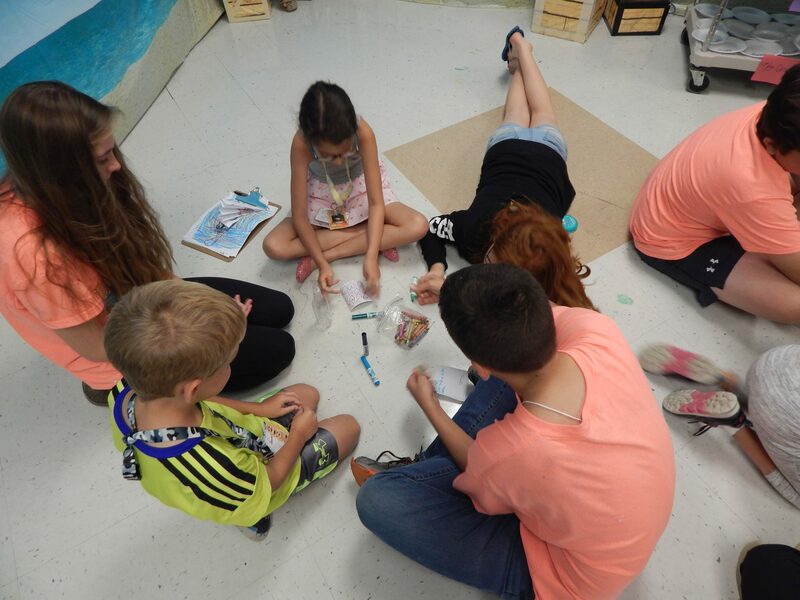 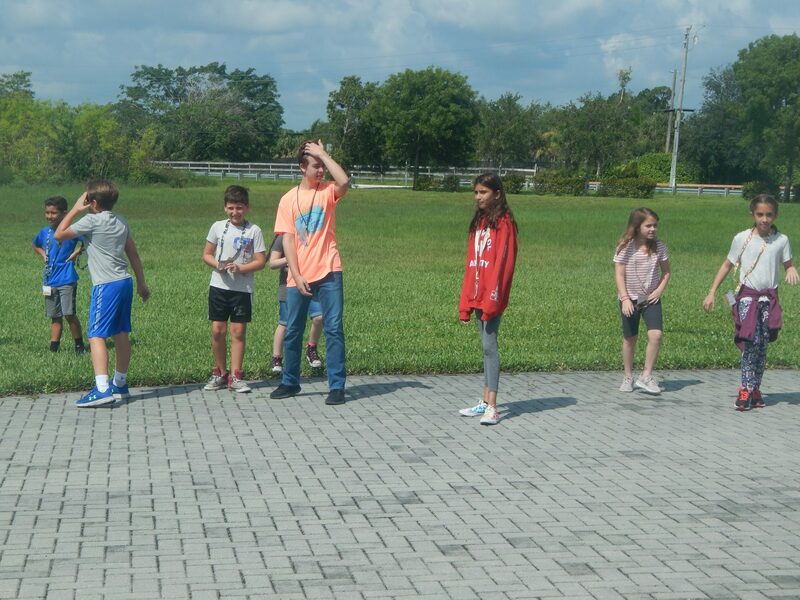 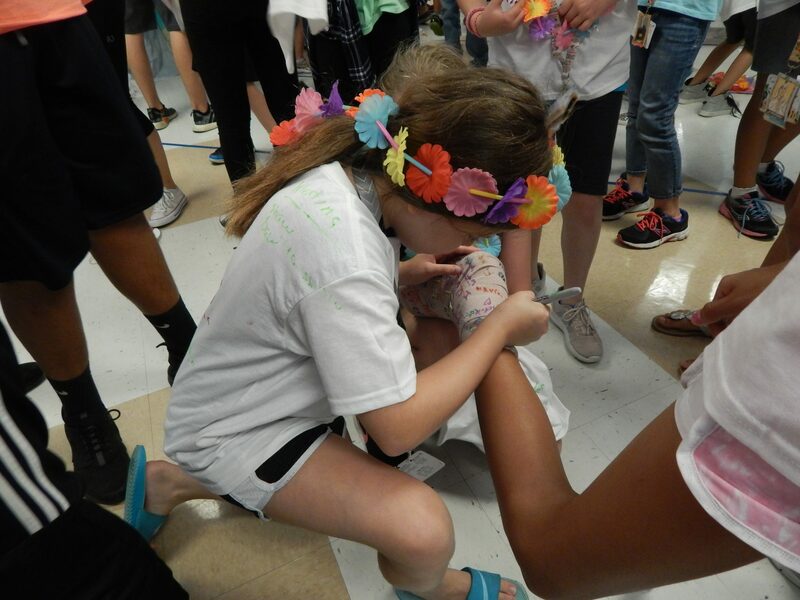 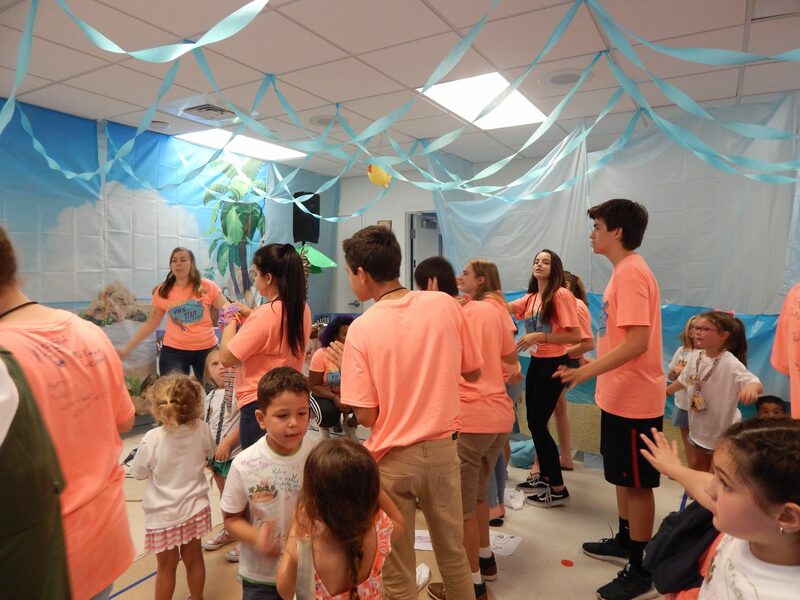 If your child just completed 5th Grade and is entering Middle School in the Fall, unfortunately, they cannot participate in the program; however, they can volunteer as a Station Leader Assistant until they are old enough to be a Crew Leader (must be at least 13 years old to be a Crew Leader). 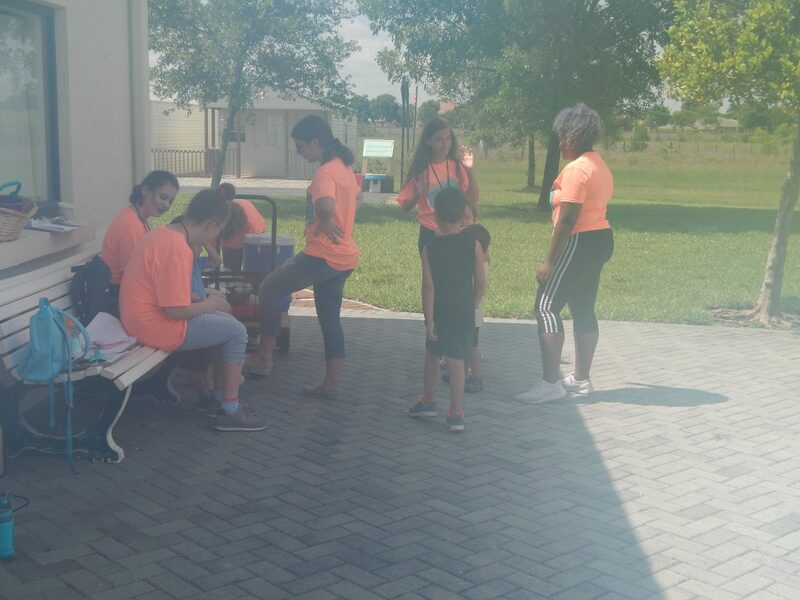 All volunteers are needed from 7:30 am to 1:30 pm. 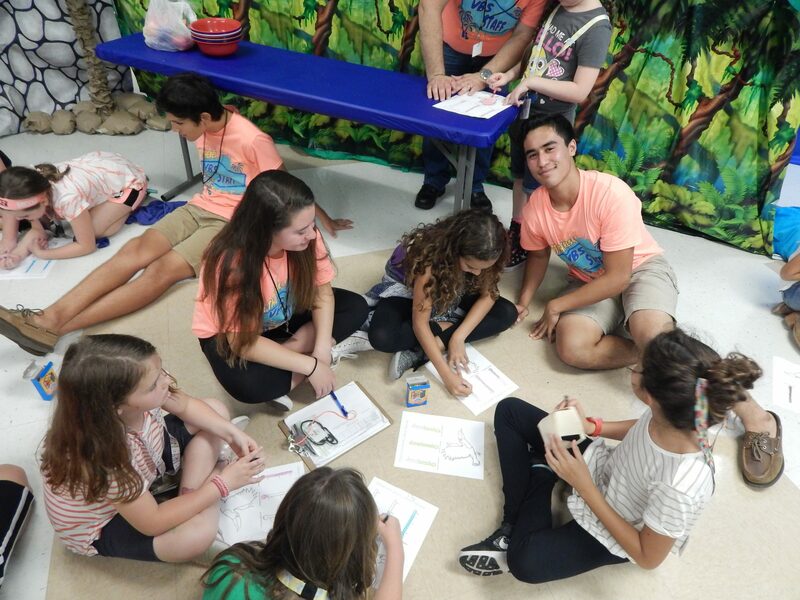 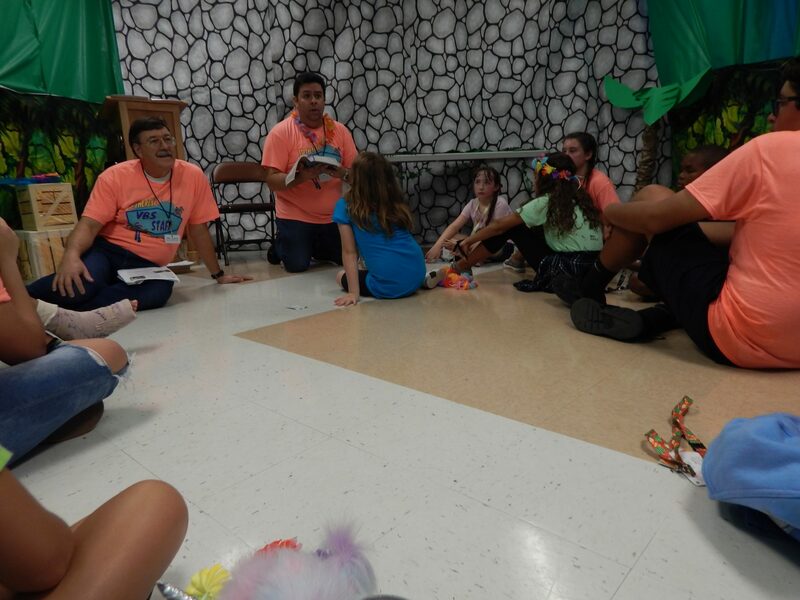 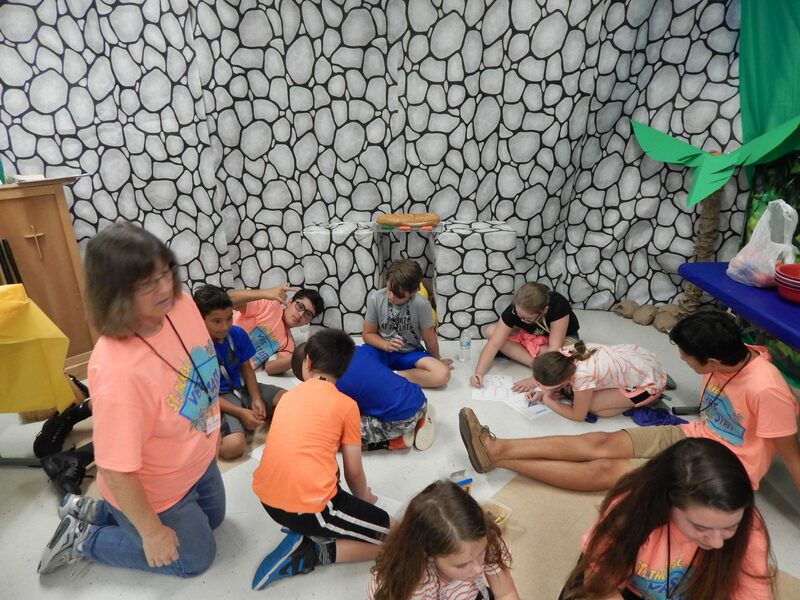 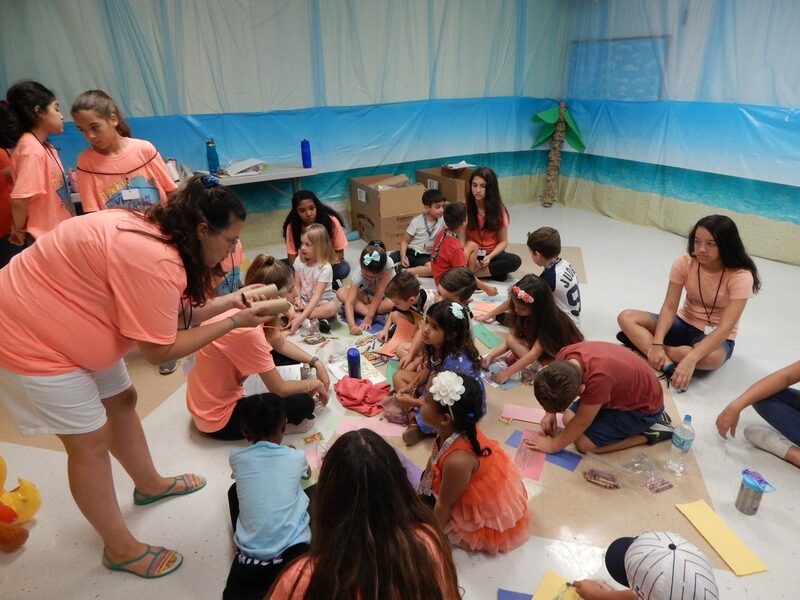 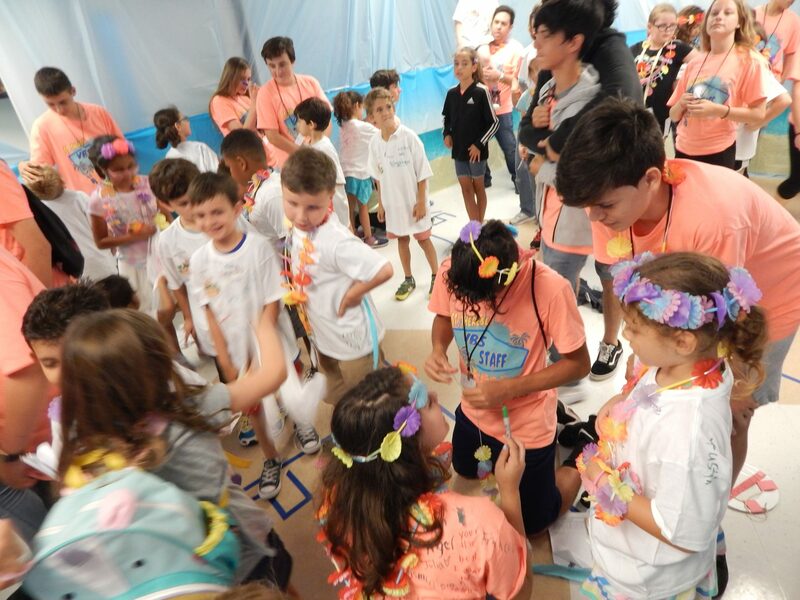 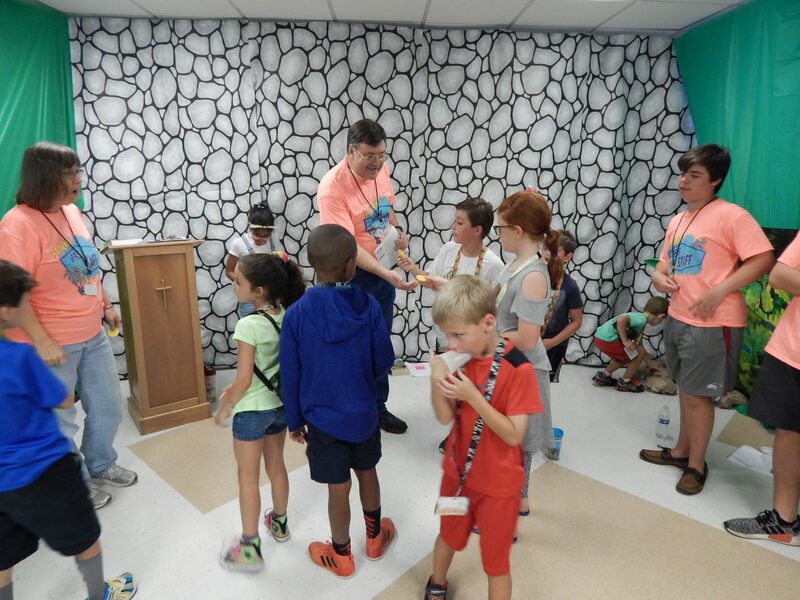 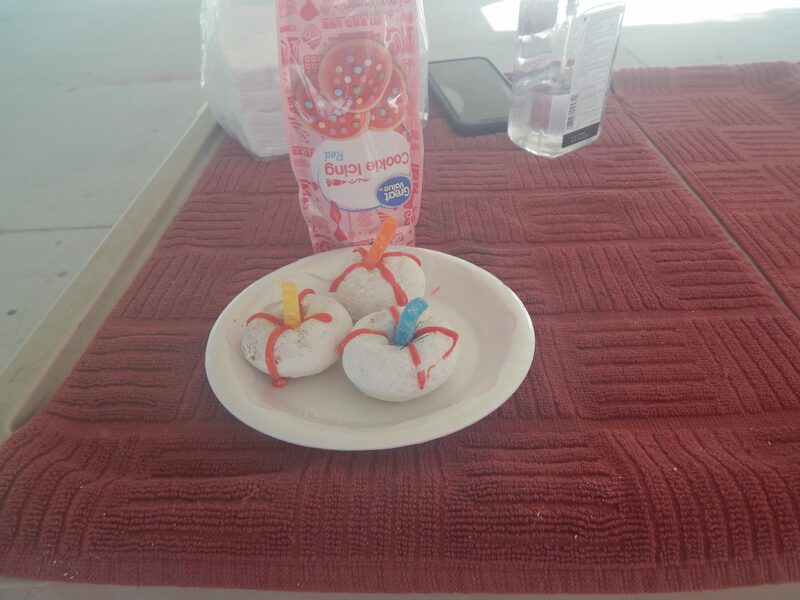 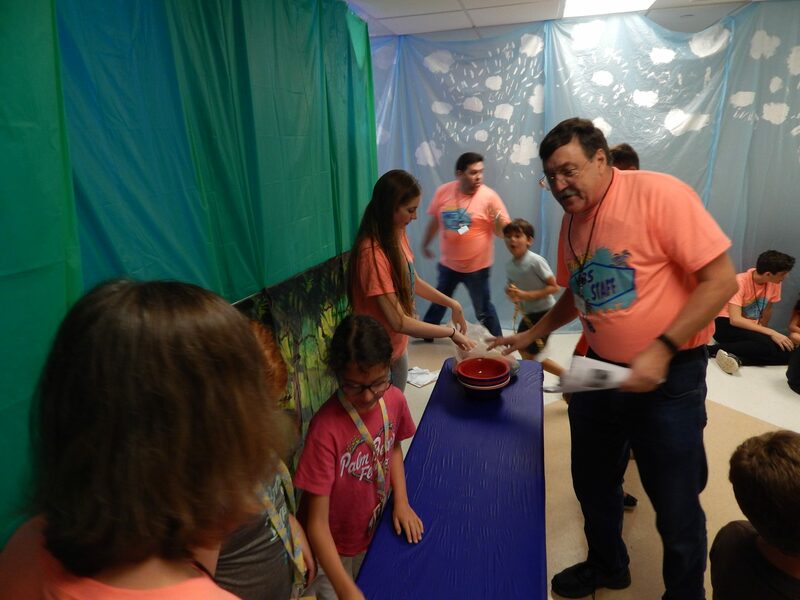 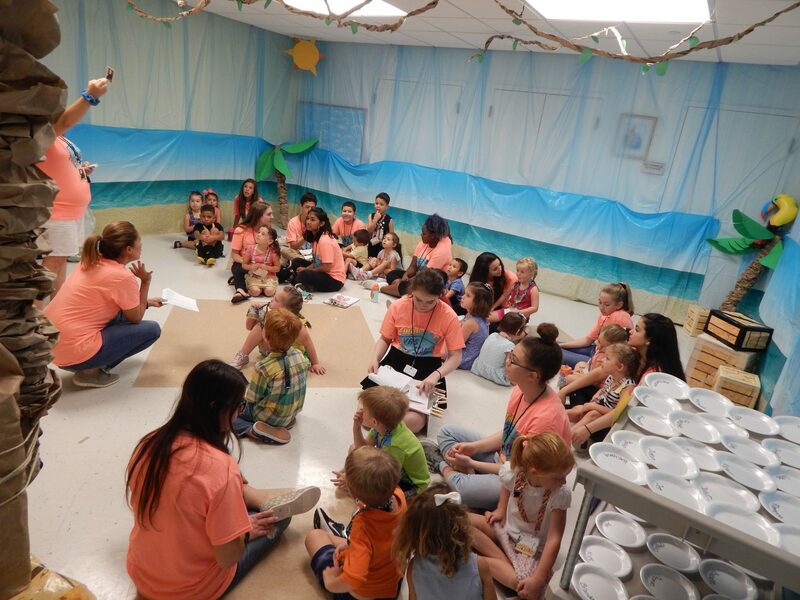 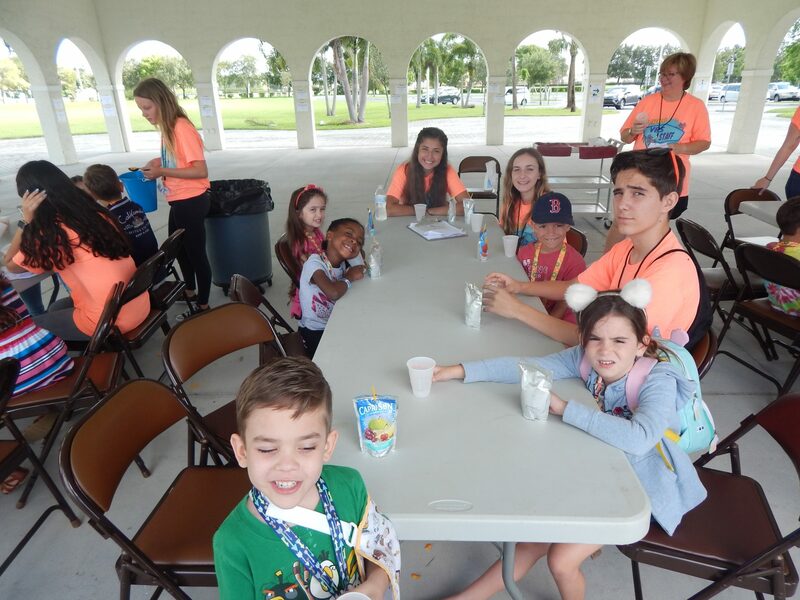 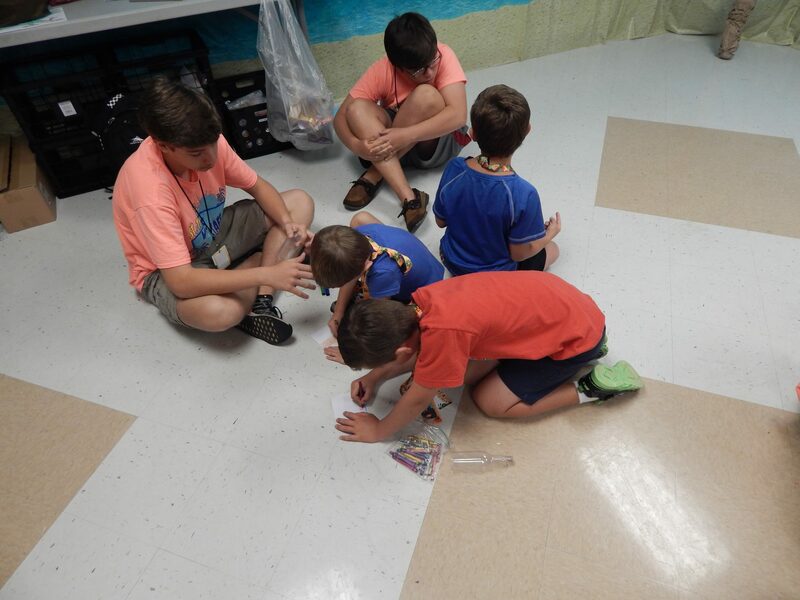 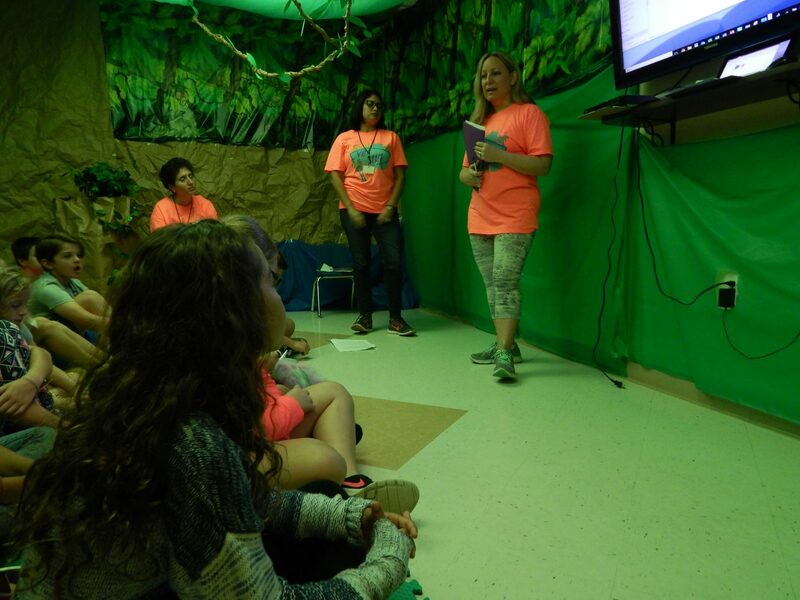 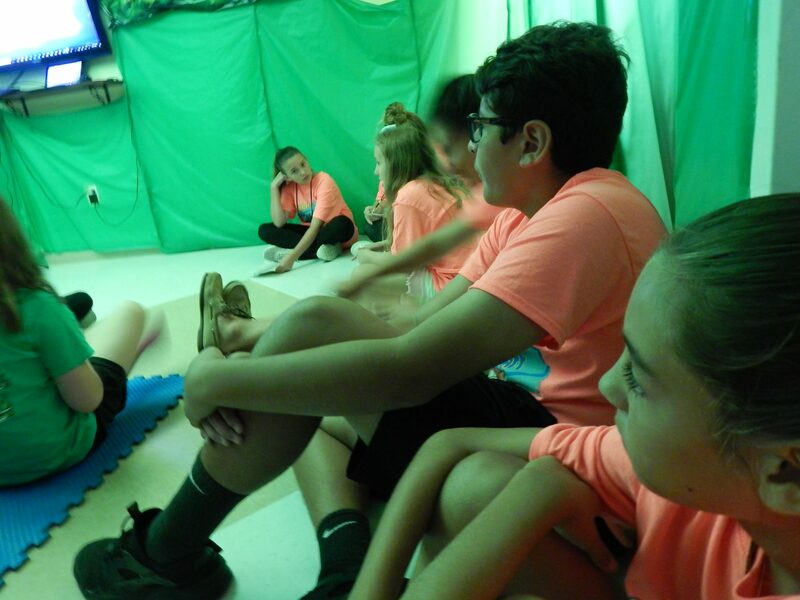 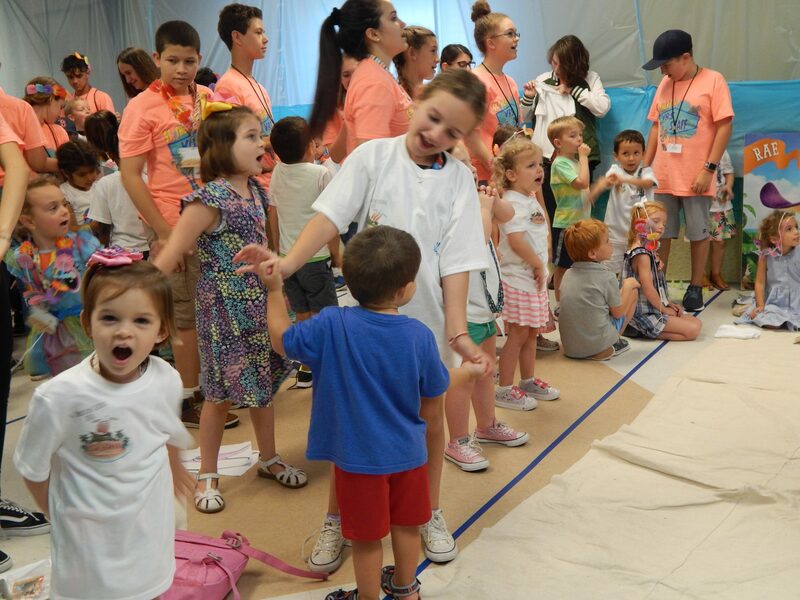 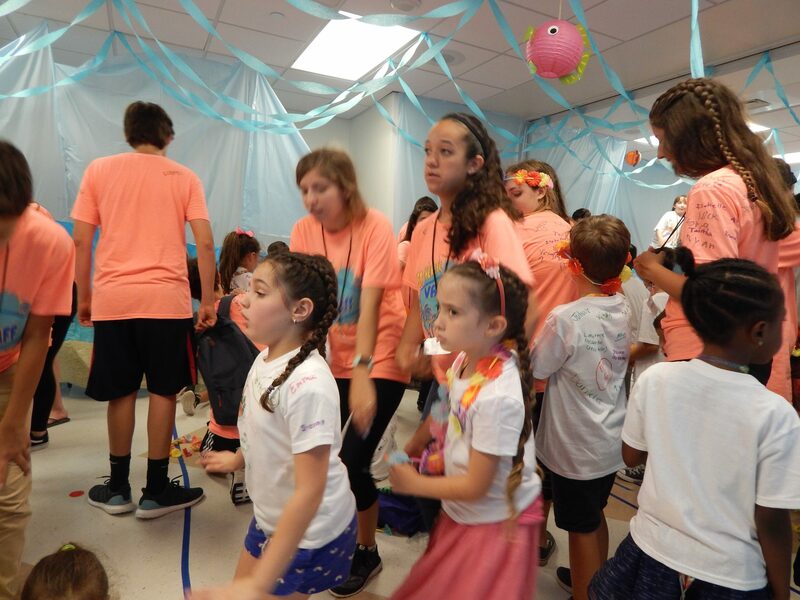 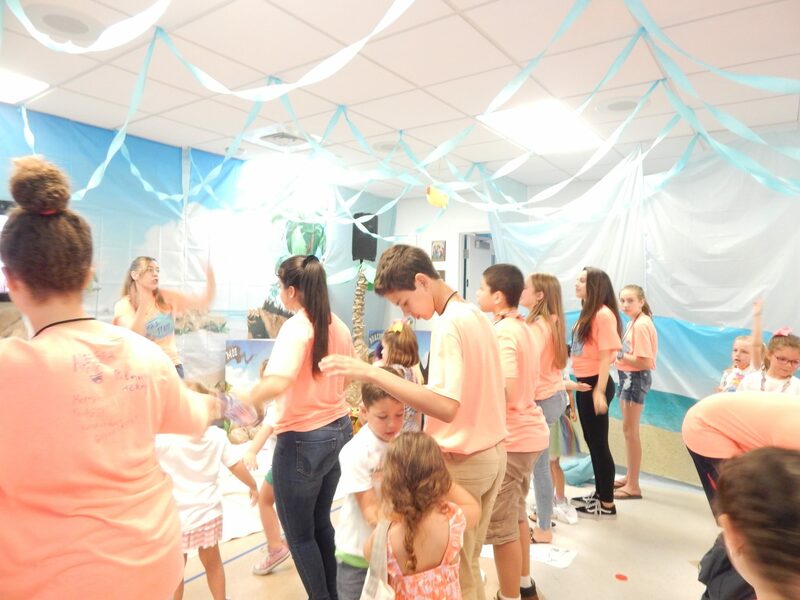 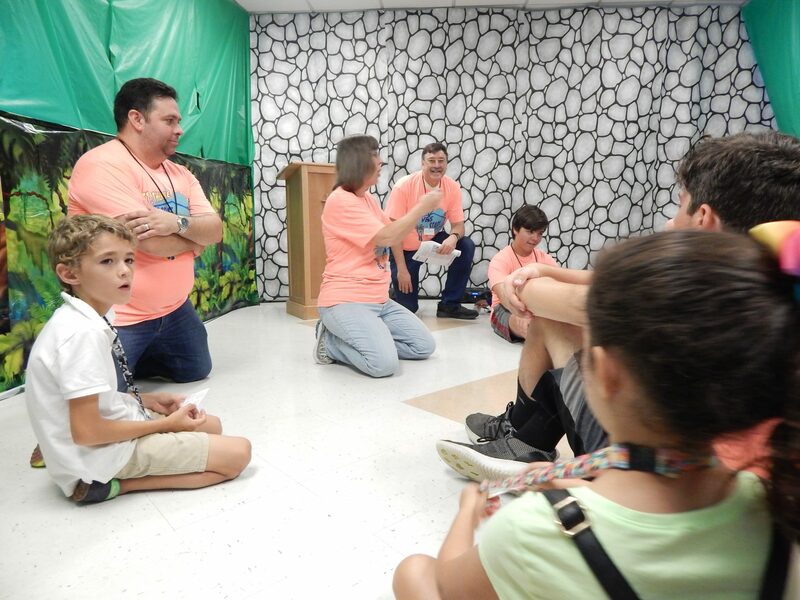 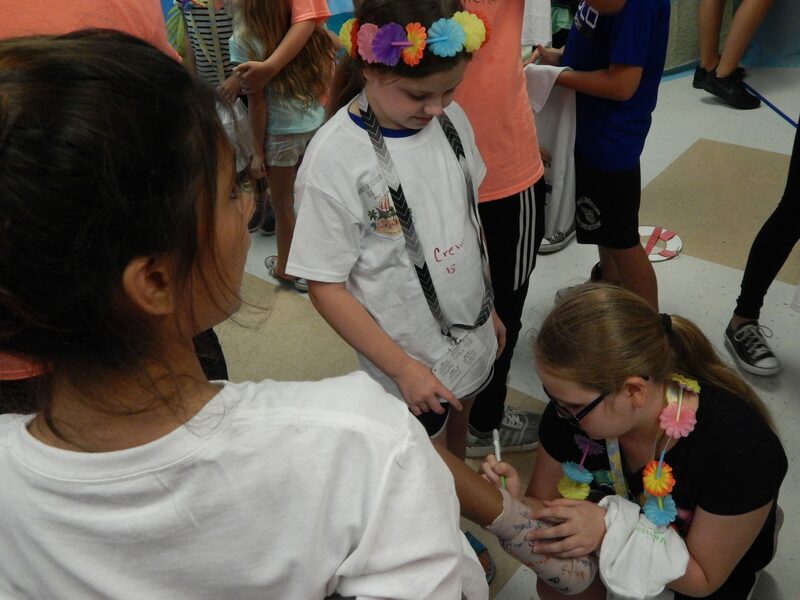 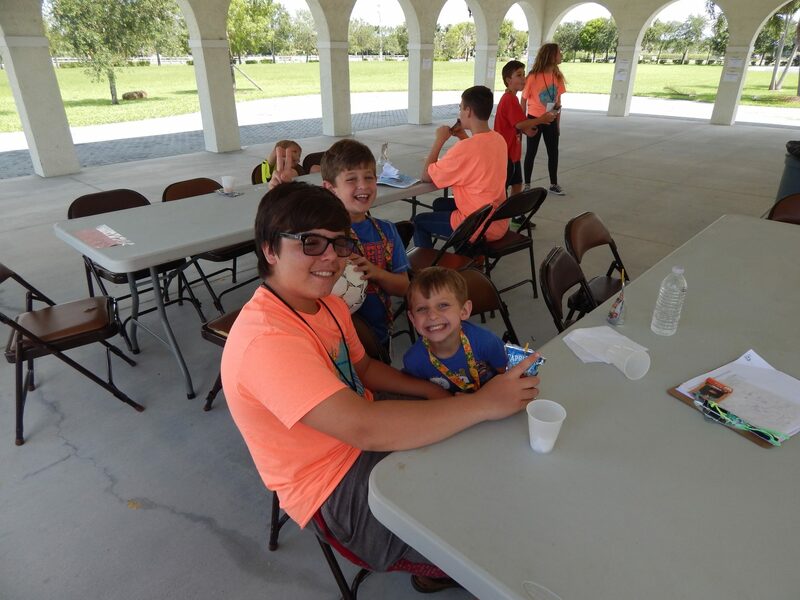 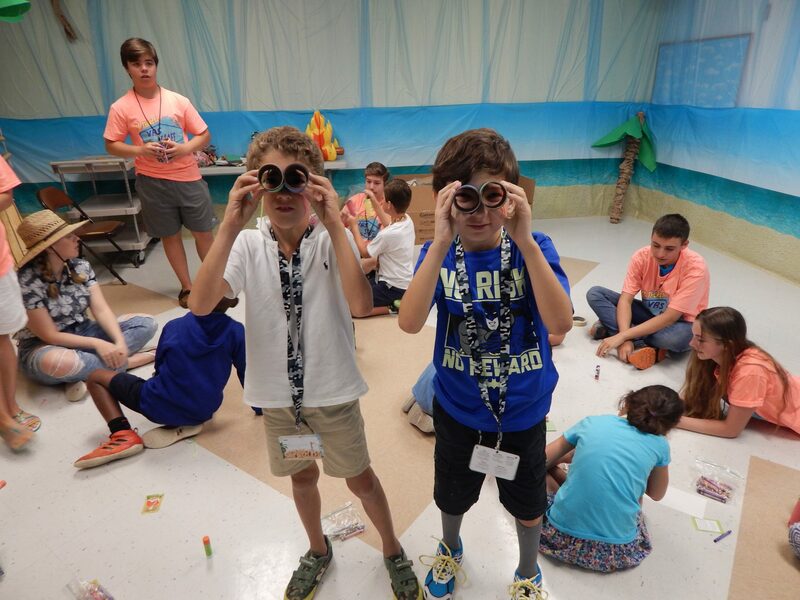 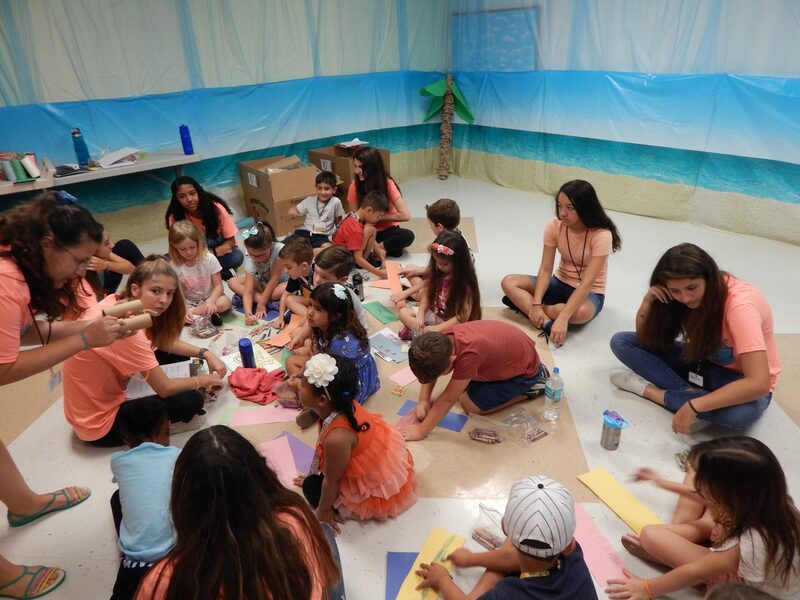 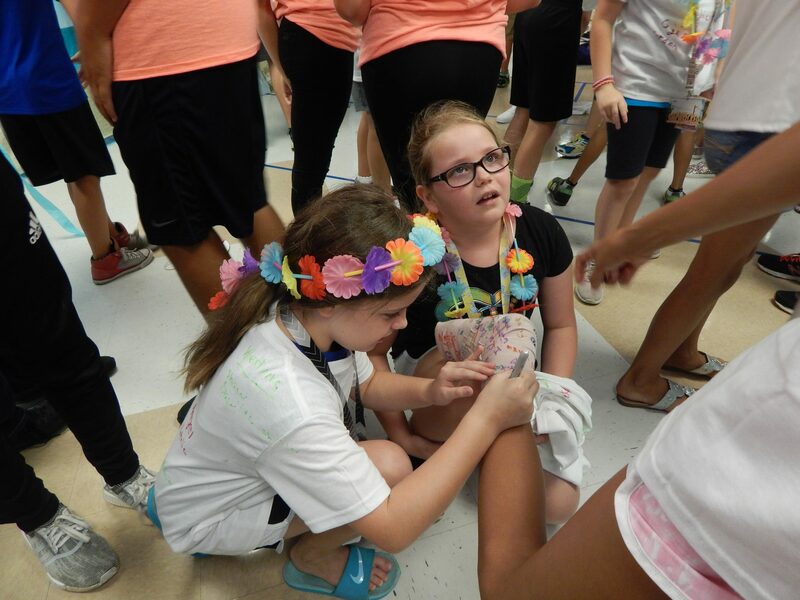 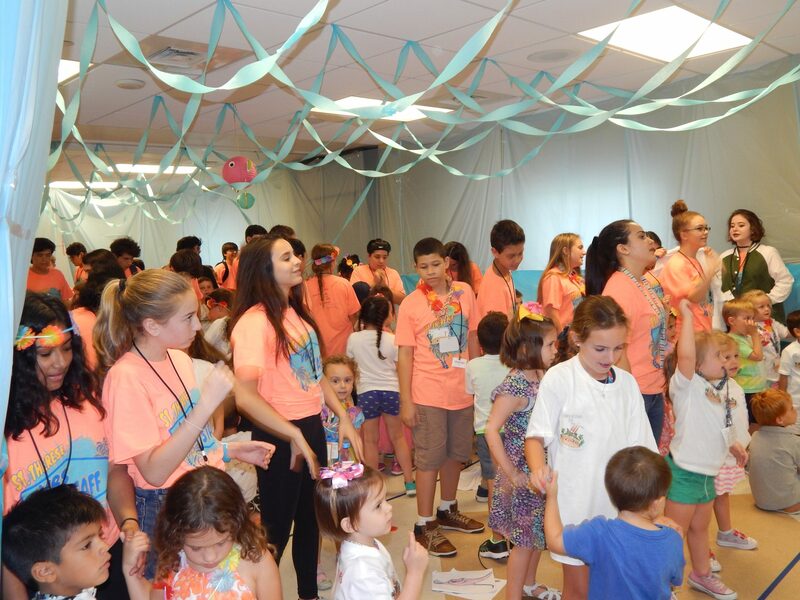 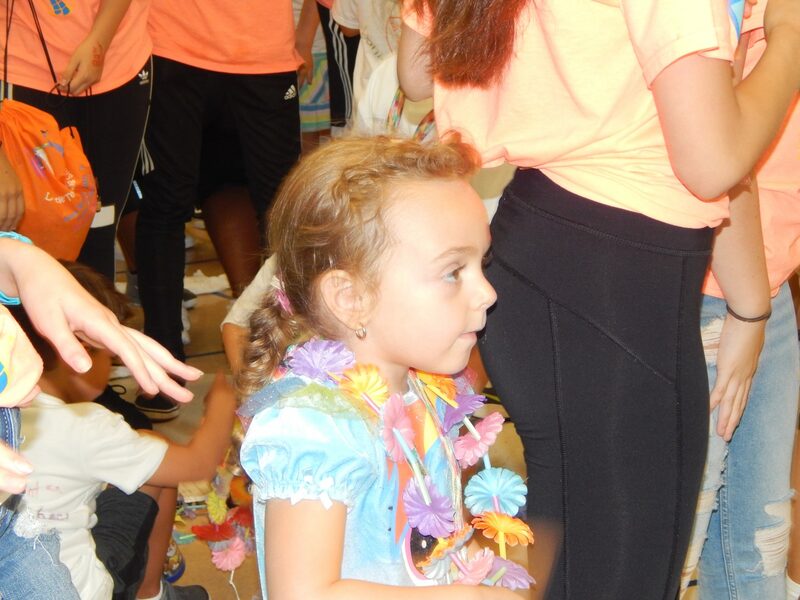 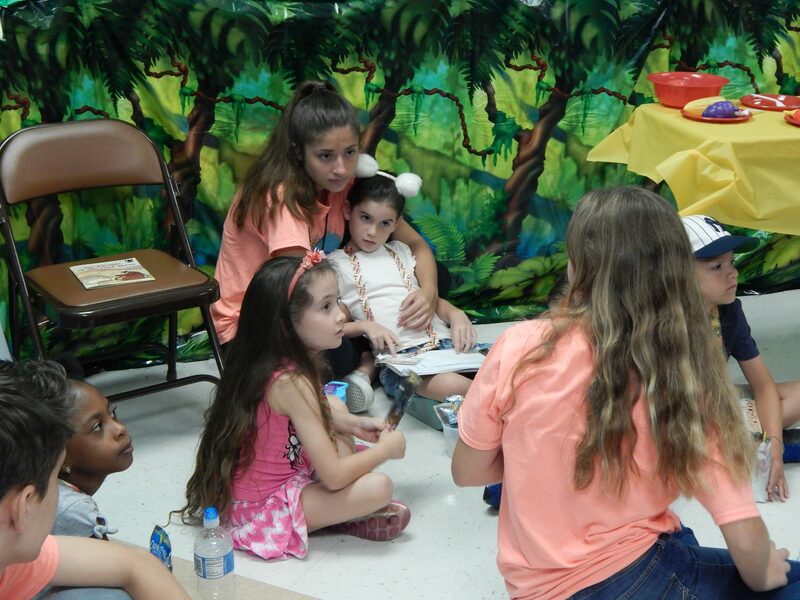 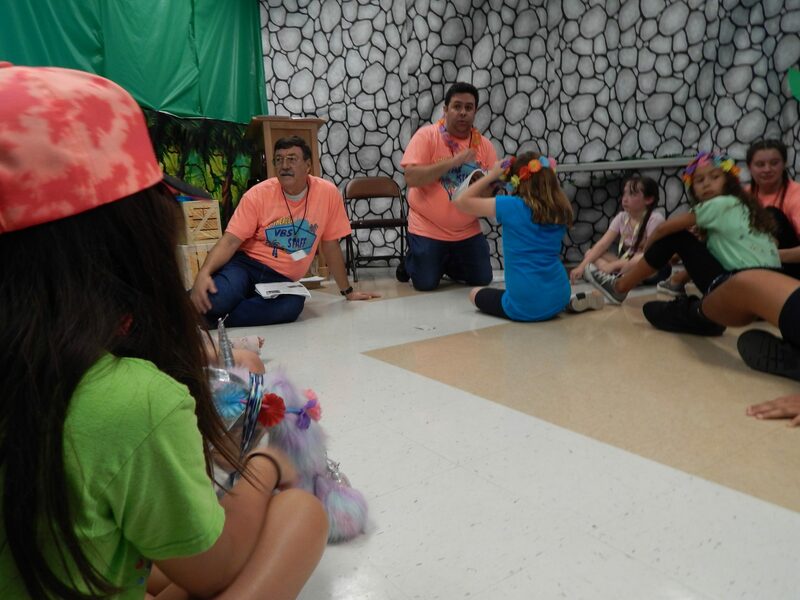 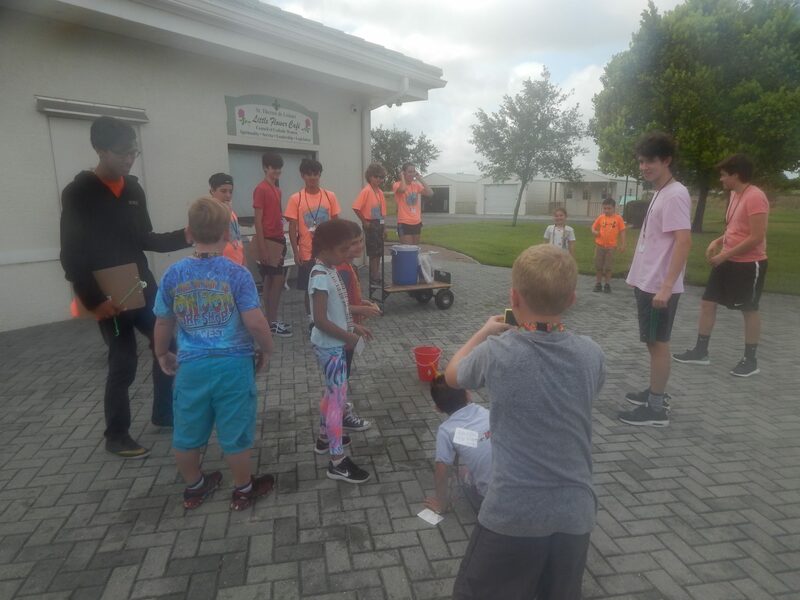 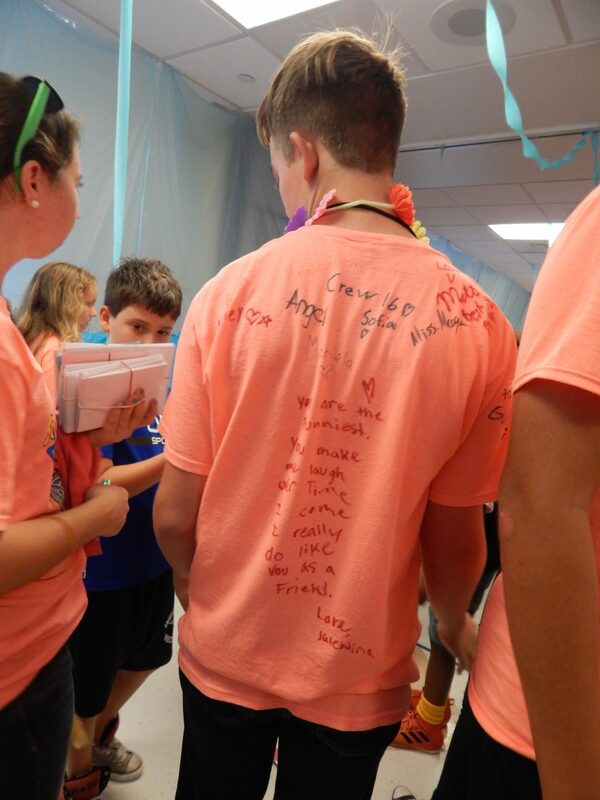 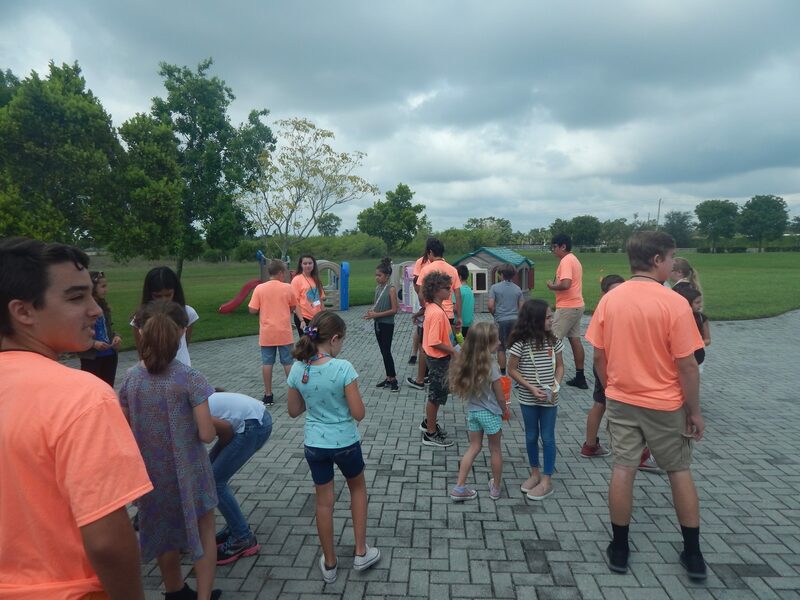 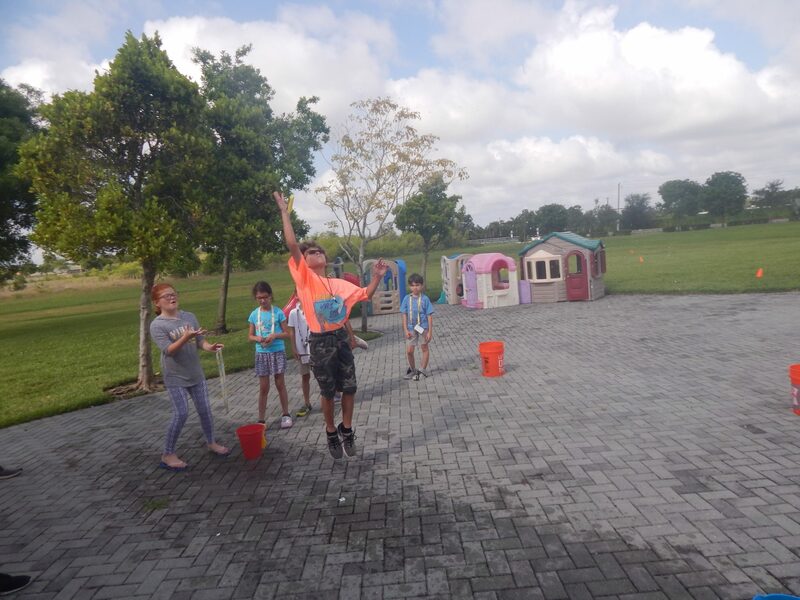 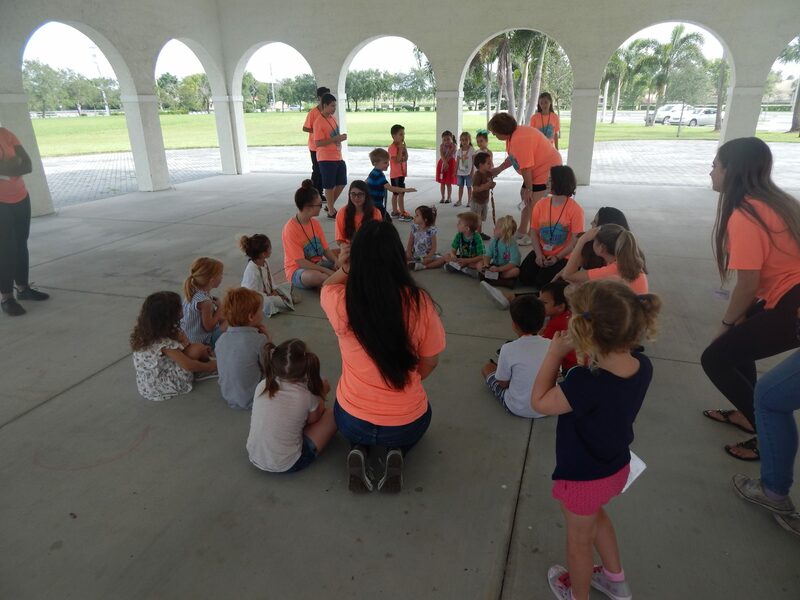 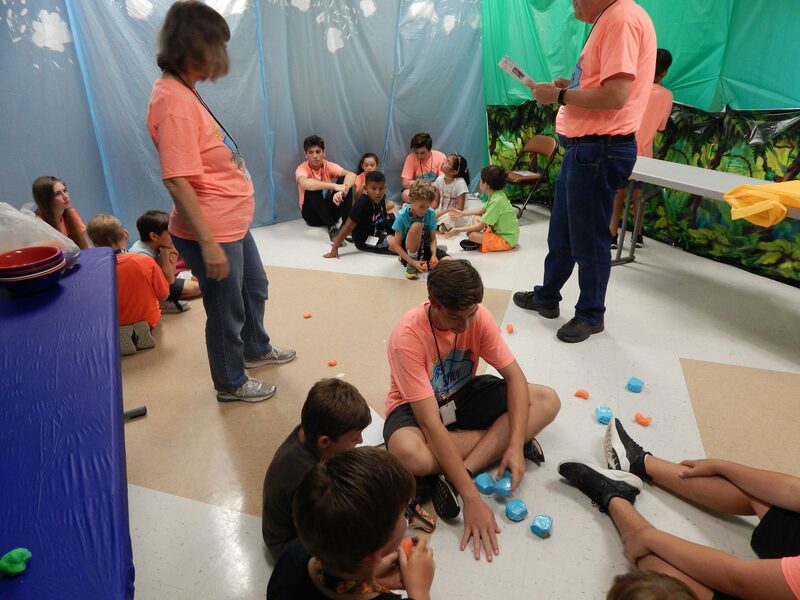 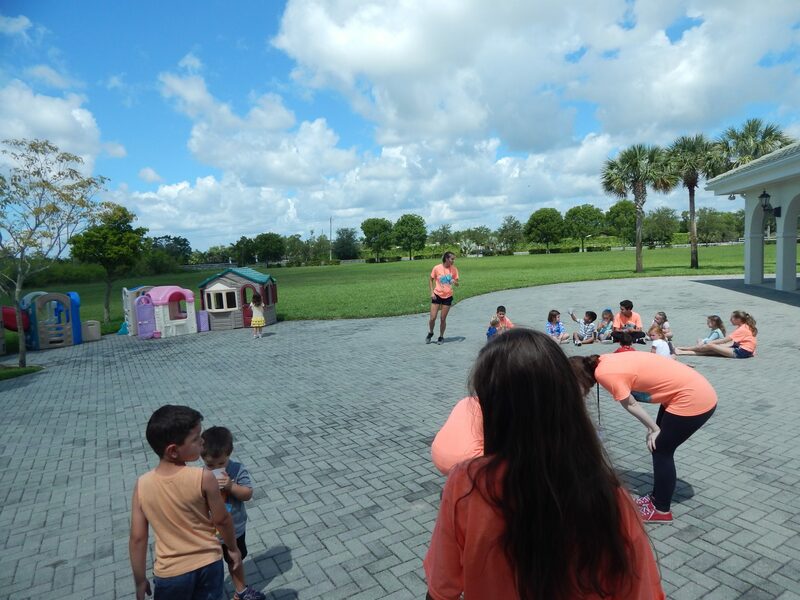 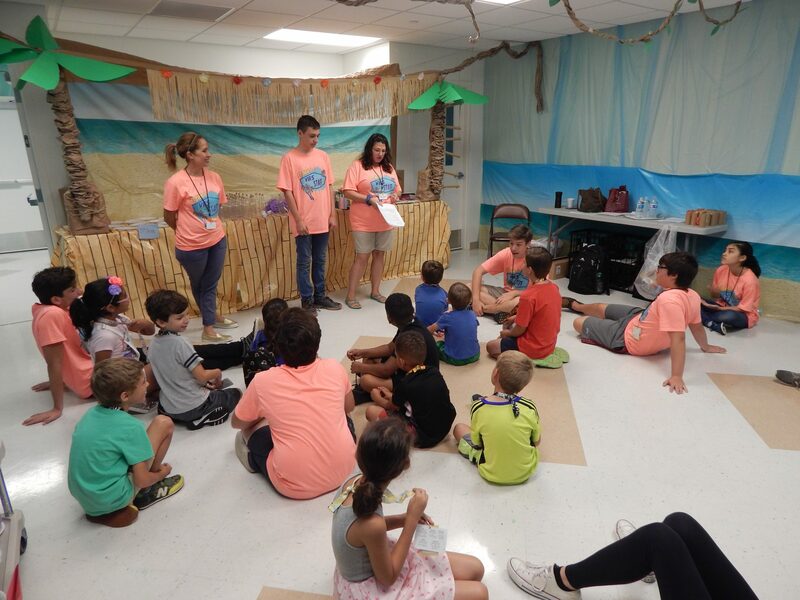 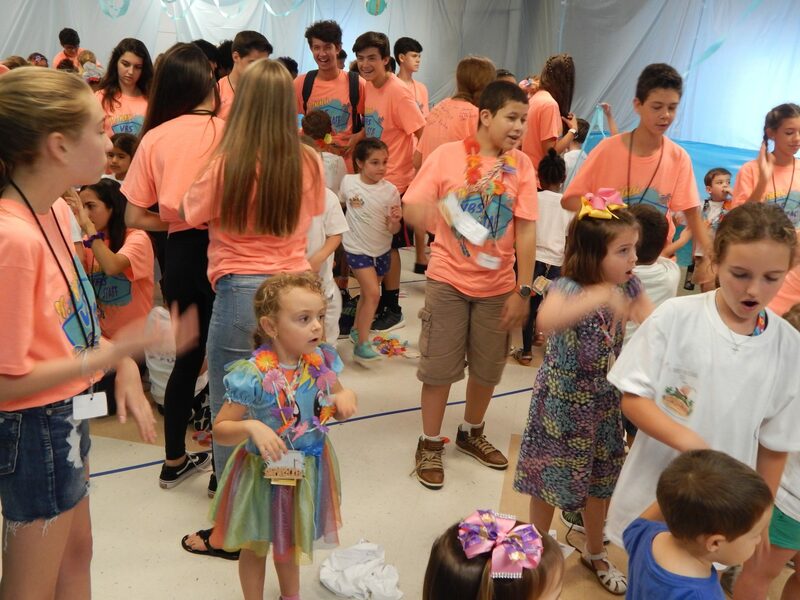 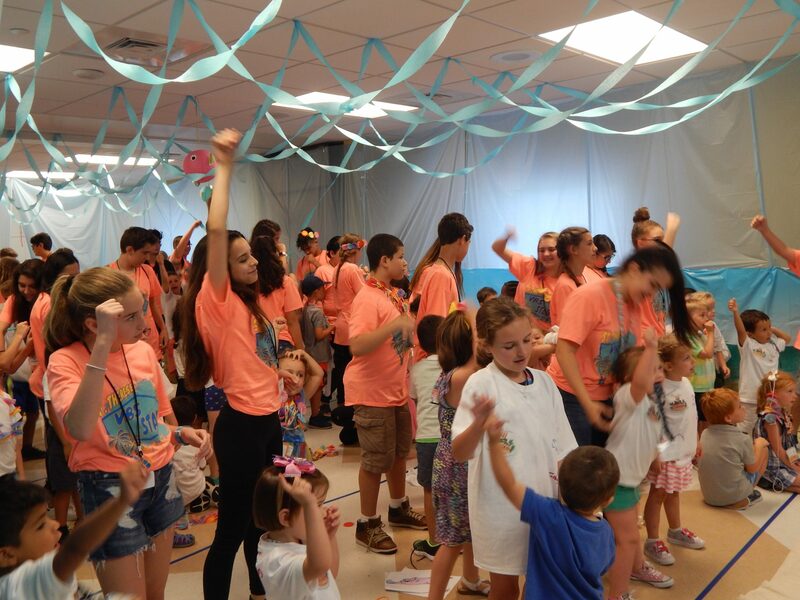 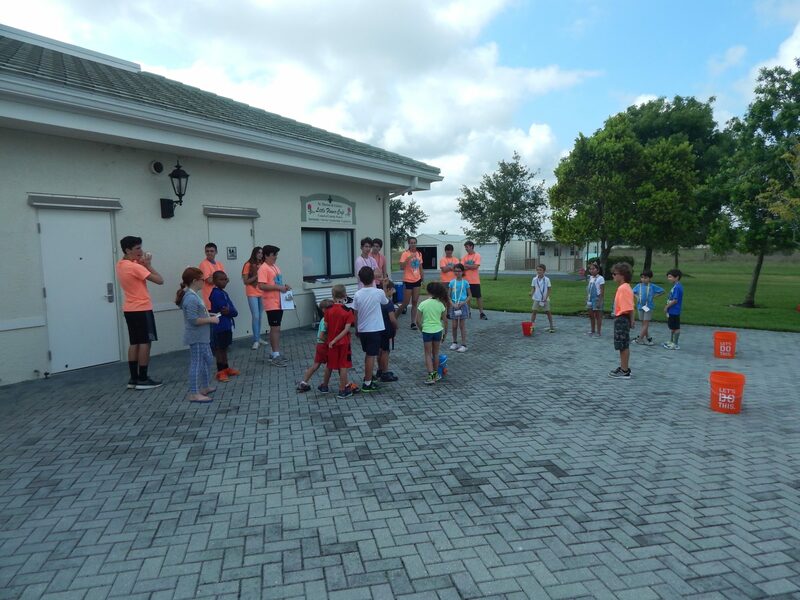 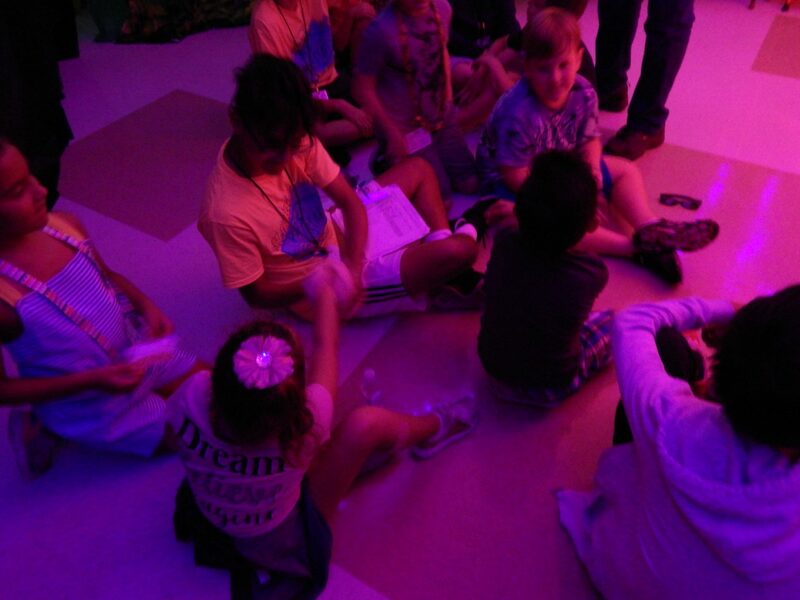 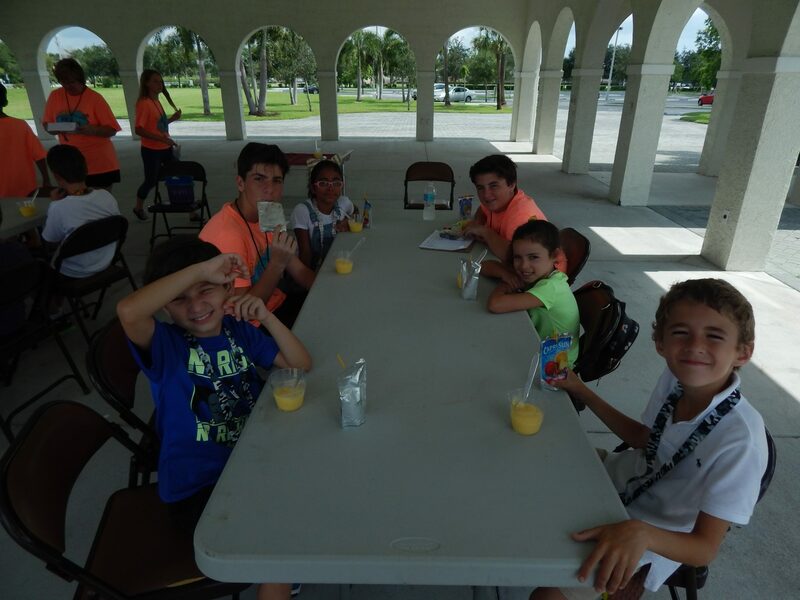 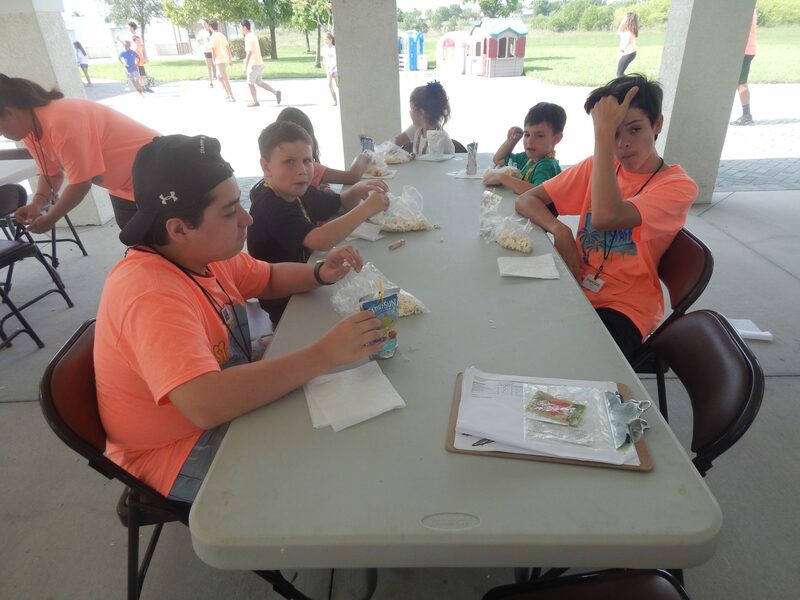 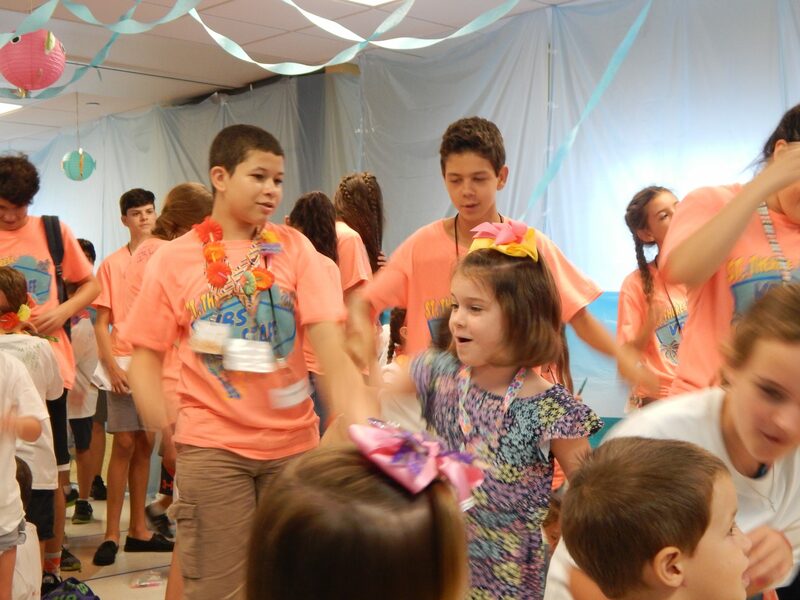 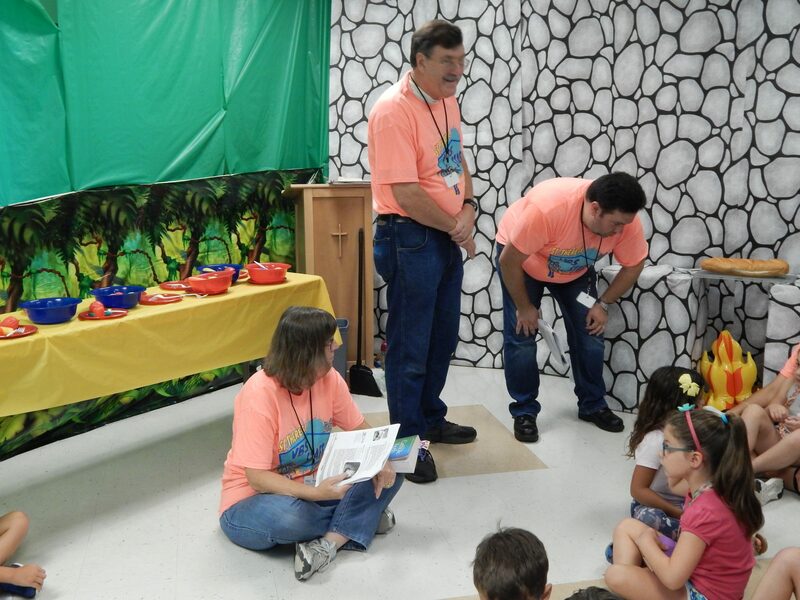 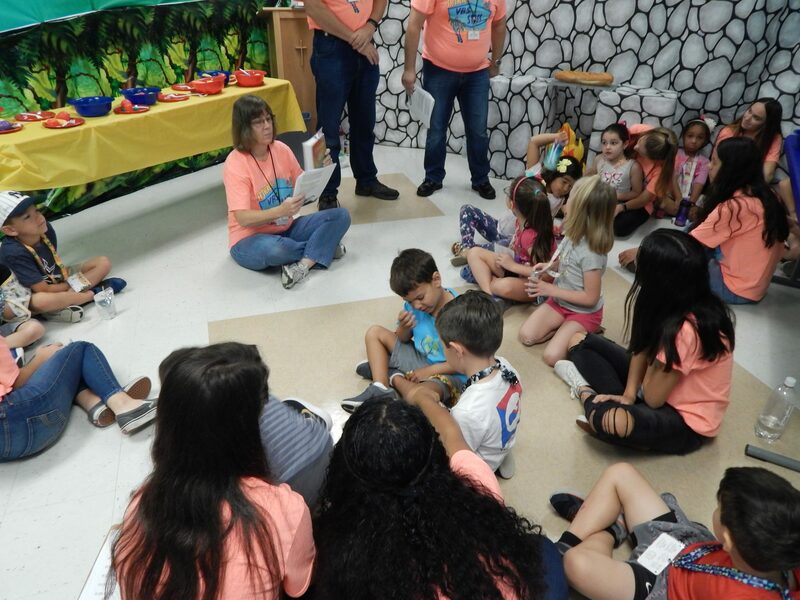 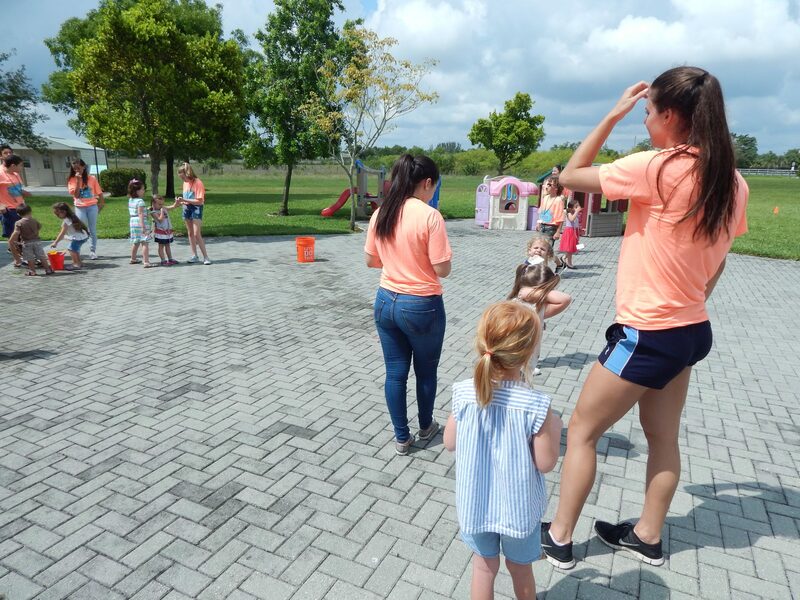 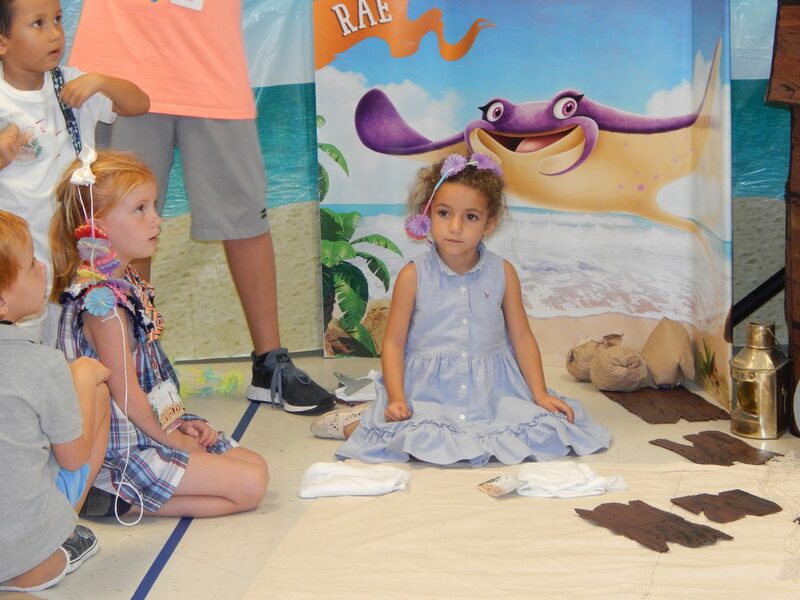 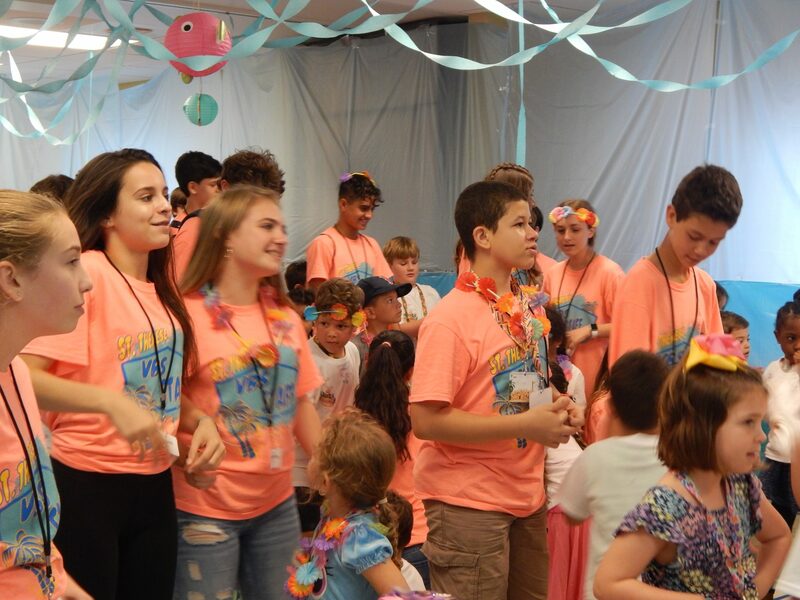 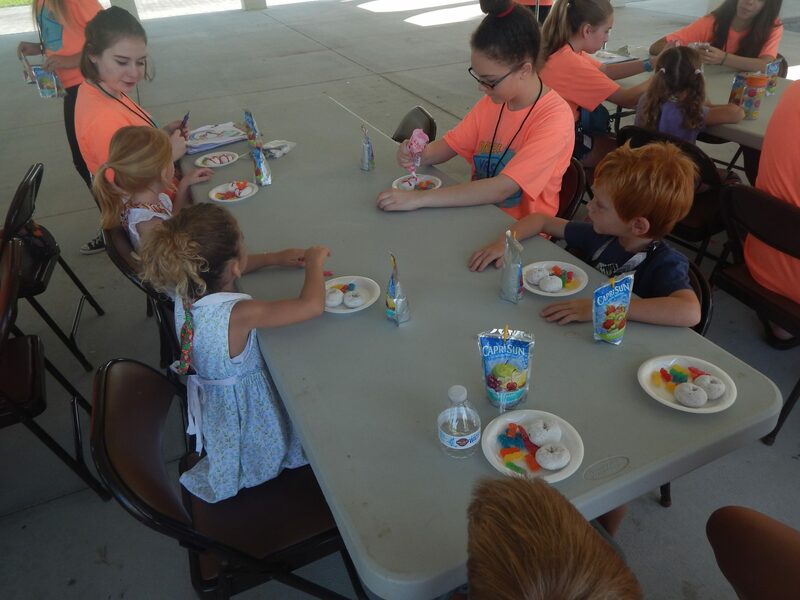 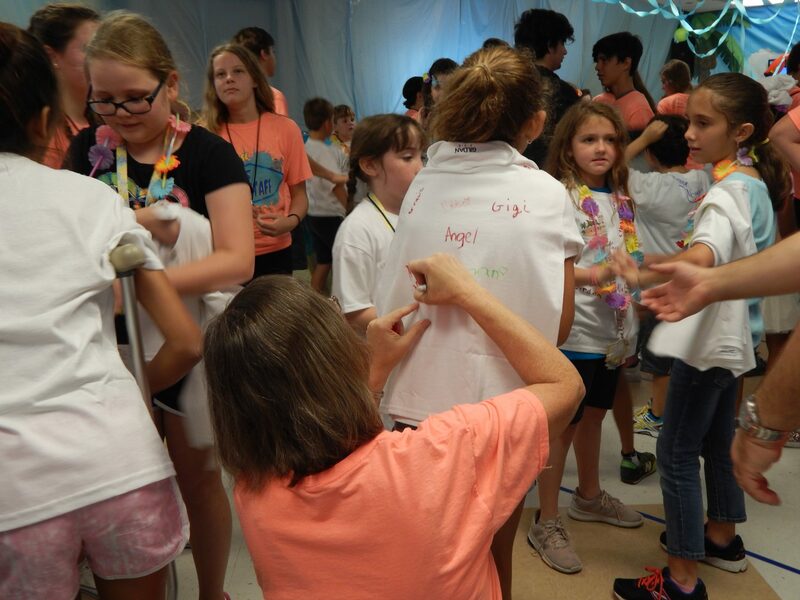 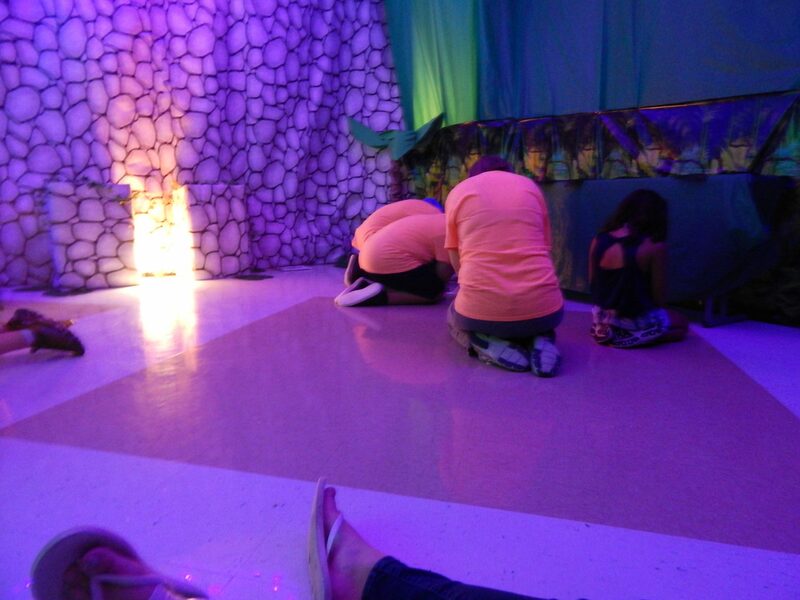 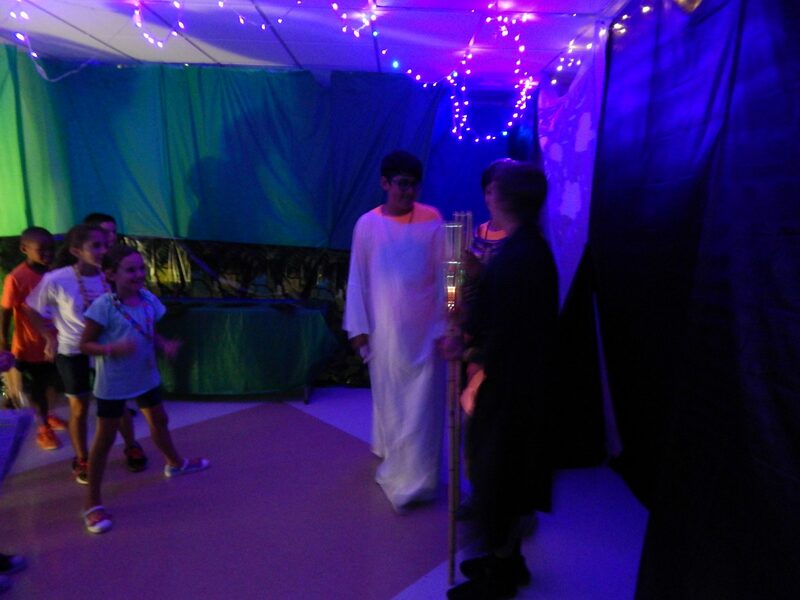 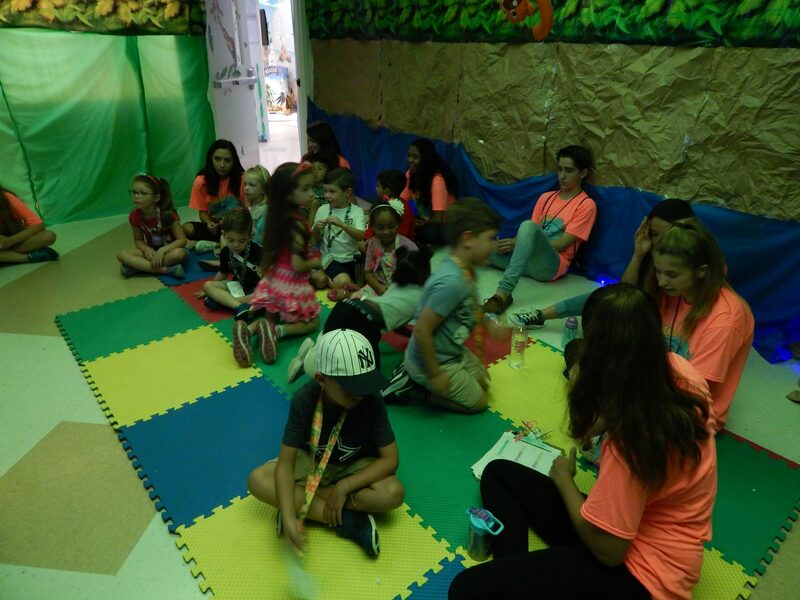 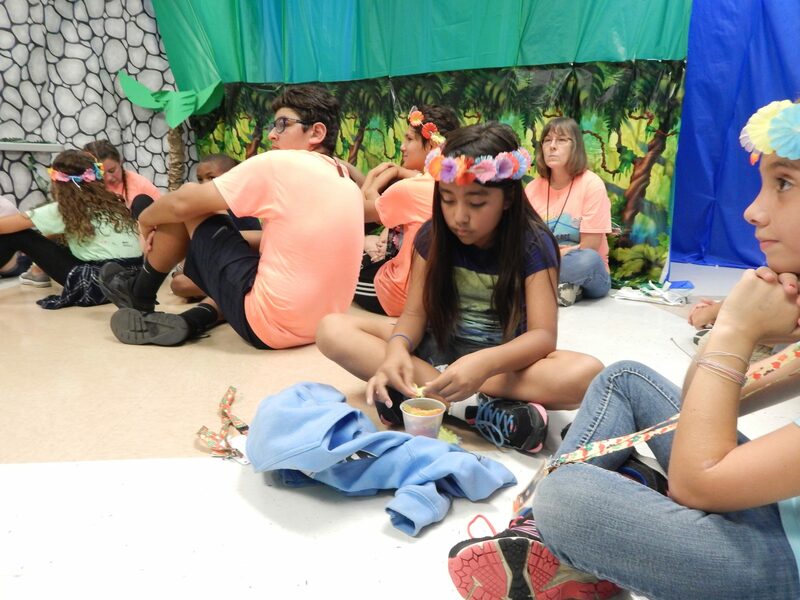 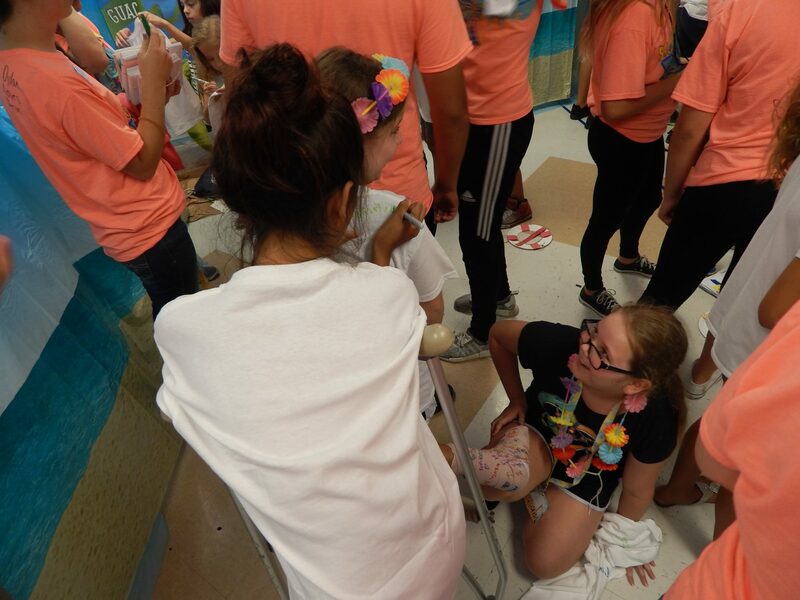 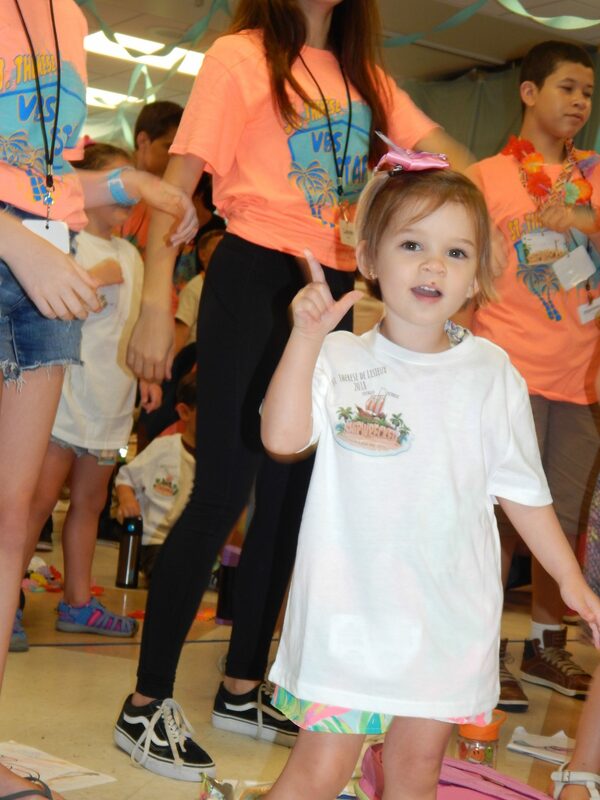 What does a typical day at Vacation Bible School entail? 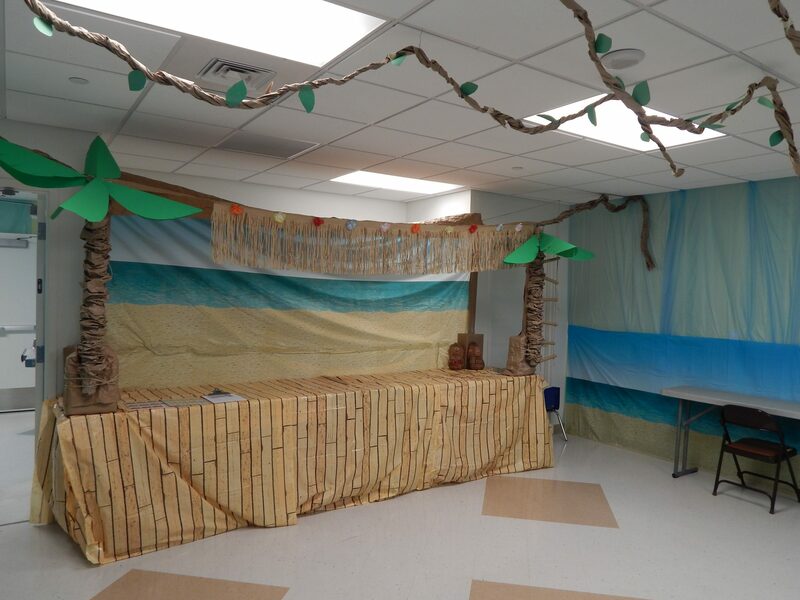 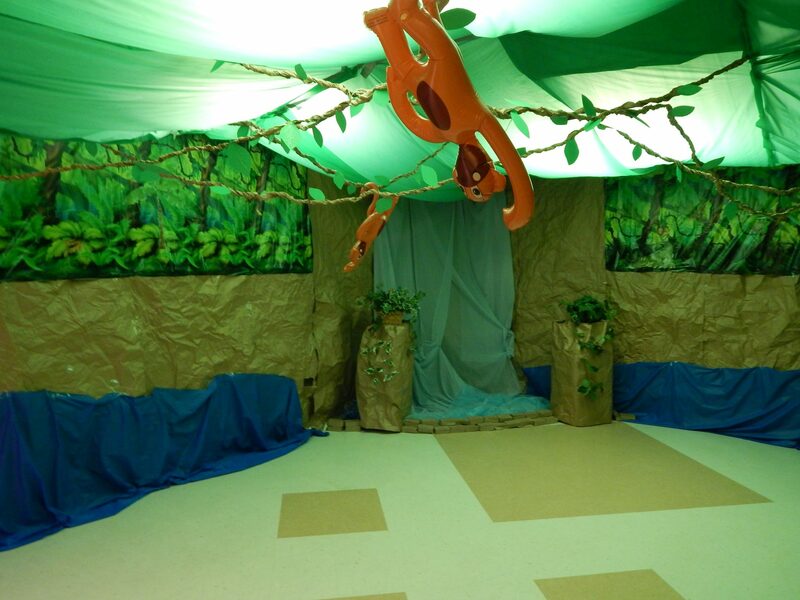 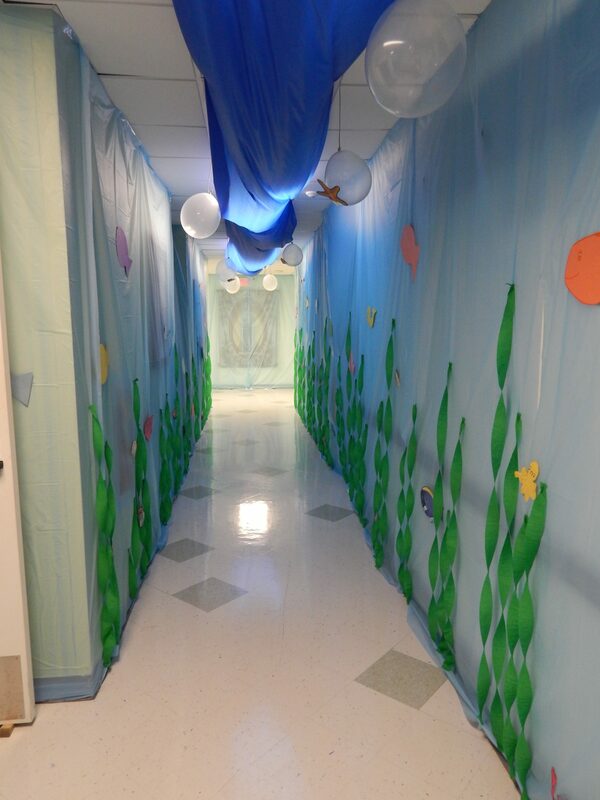 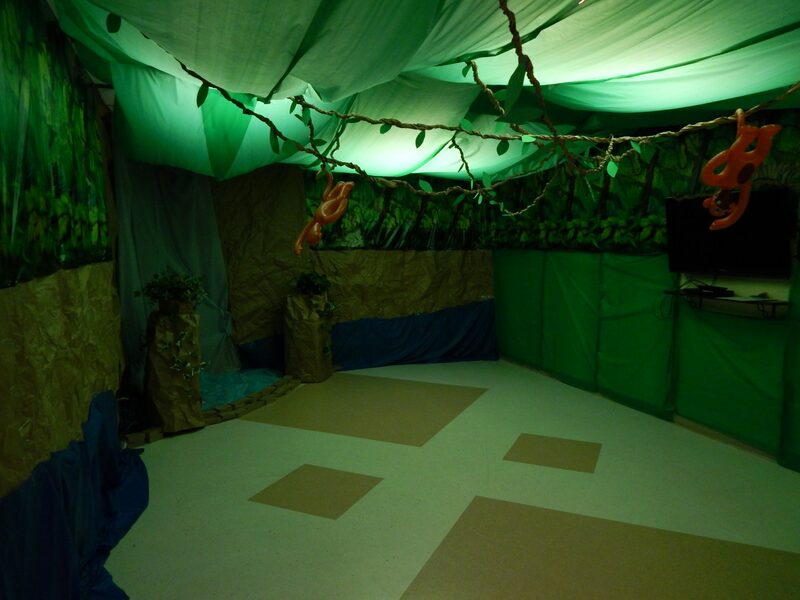 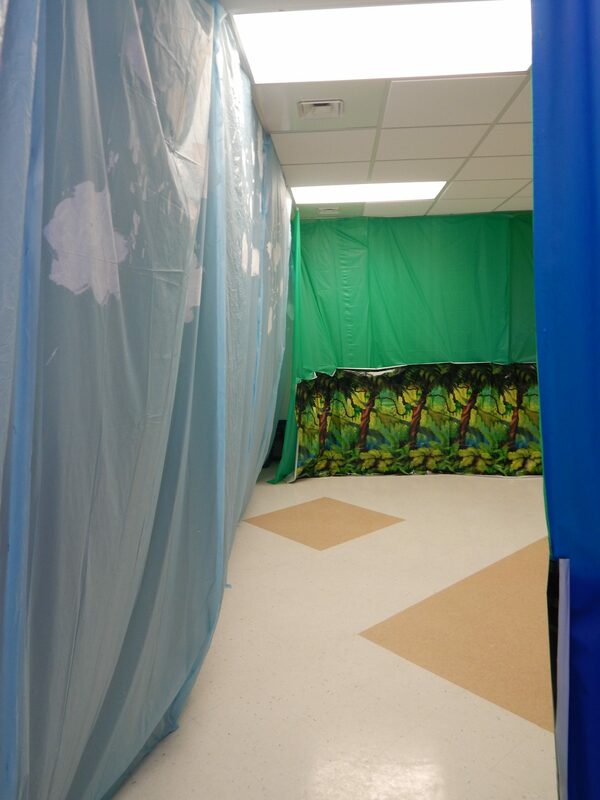 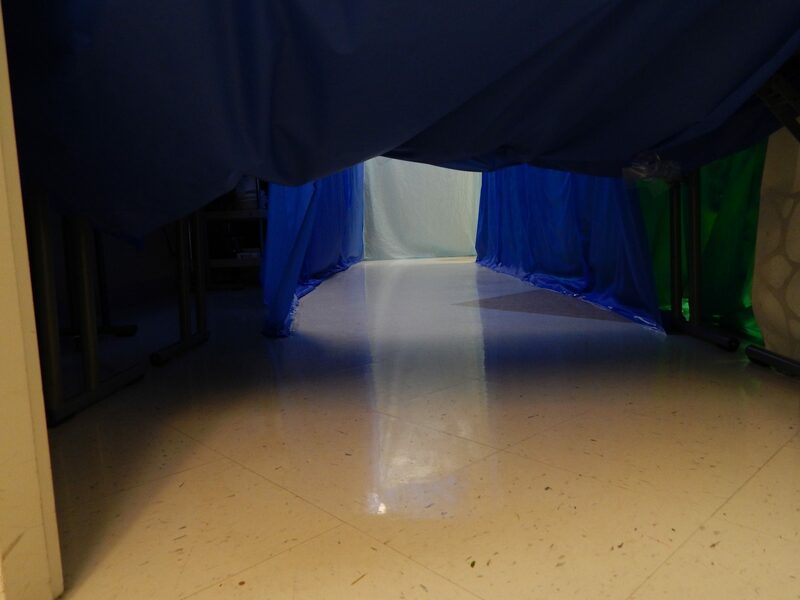 The kids should arrive by no later than 8:30 am for our opening session, then they begin their island adventures! 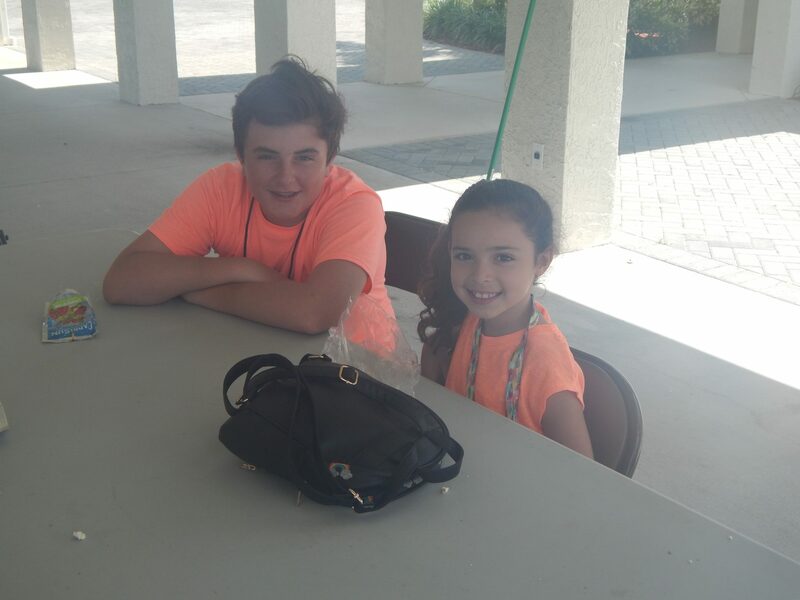 Sign-in is under the pavilion with one of their Crew Leaders. 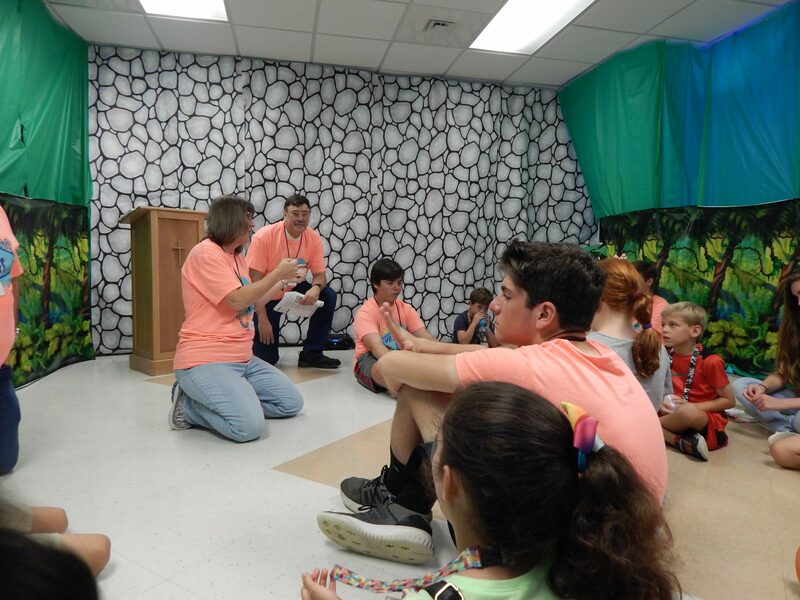 The day begins with songs, a skit, and a video about their Bible Memory Buddy of the day. 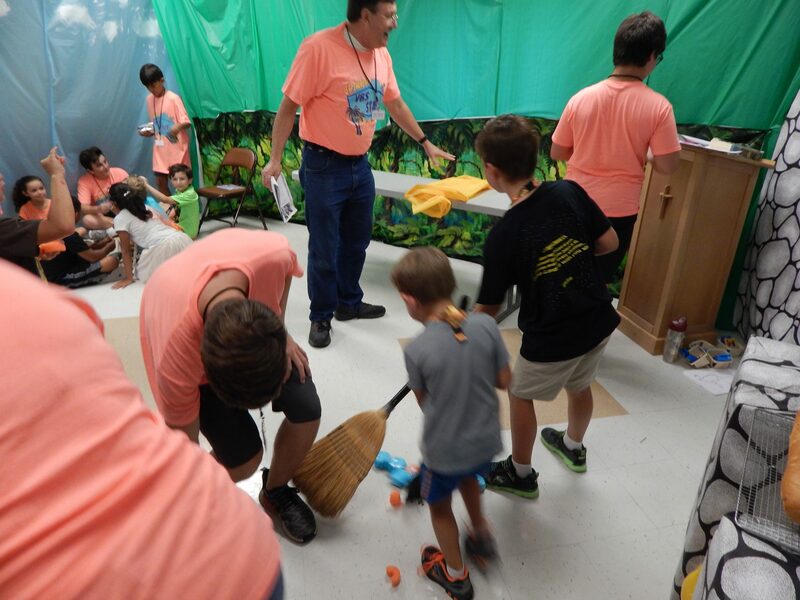 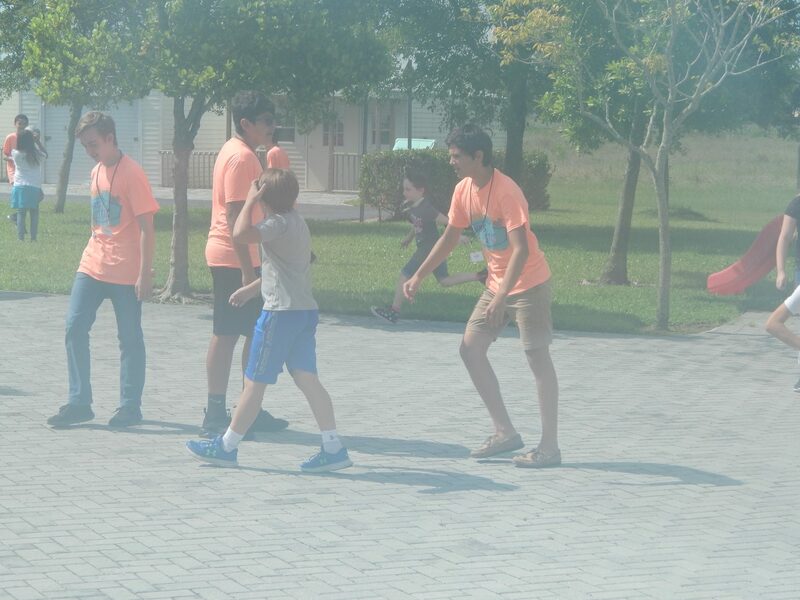 After the opening session, the kids break out into their different stations. 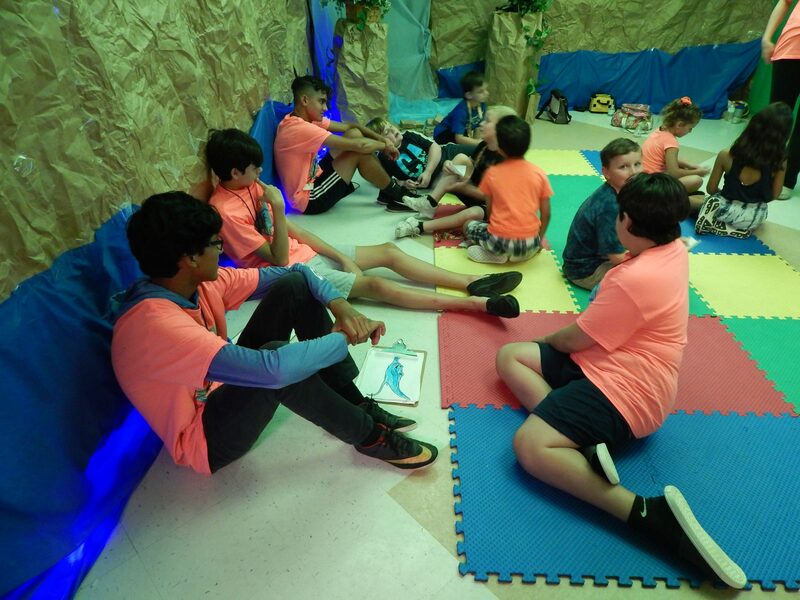 Each crew has only 5 kids, however, they remain with the other crews in their same grade level as they rotate to each of their stations throughout the day. 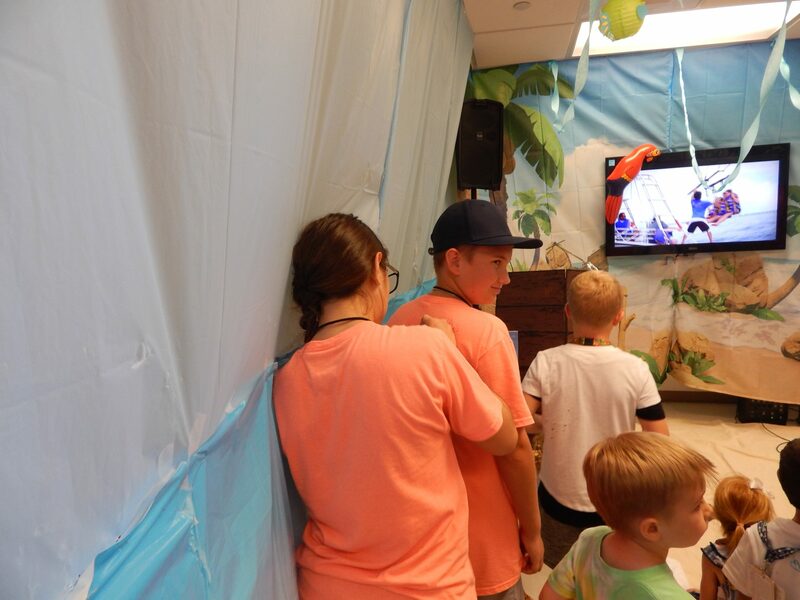 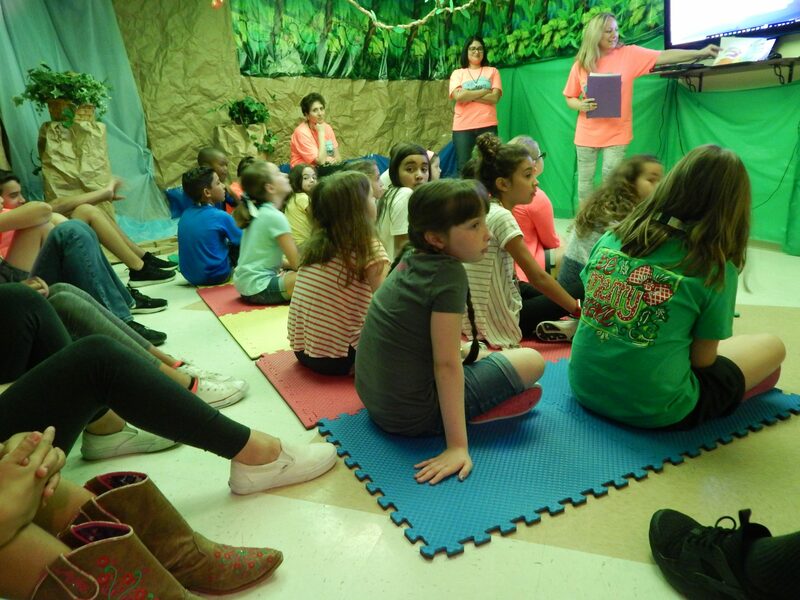 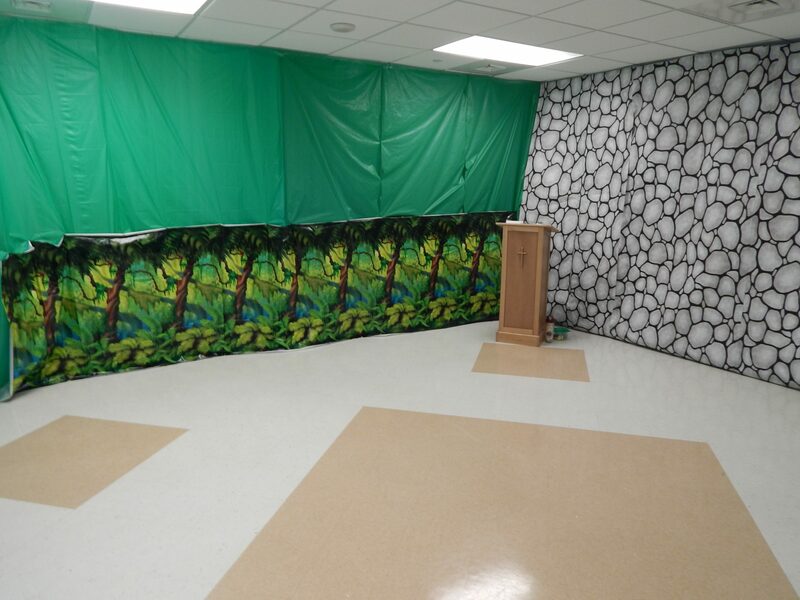 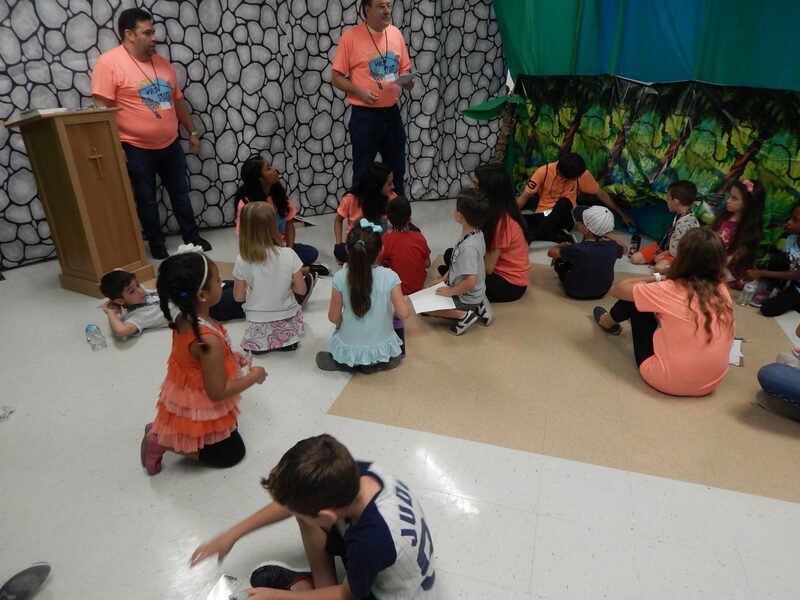 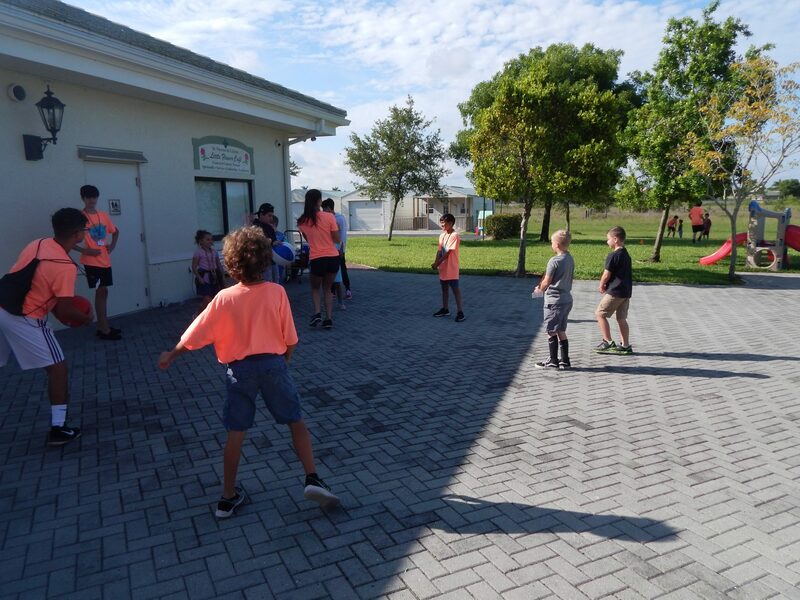 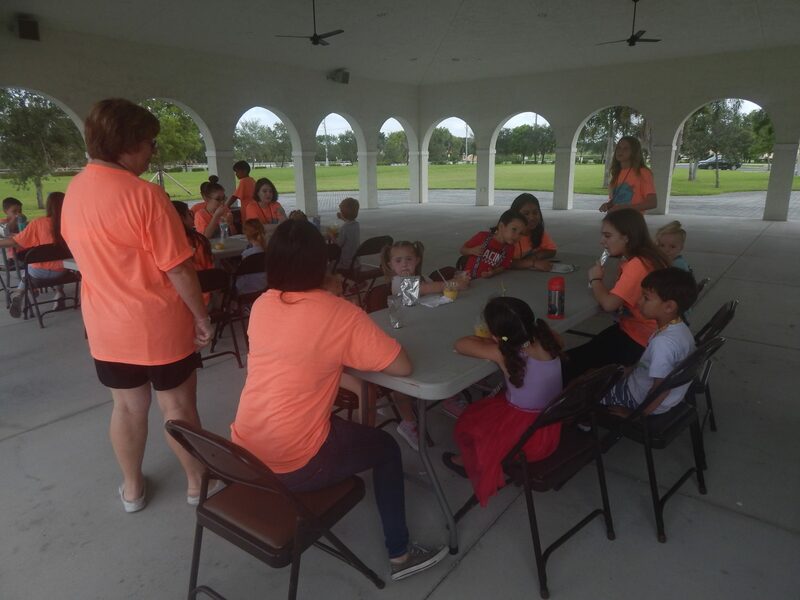 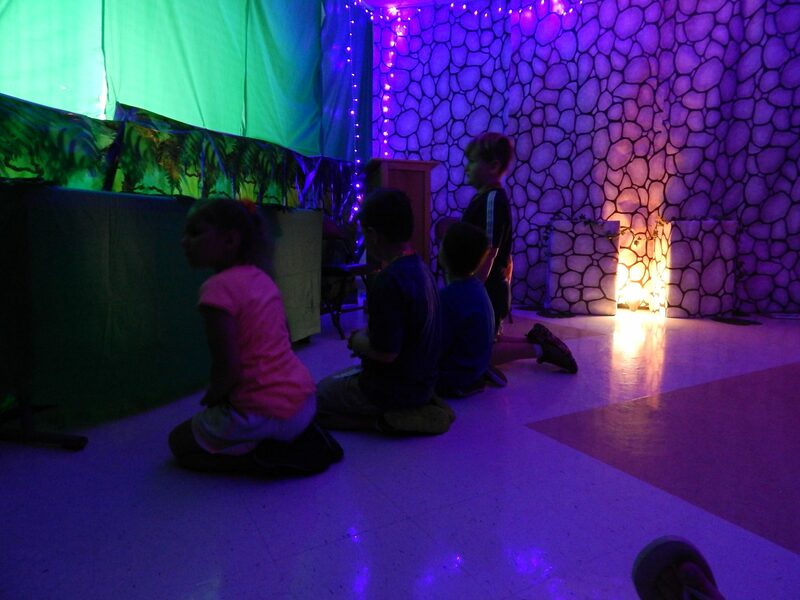 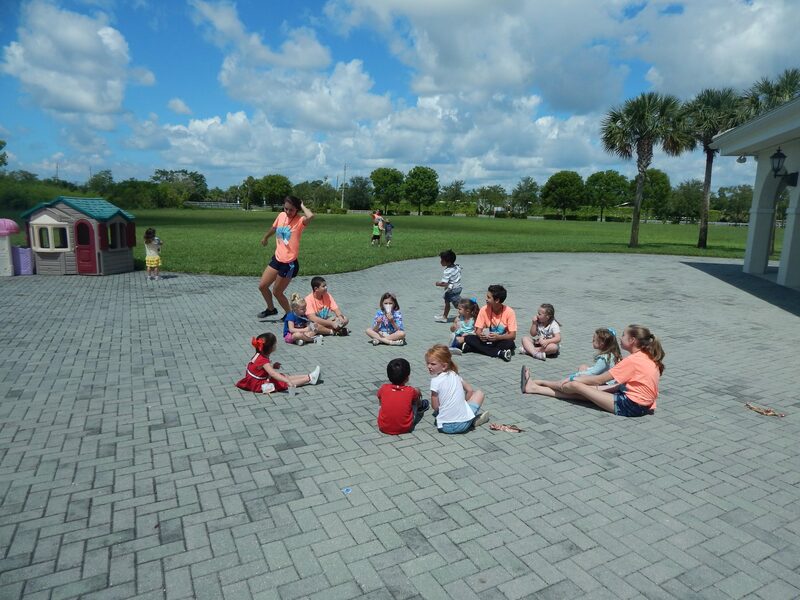 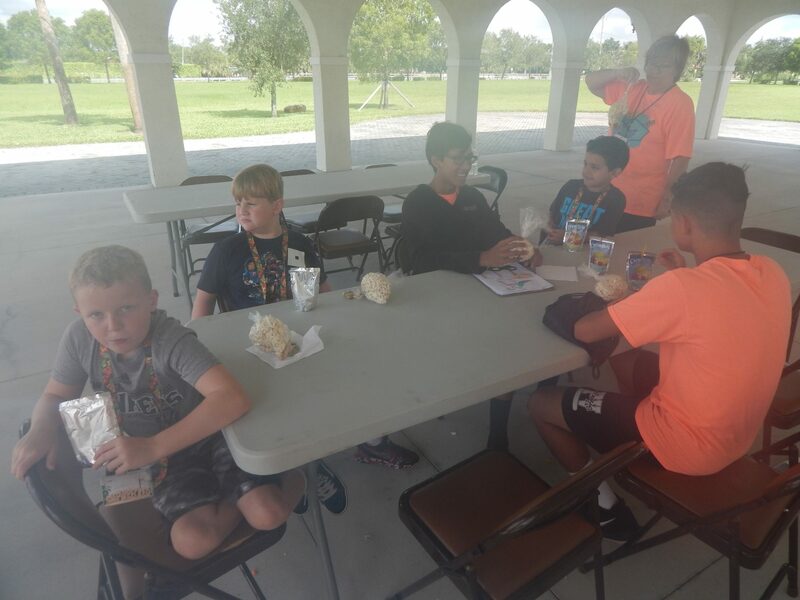 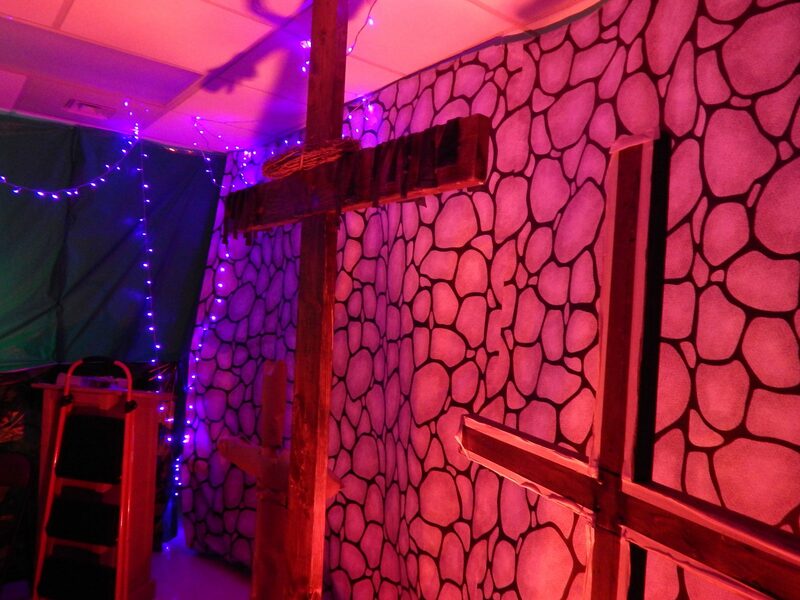 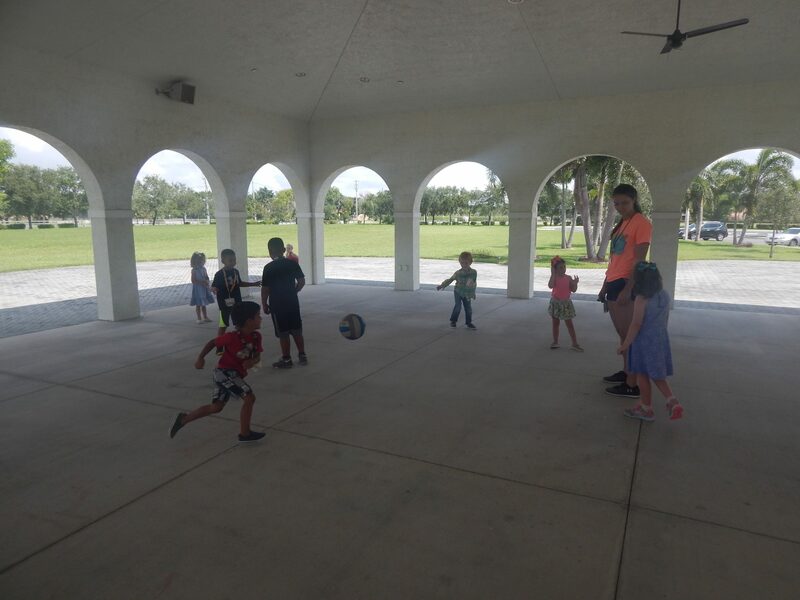 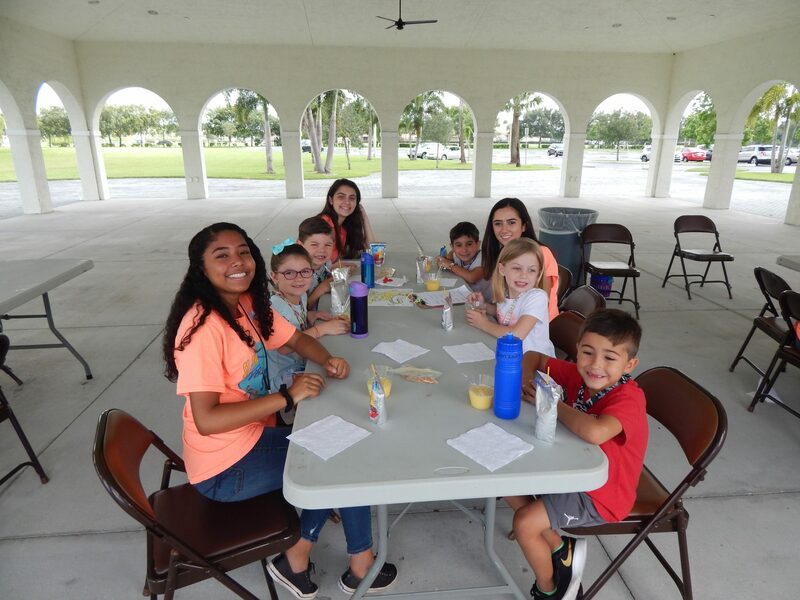 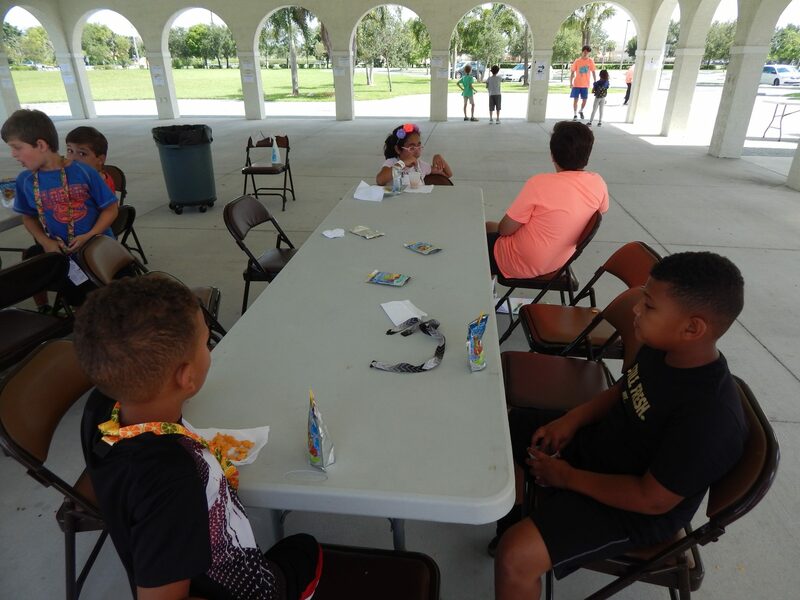 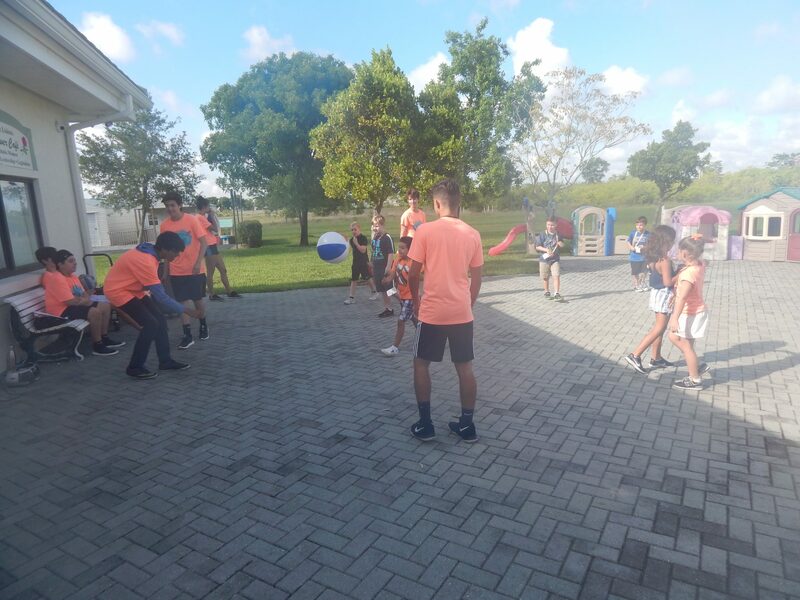 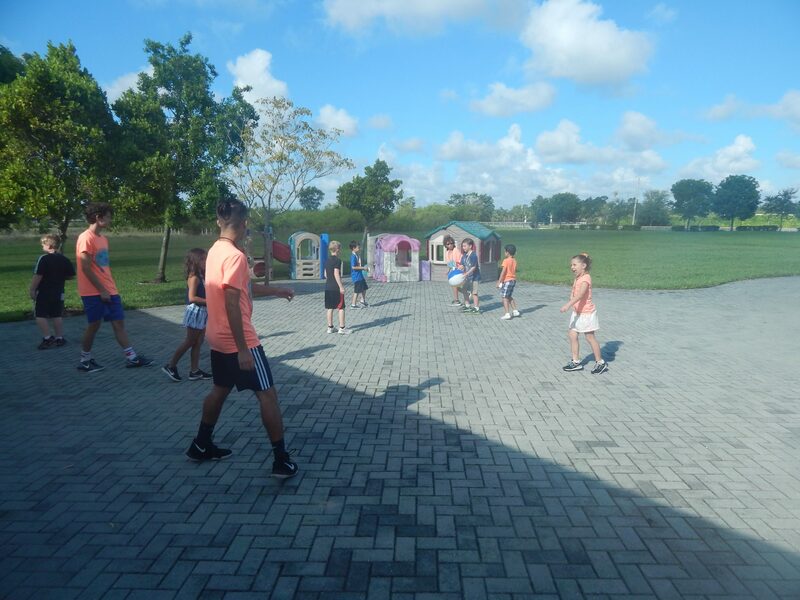 The different stations are Imagination Station (crafts), KidVid Cinema (a short video and small group discussion), Bible Discovery (the kids get to experience their Bible passage of the day), Sports/Games, and Snack. 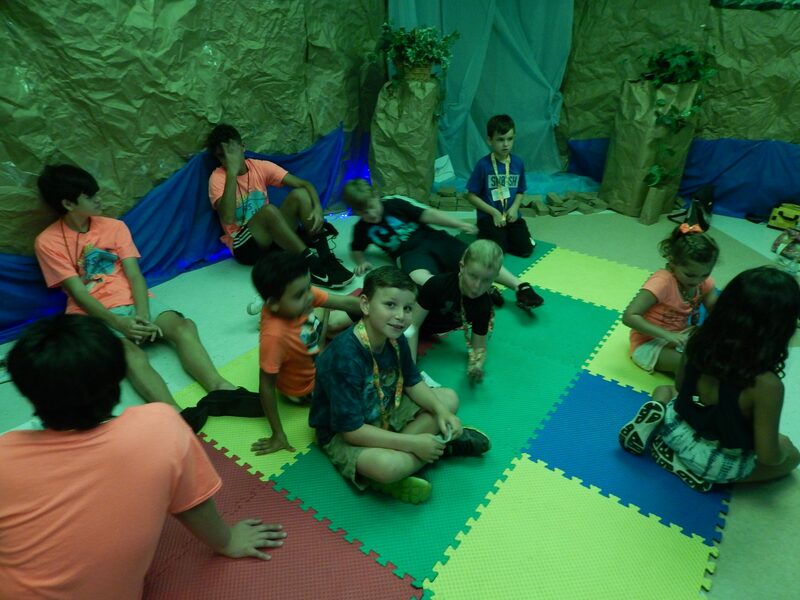 Every day we wrap up at 12:30 pm. 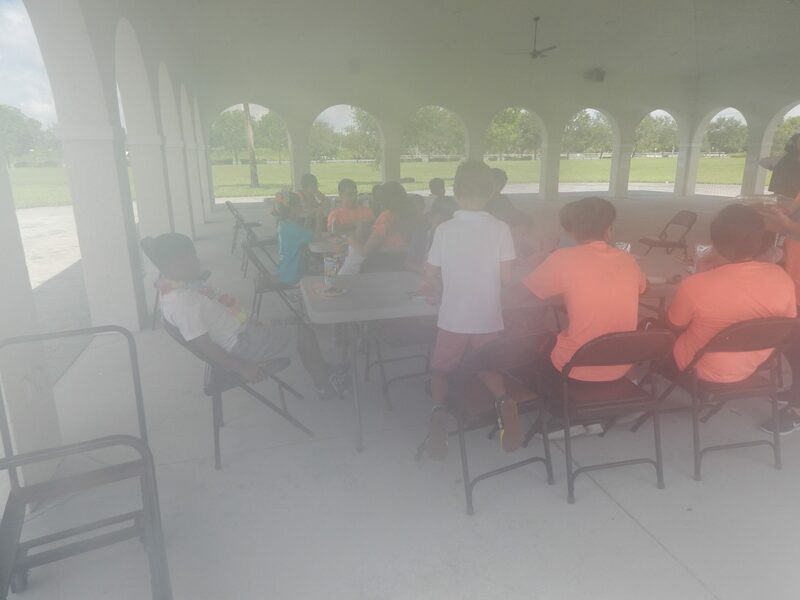 The students will be dismissed under the pavilion with the same Crew Leader that checks them in at the beginning of the day. 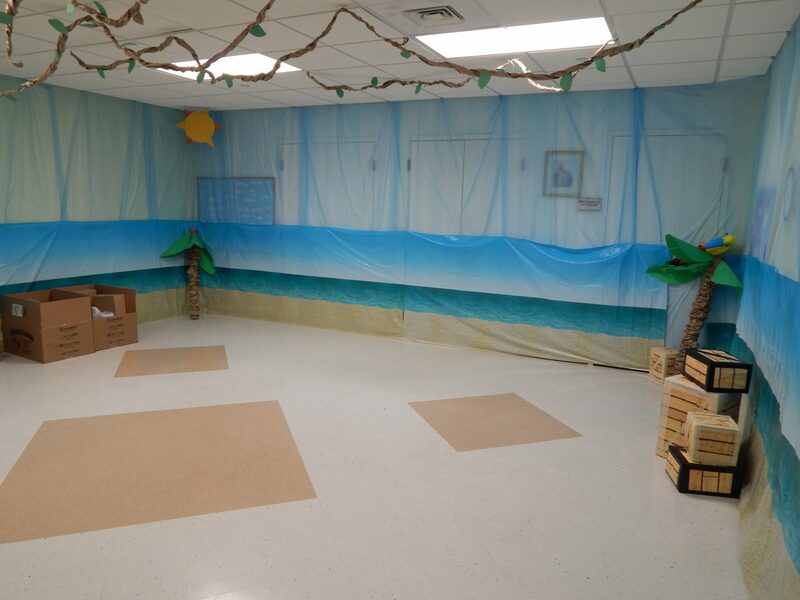 ALL students must be signed out before they are allowed to leave. 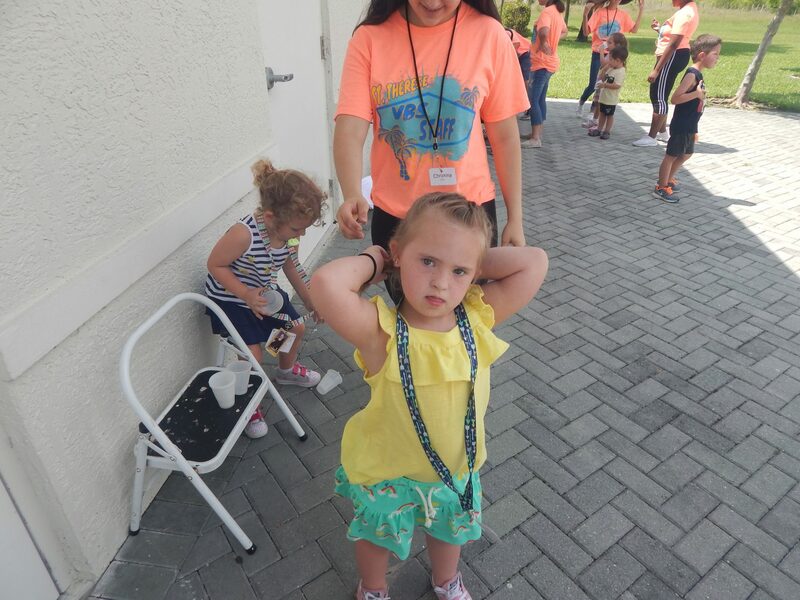 How much does it cost to sign up my child(ren) for Vacation Bible School? 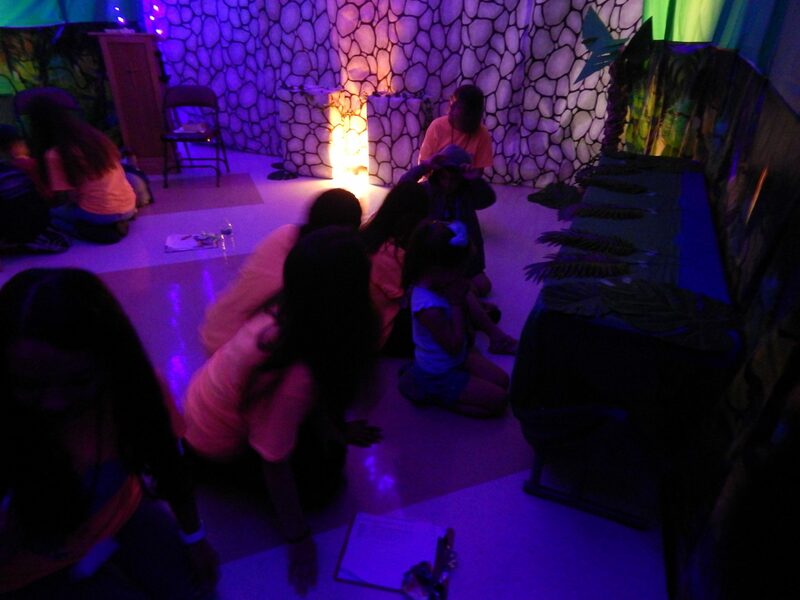 The cost of attending is $75 per child. 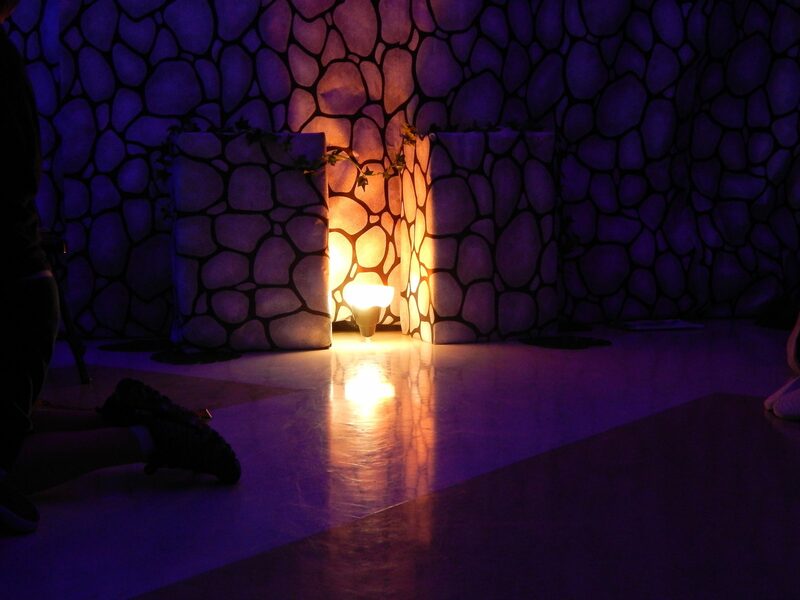 There is limited space available, so registrations are regarded on a “first-come, first-serve” basis. 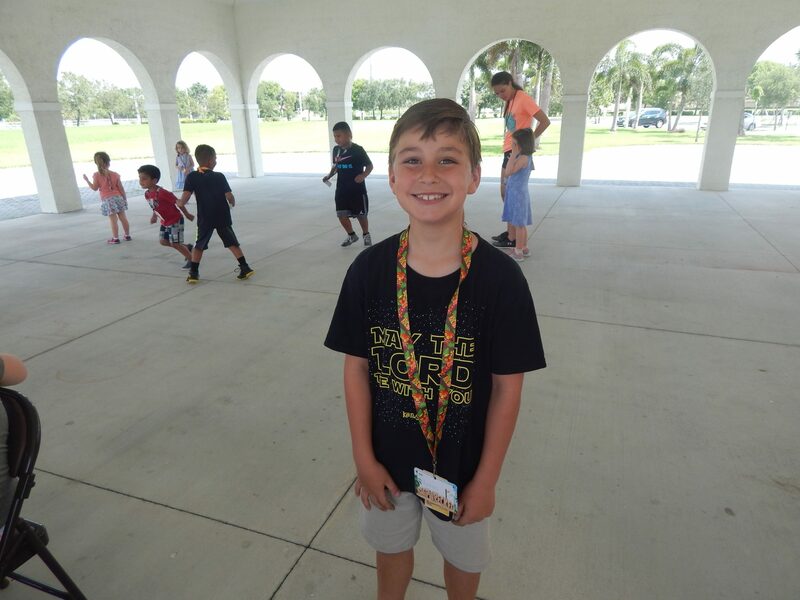 Your child(ren)’s spot is not guaranteed until full payment has been received. 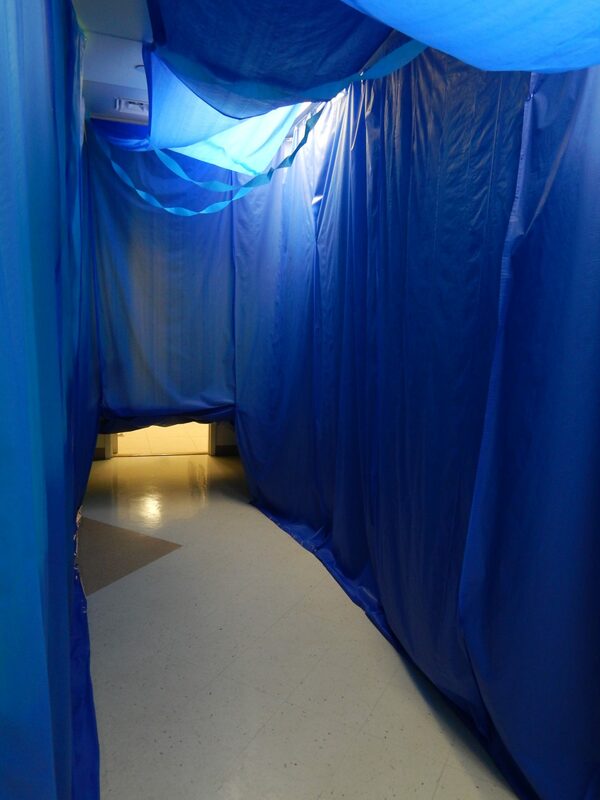 You may either pay online, in person by cash or check or mail your payment to our office. 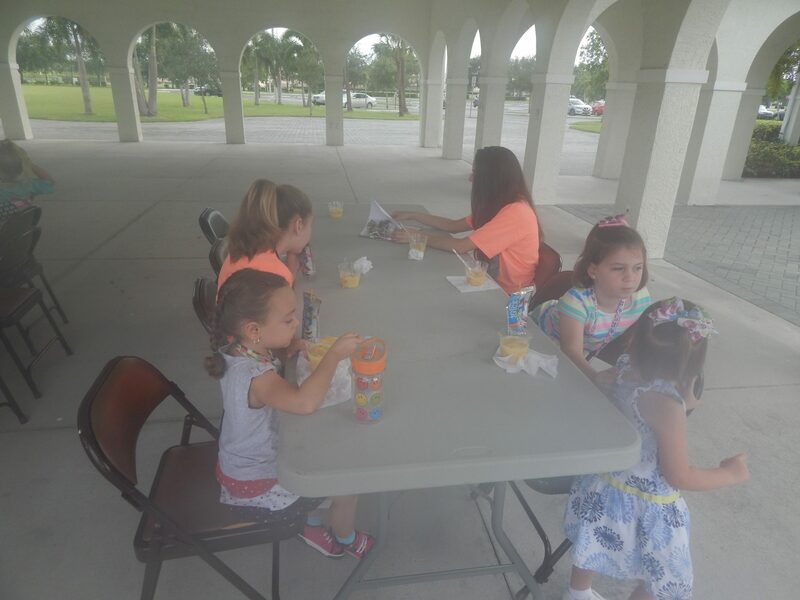 Checks should be made out to St. Therese de Lisieux Catholic Church. 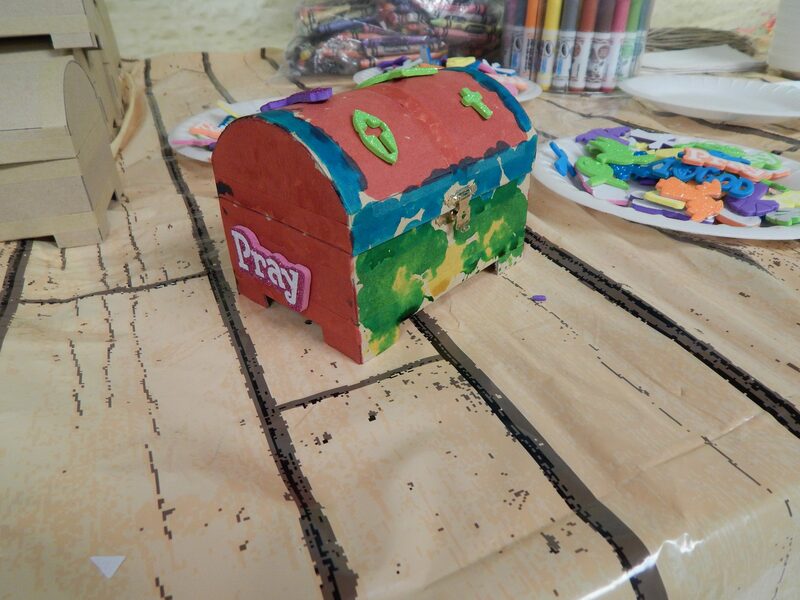 If you choose to mail your payment to our office, please write ATTN: Faith Formation on the front of the envelope.